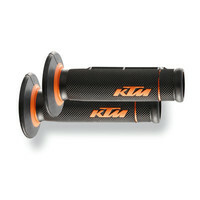 A perfect introduction to the world of performance enhancement! 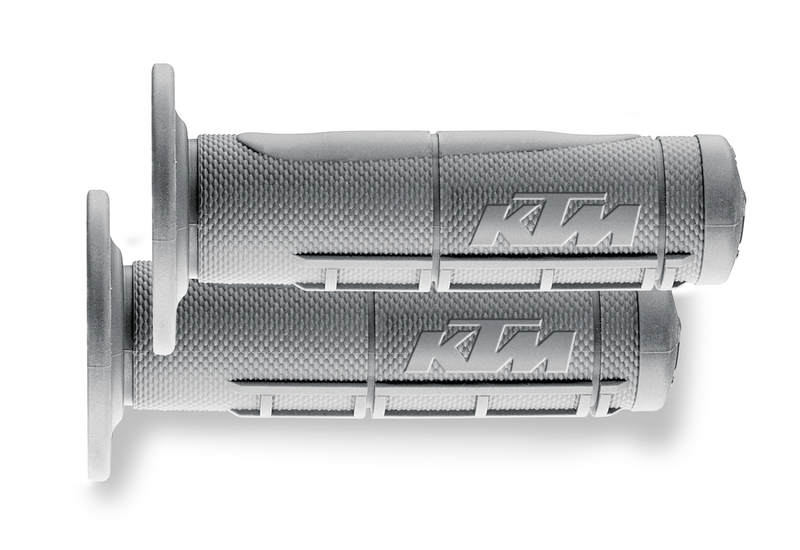 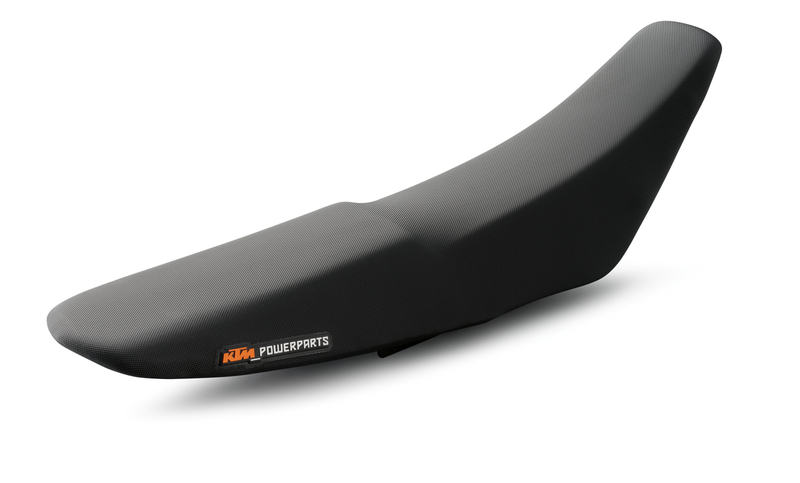 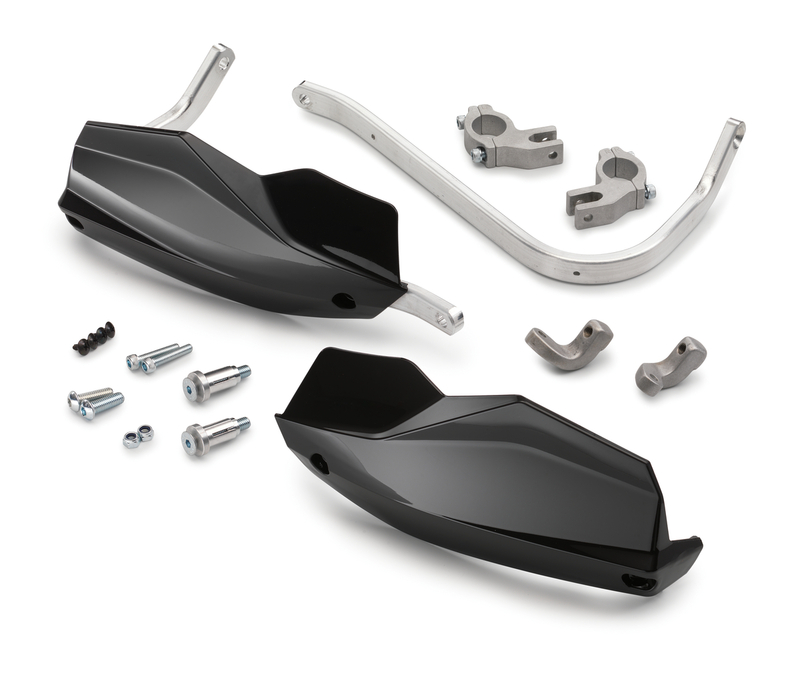 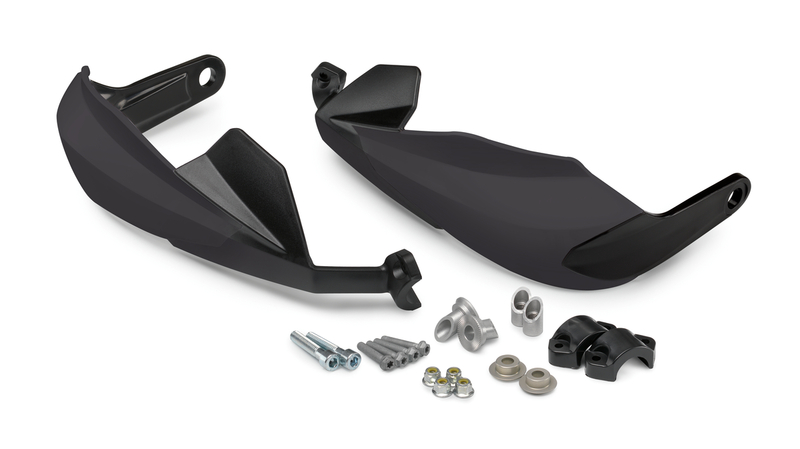 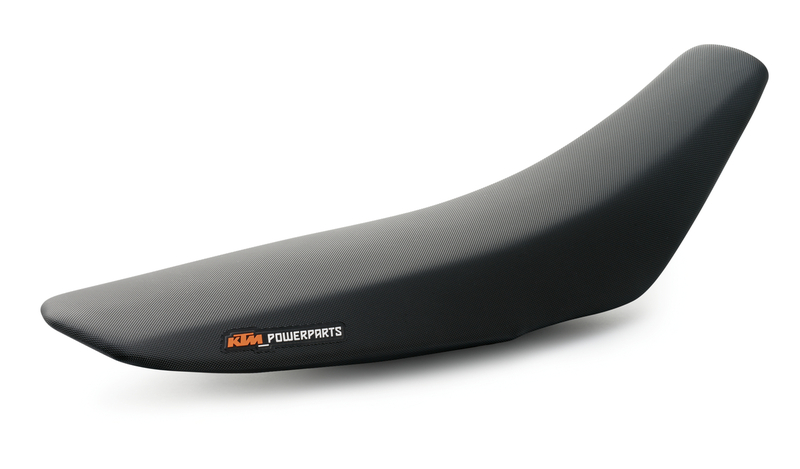 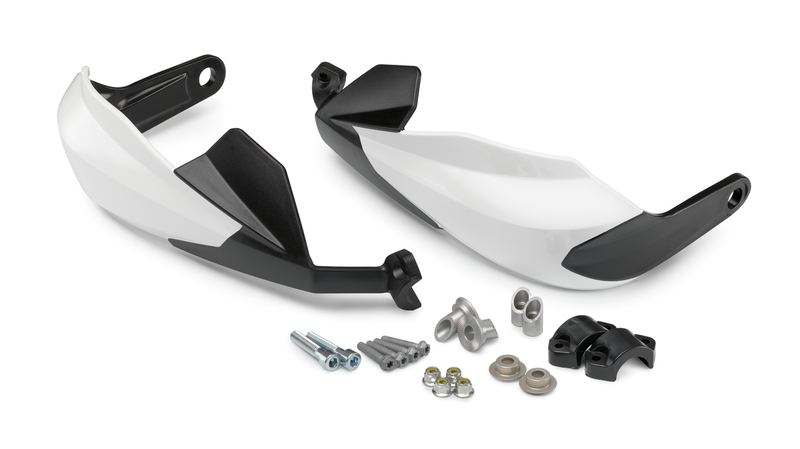 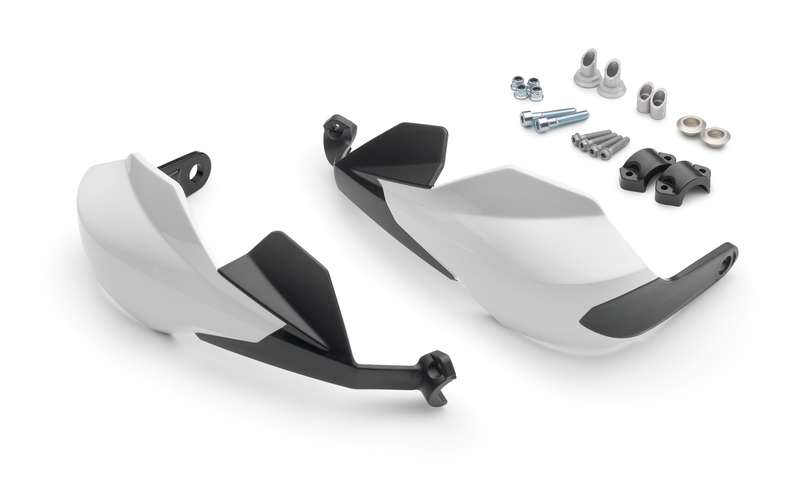 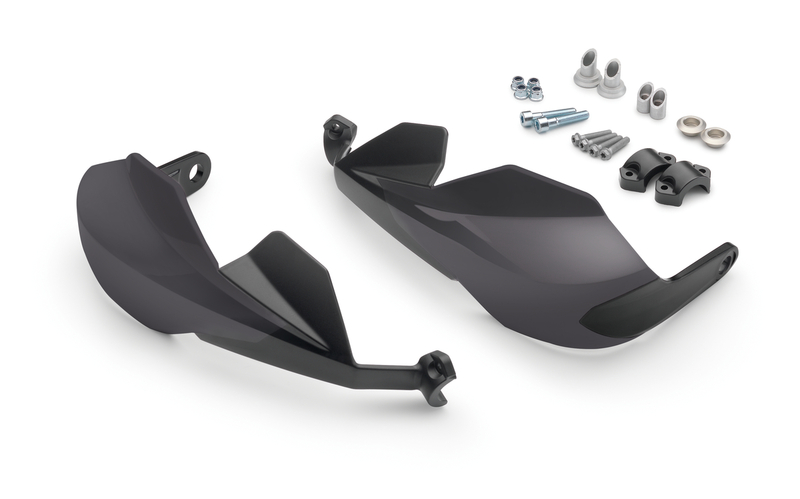 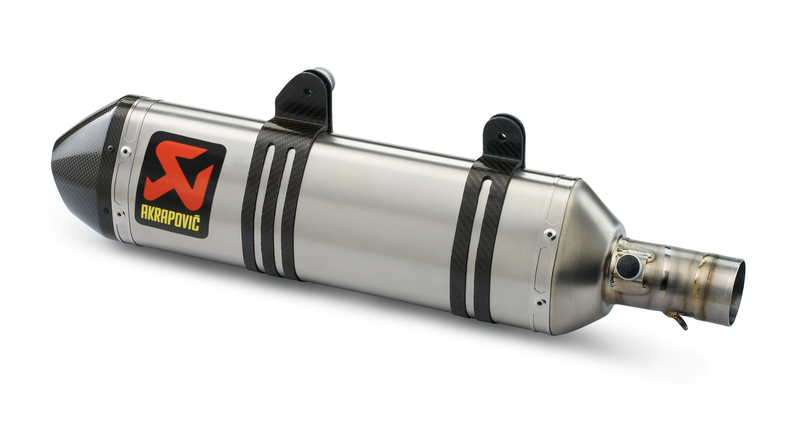 The FMF slip-on silencer has been developed in collaboration with FMF and adapted precisely to the engine characteristics of your KTM - the only way to ensure maximum power with ultimate rideability. 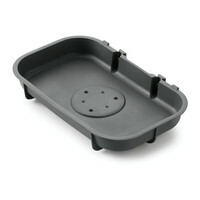 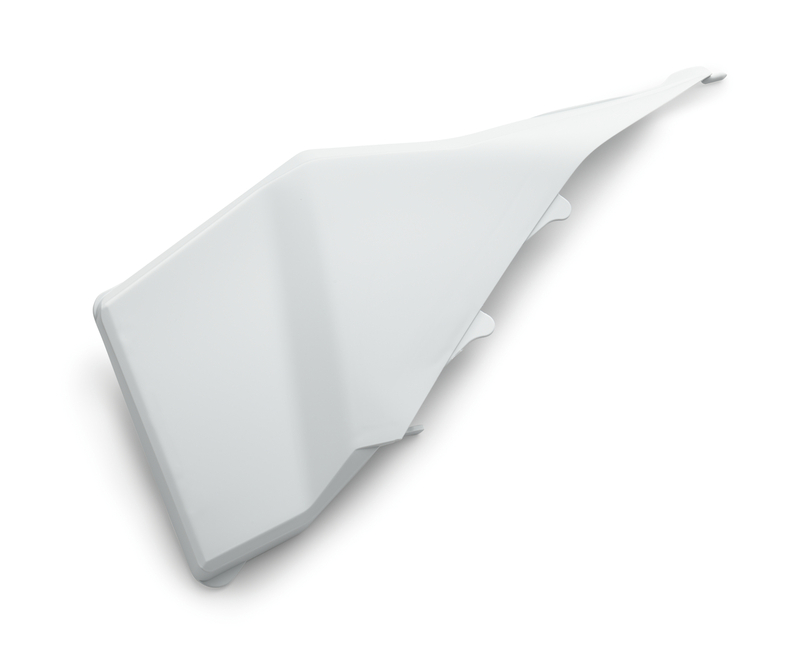 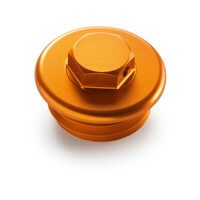 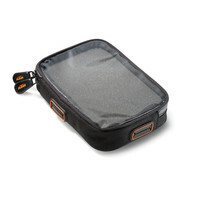 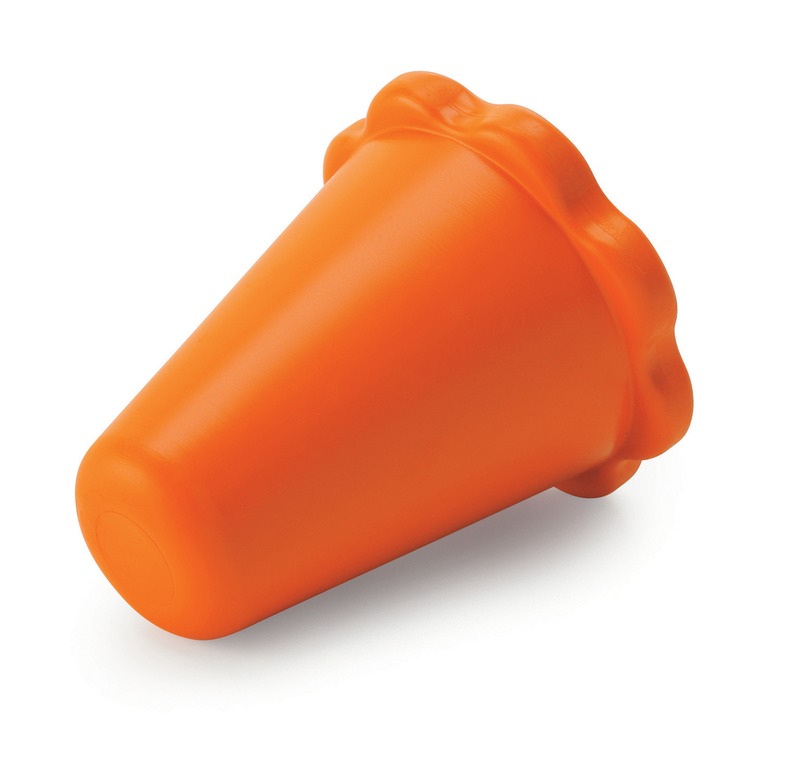 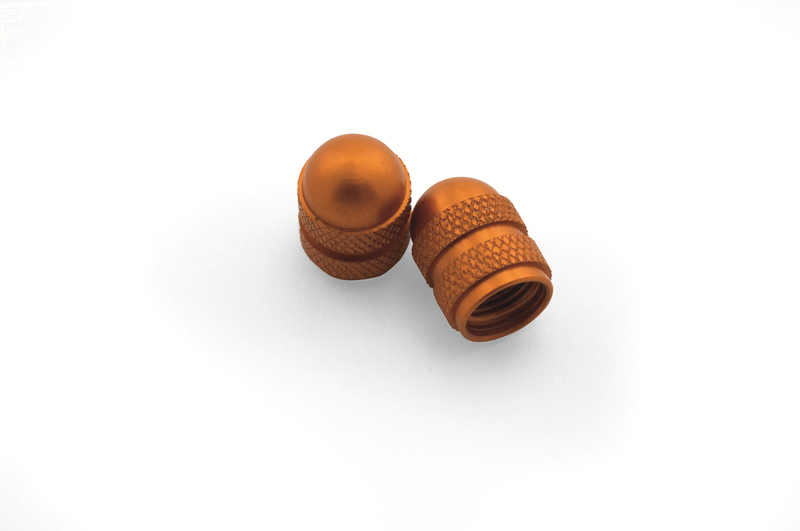 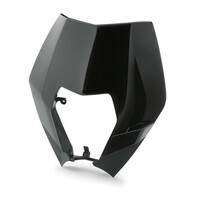 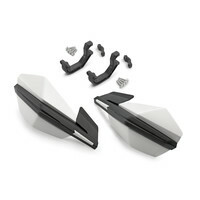 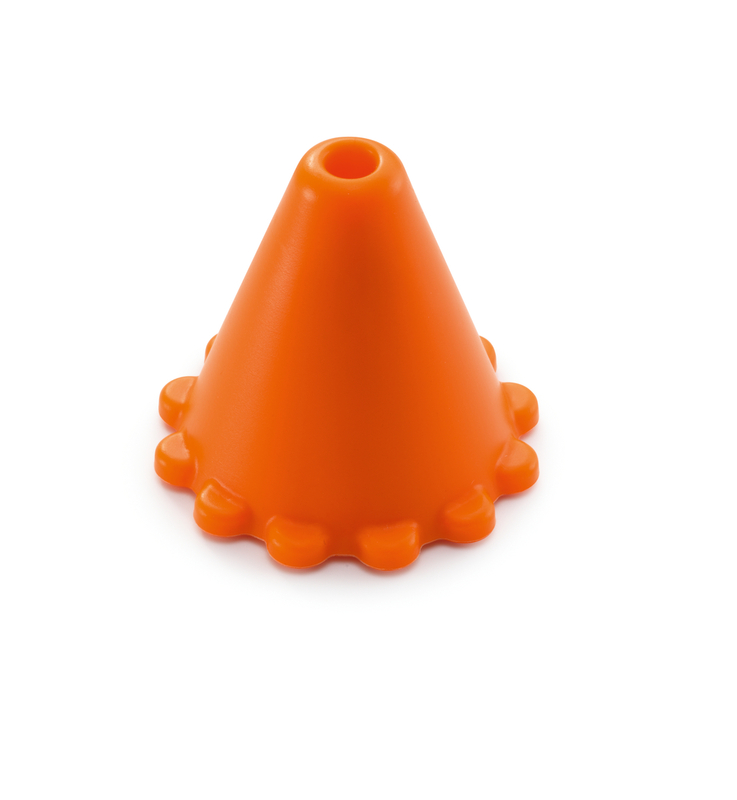 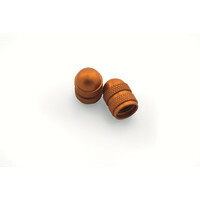 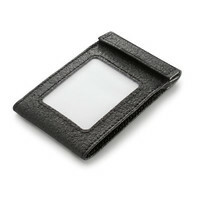 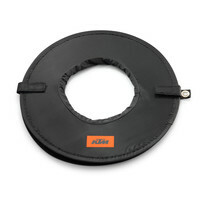 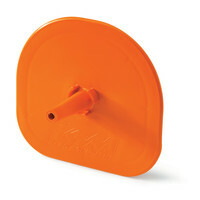 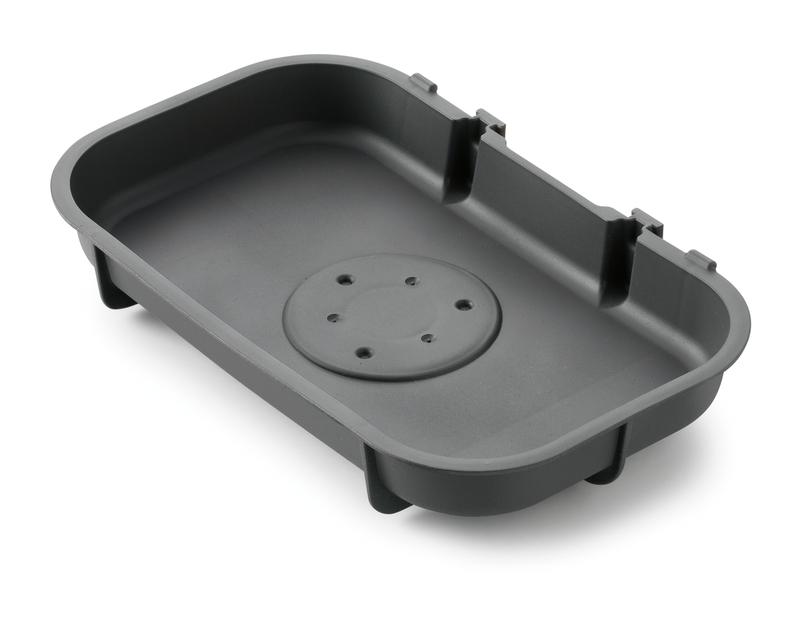 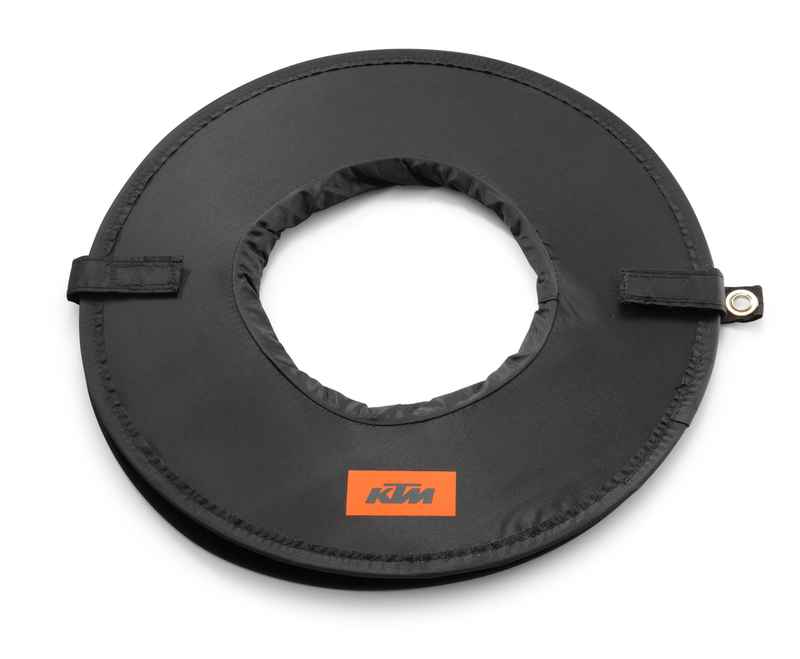 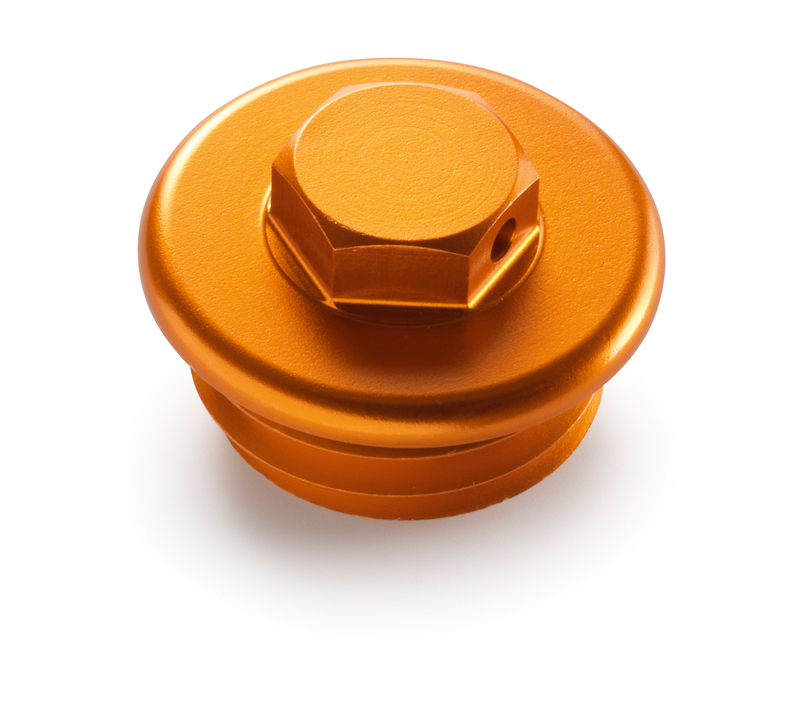 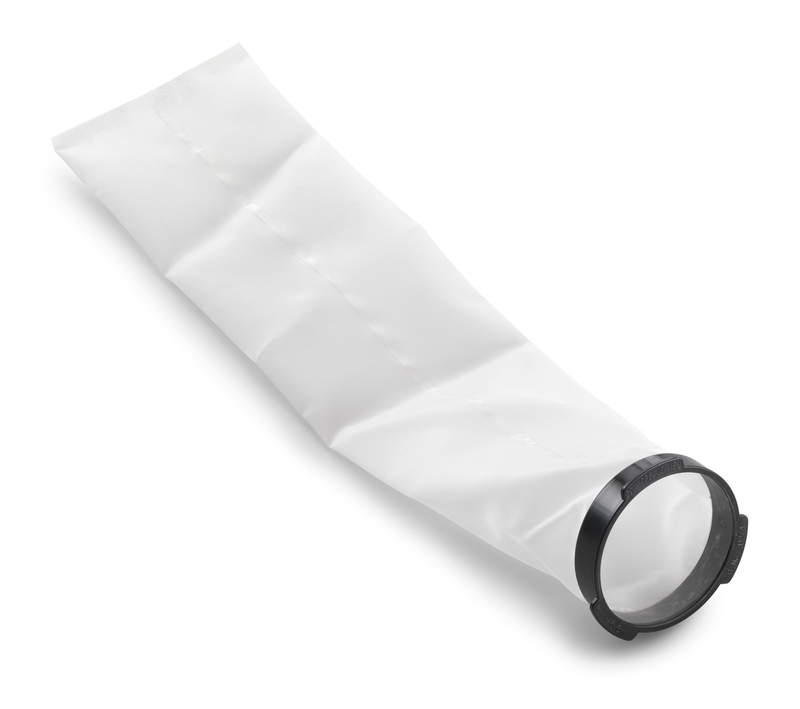 With removable noise reduction insert. 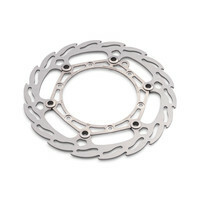 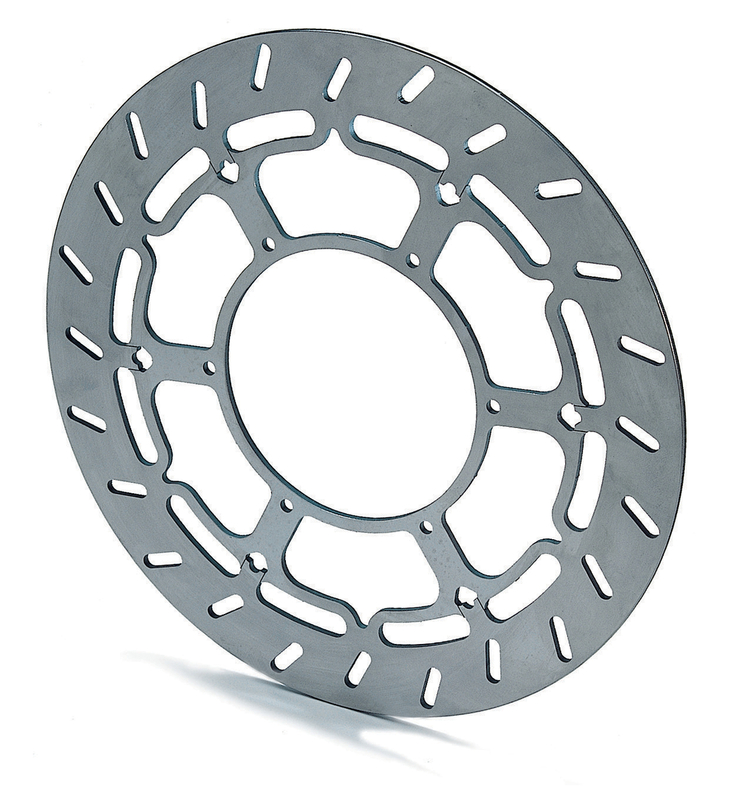 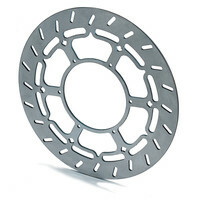 Floating, stainless steel brake disc. 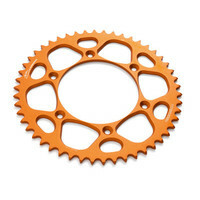 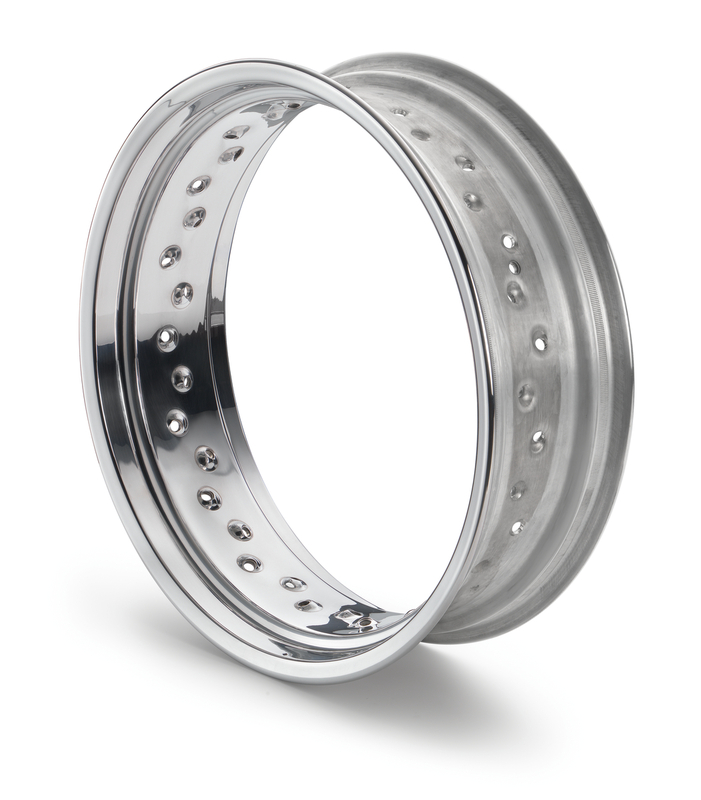 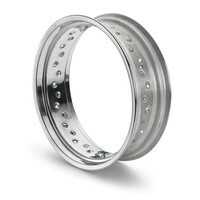 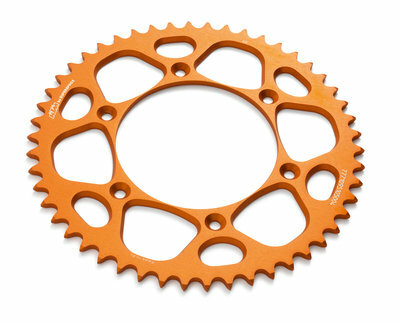 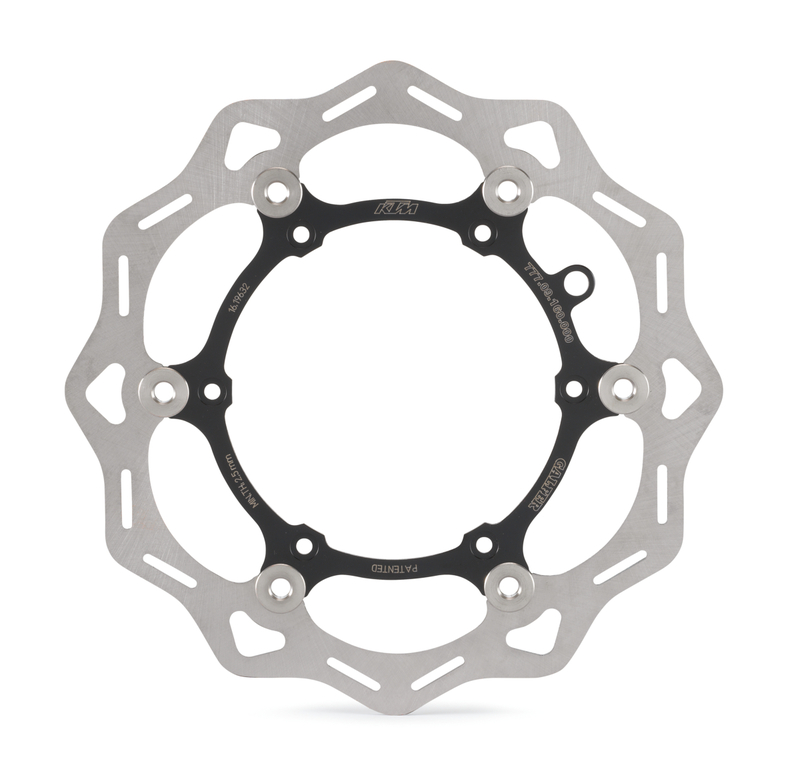 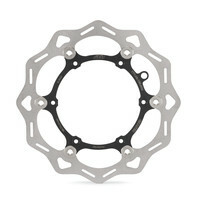 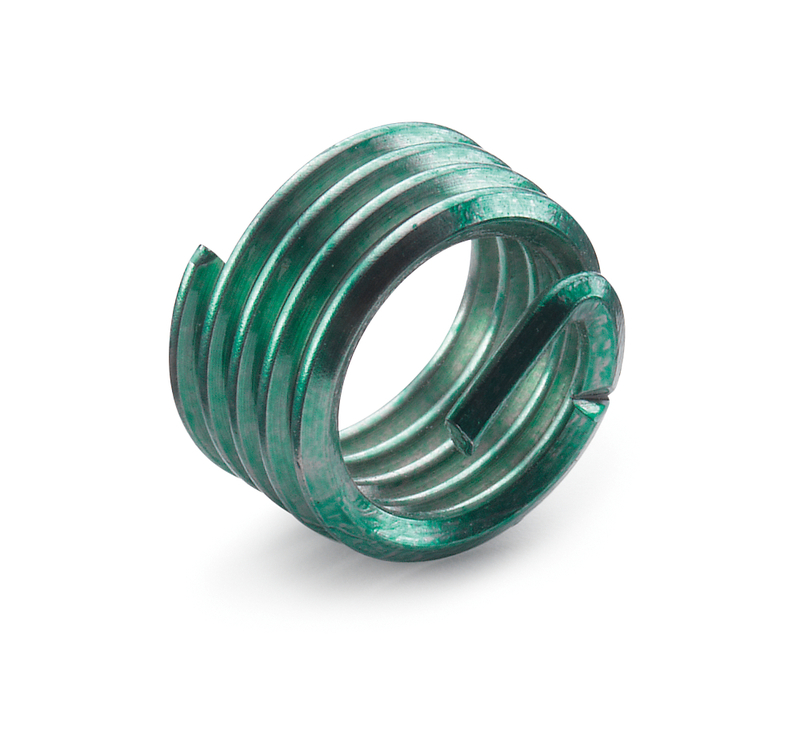 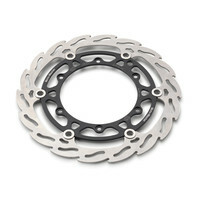 The inner ring is made of aluminum to save weight. 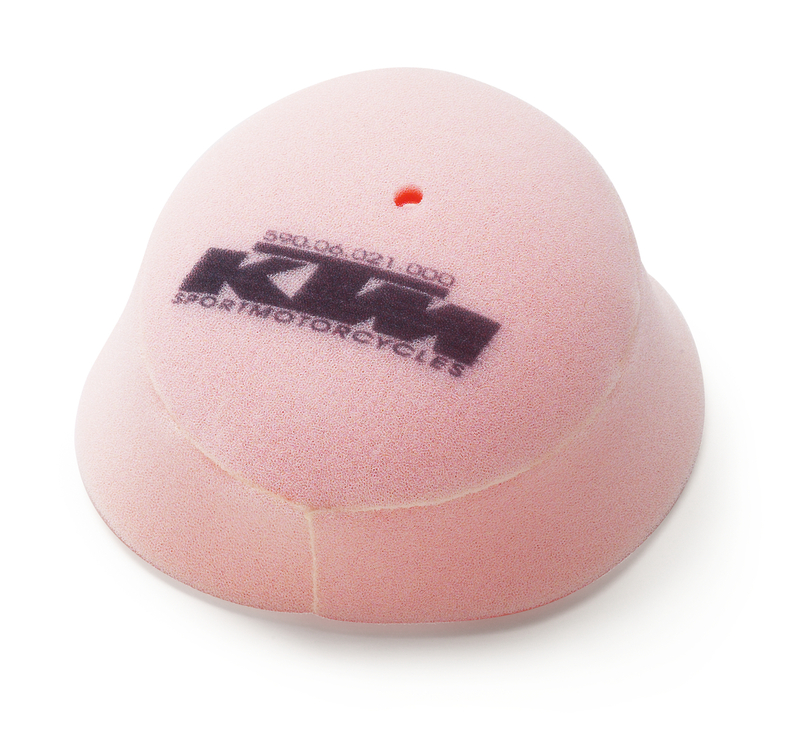 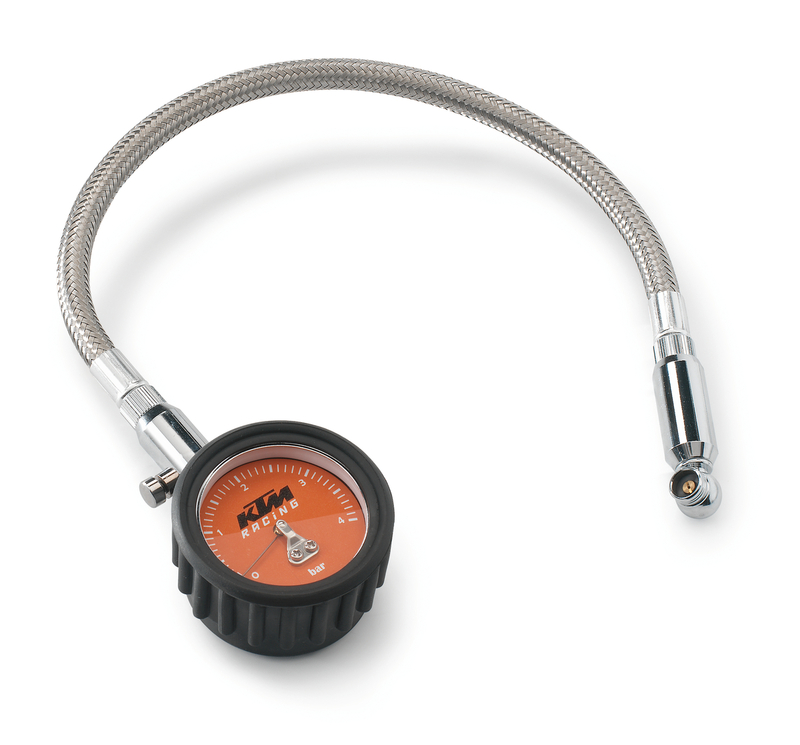 The pressure point doesn’t change, even when subjected to extreme temperatures and forces. 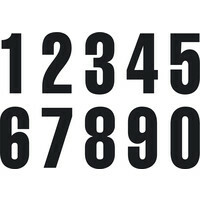 Please note: Combination with 58413014000 not possible! 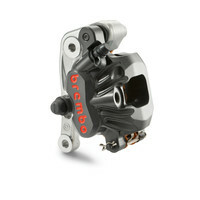 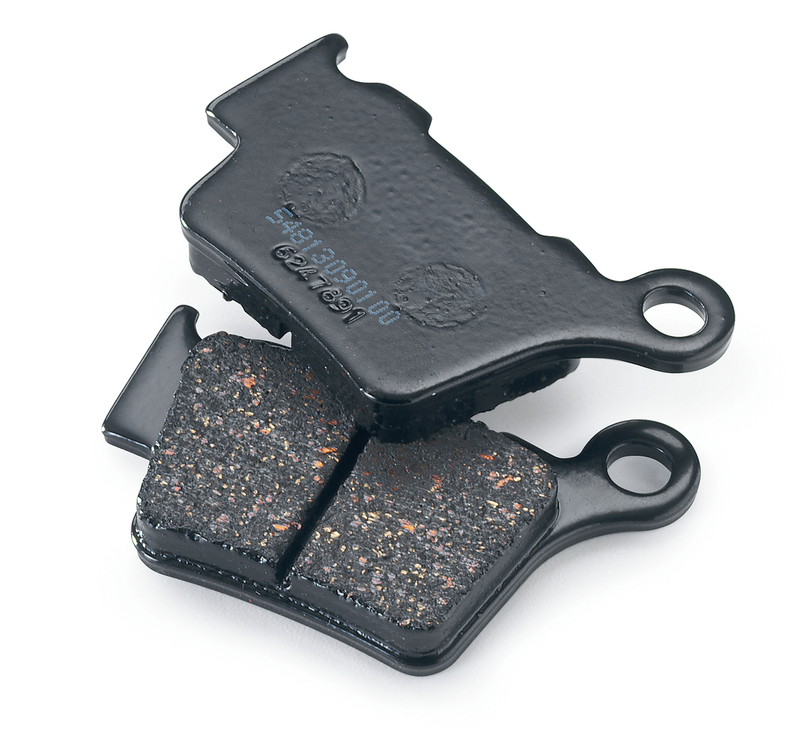 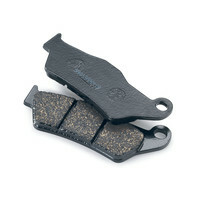 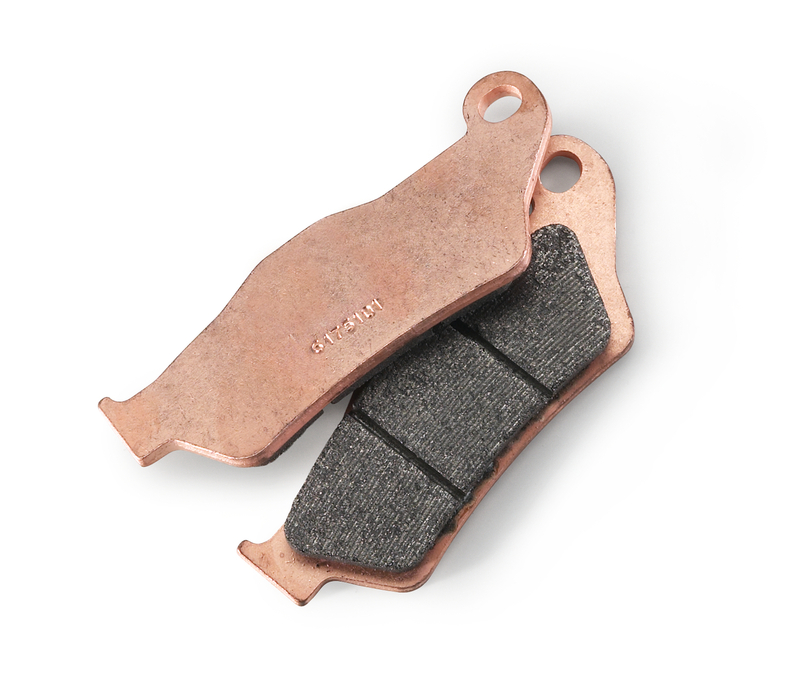 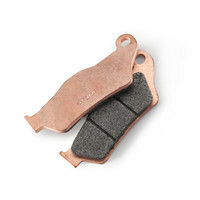 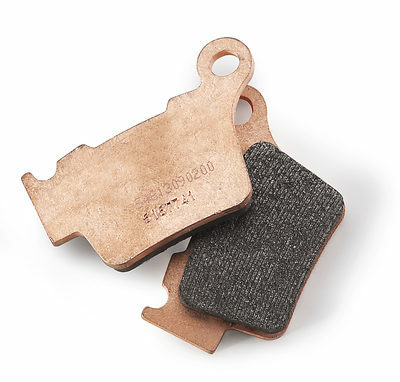 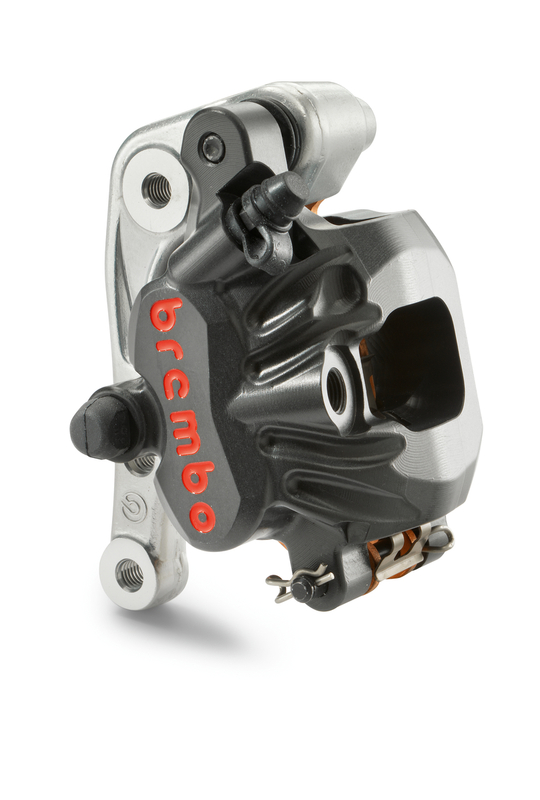 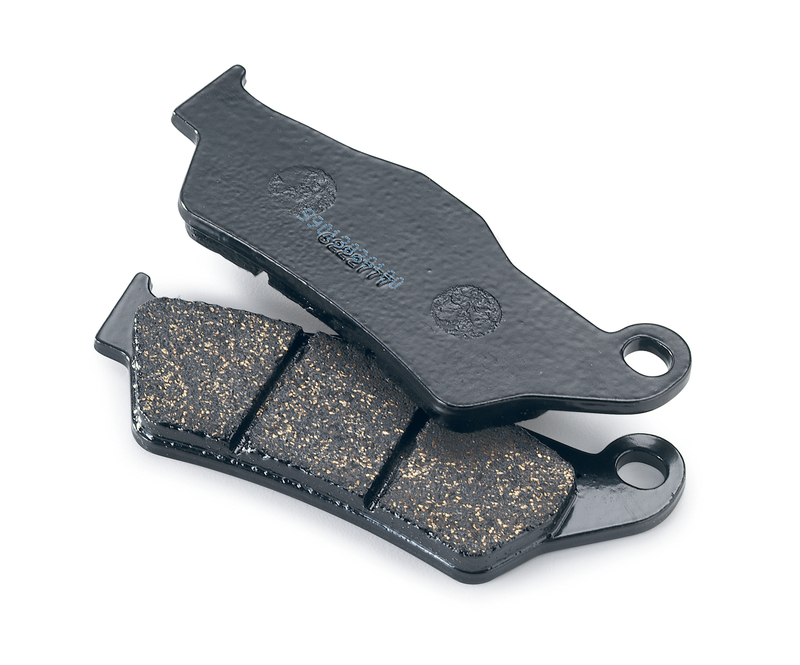 Not for use with 2-piston Brembo® brake caliper. 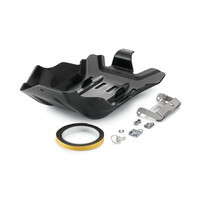 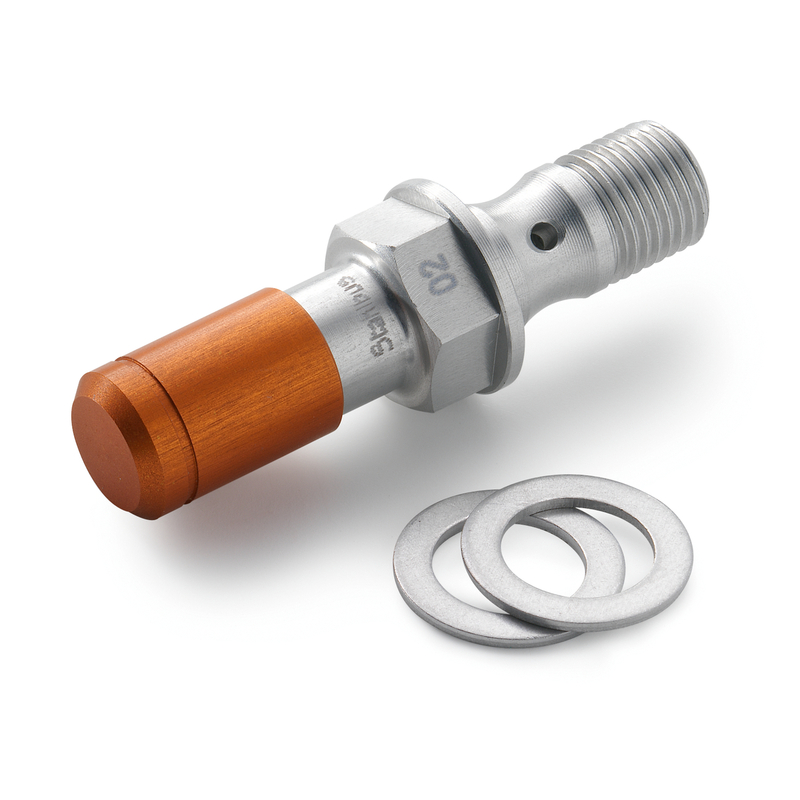 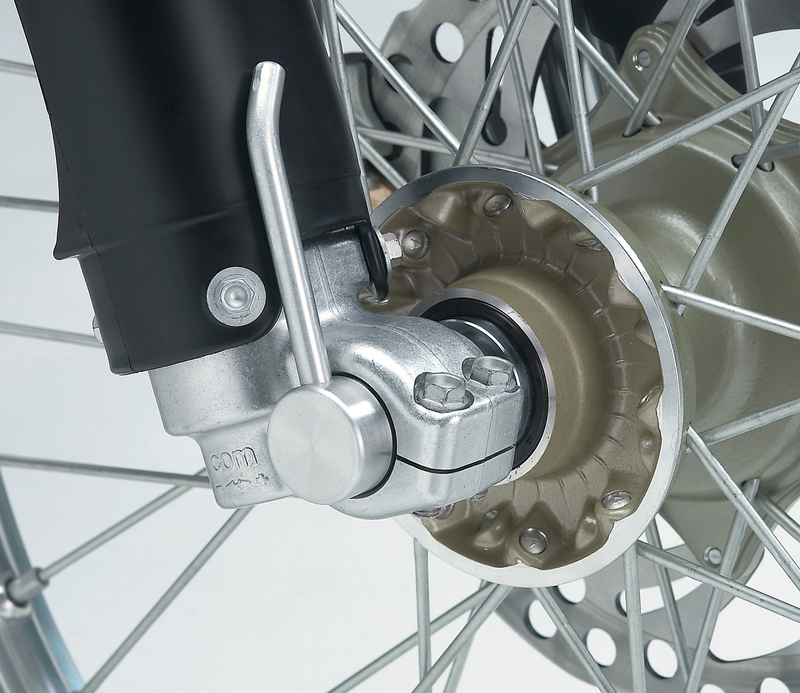 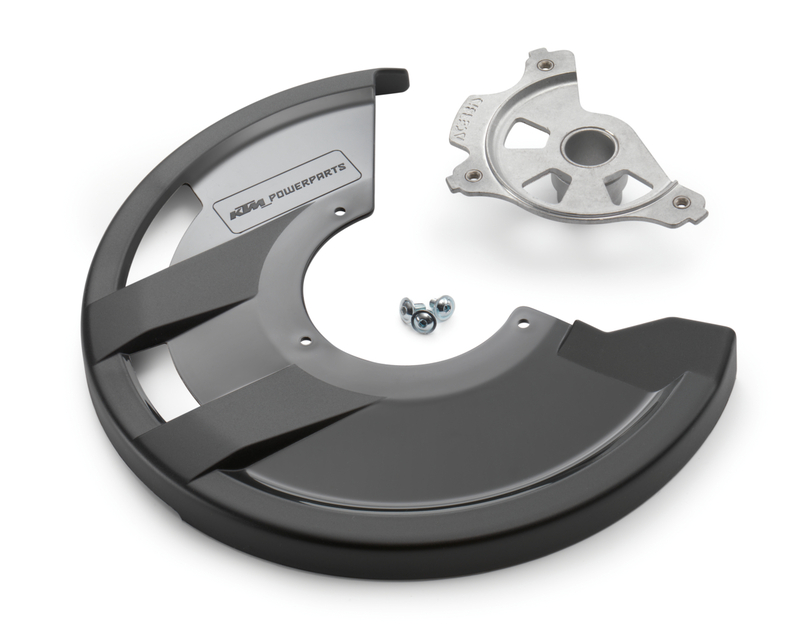 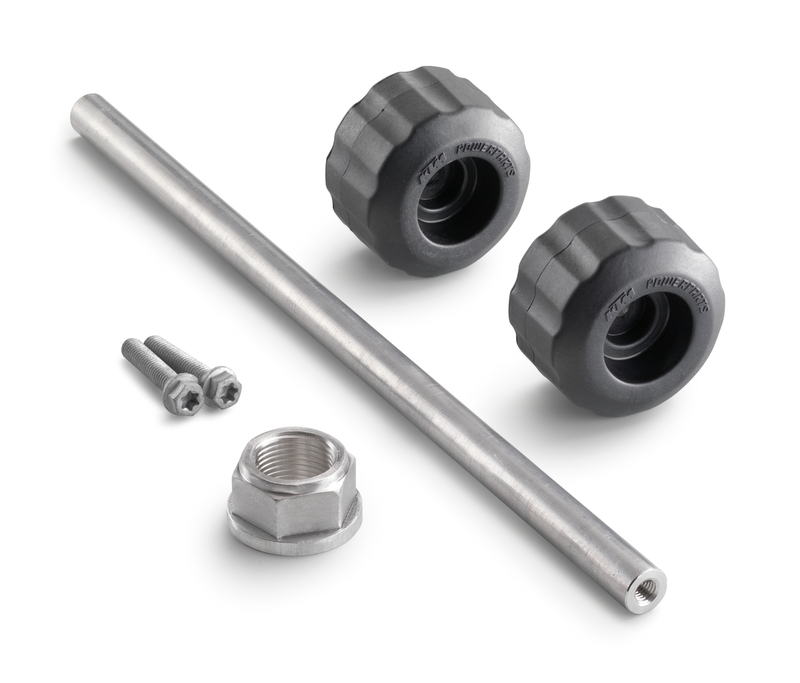 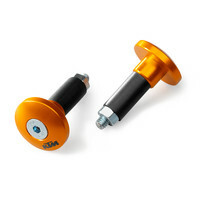 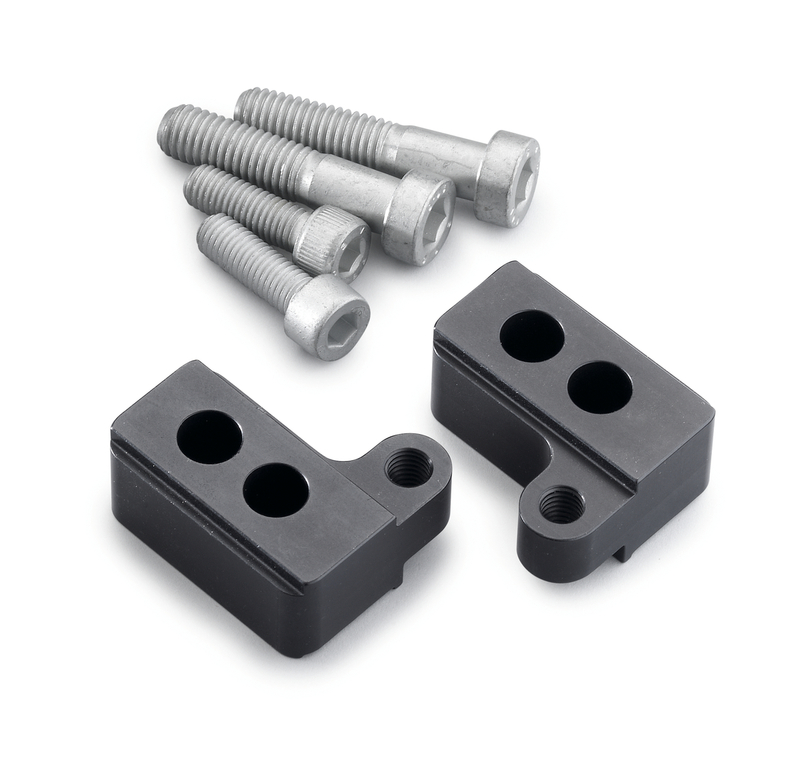 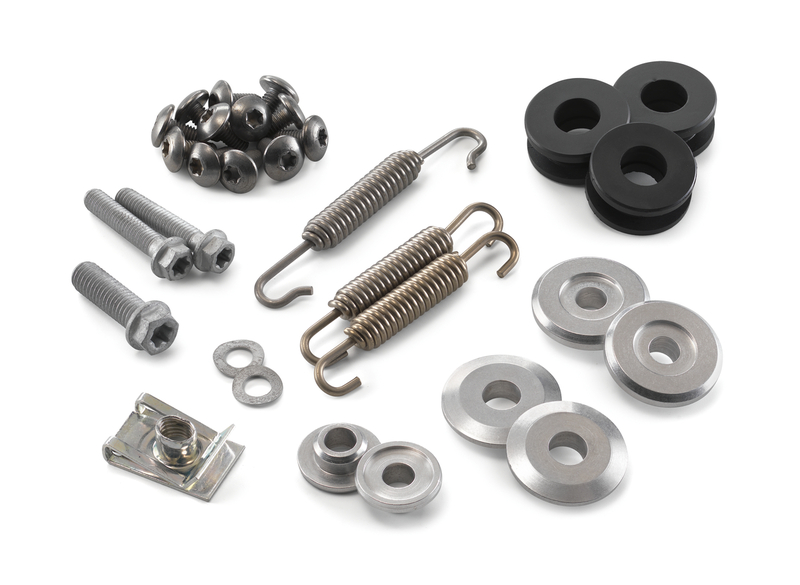 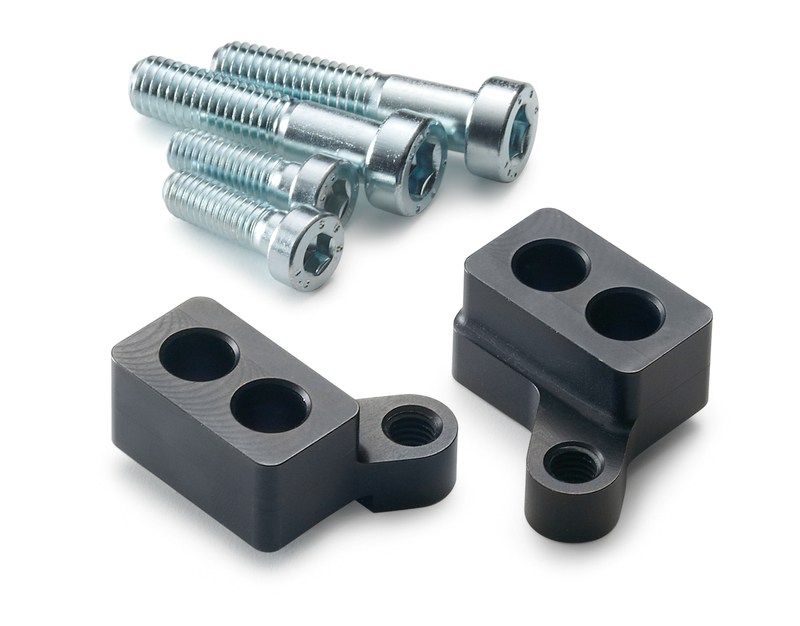 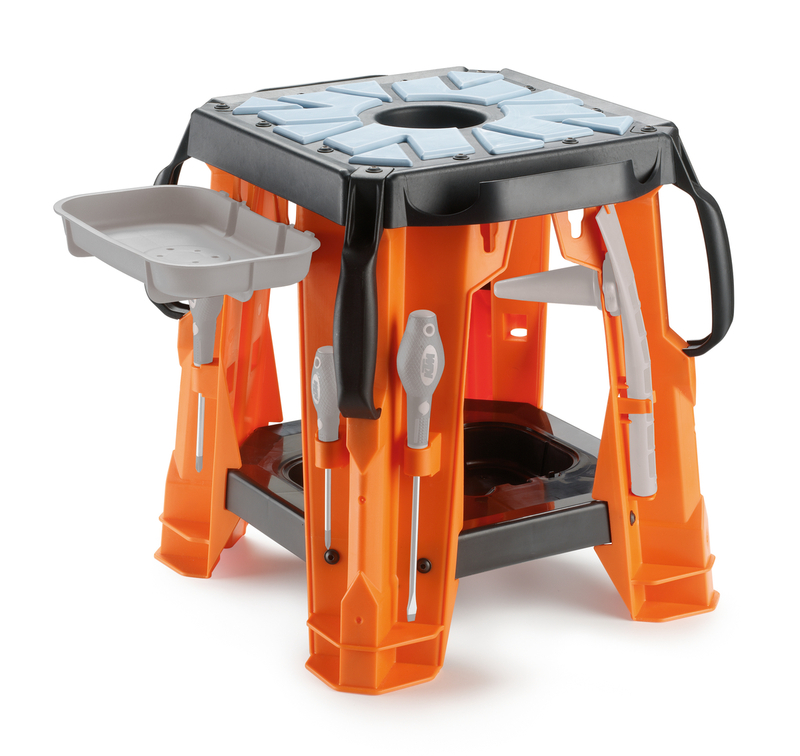 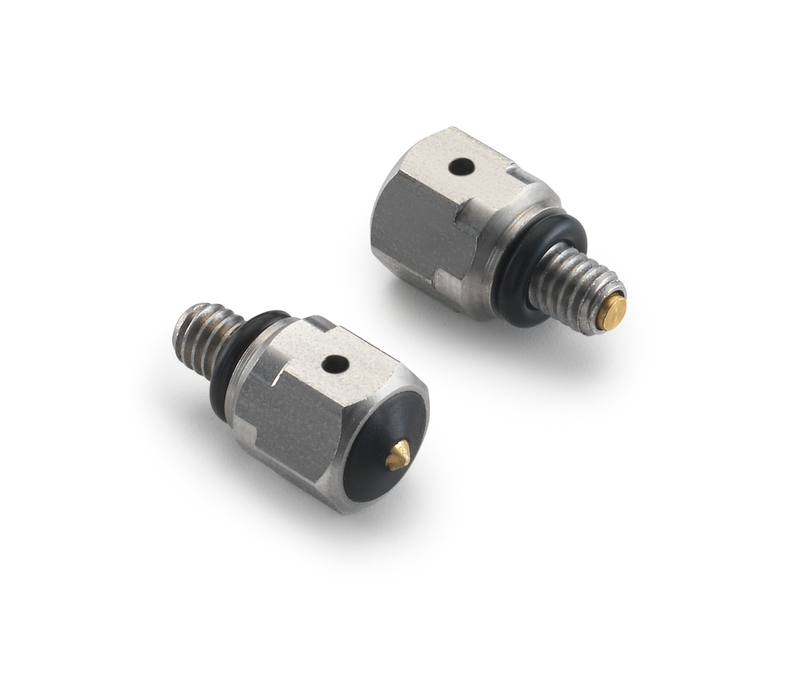 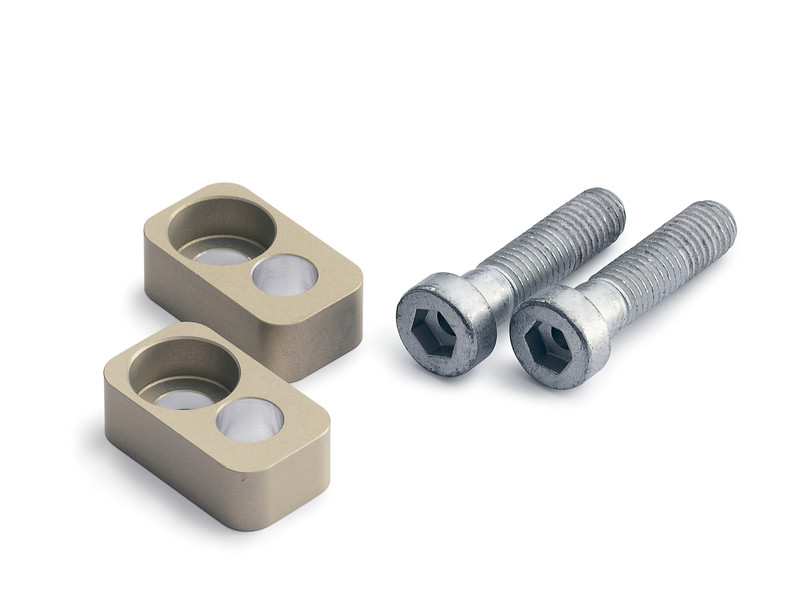 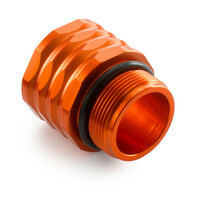 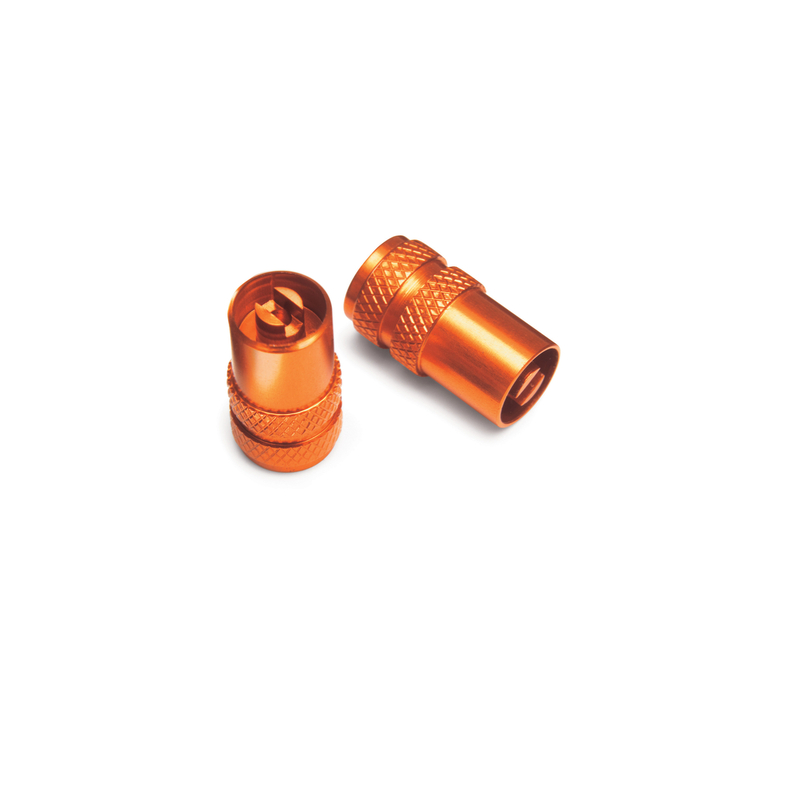 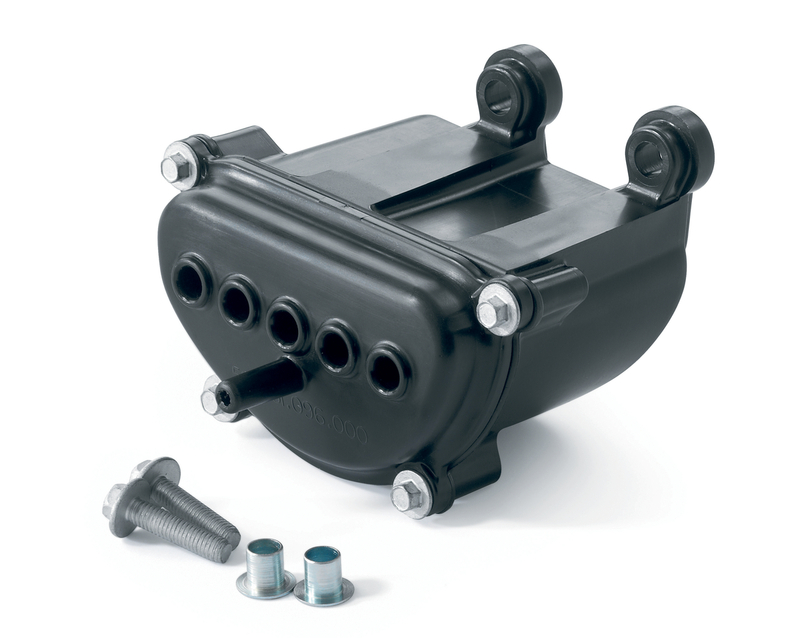 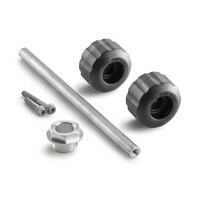 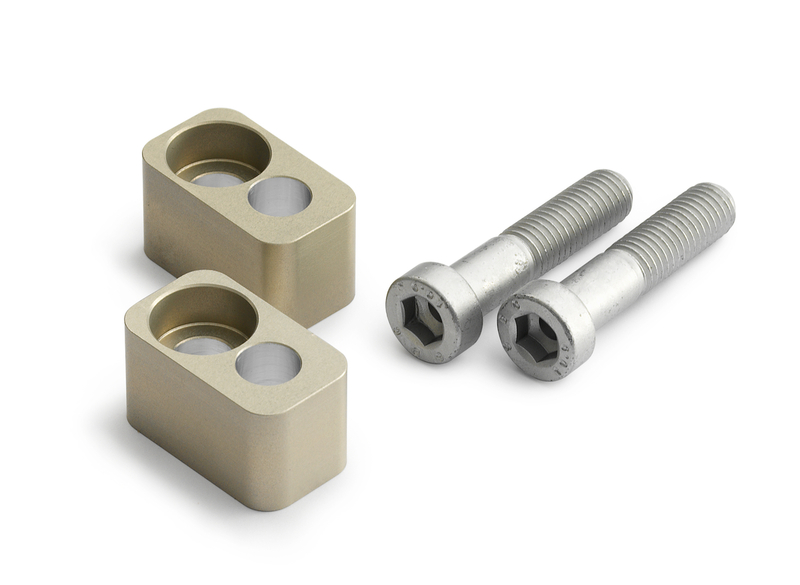 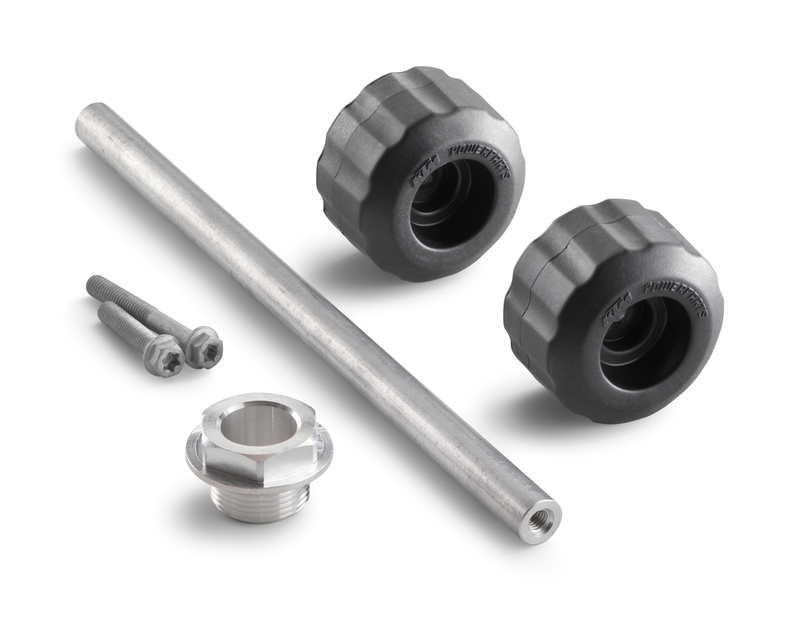 Very practical: The intelligent fitting system with a central adapter replaces the spacer sleeve on the wheel axle and allows the tire to be changed, brake to be serviced, etc., without removing the brake cover. 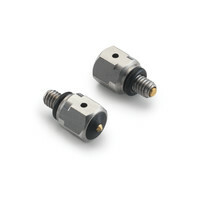 Prevents inadvertent actuation of the fuel tap. 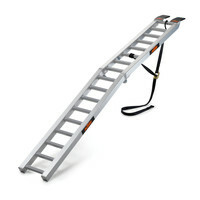 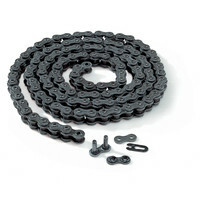 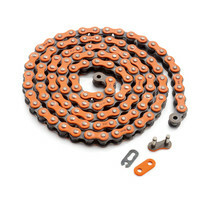 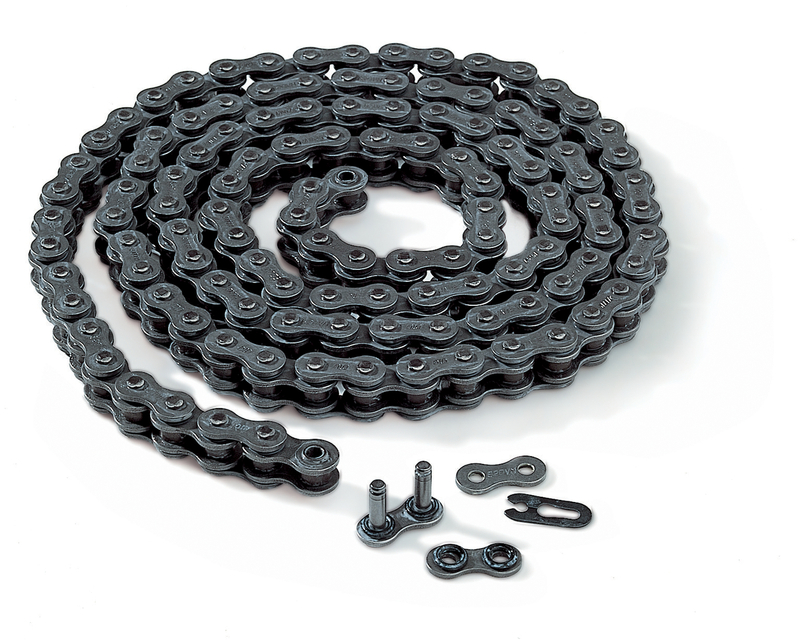 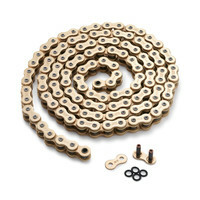 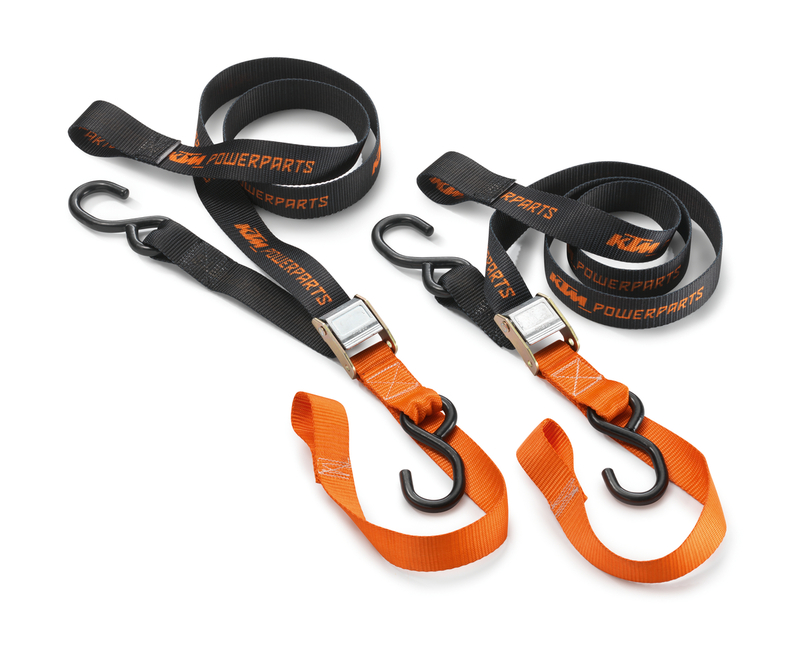 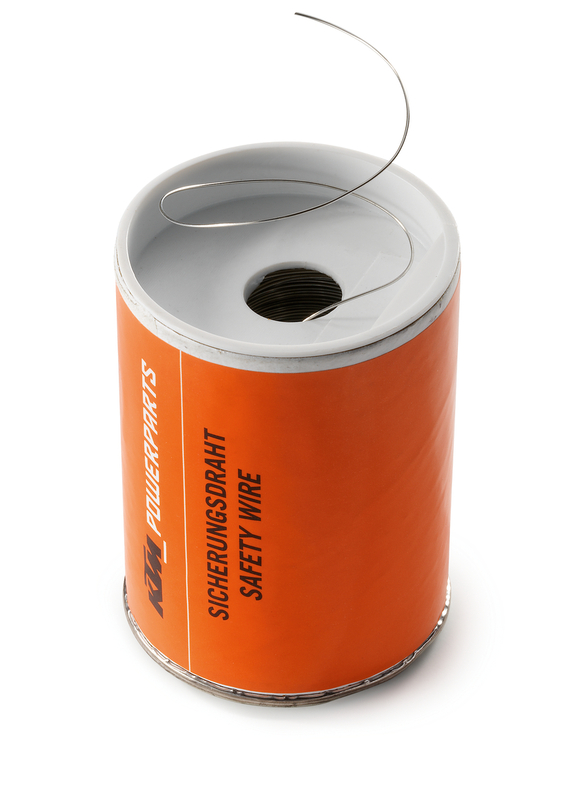 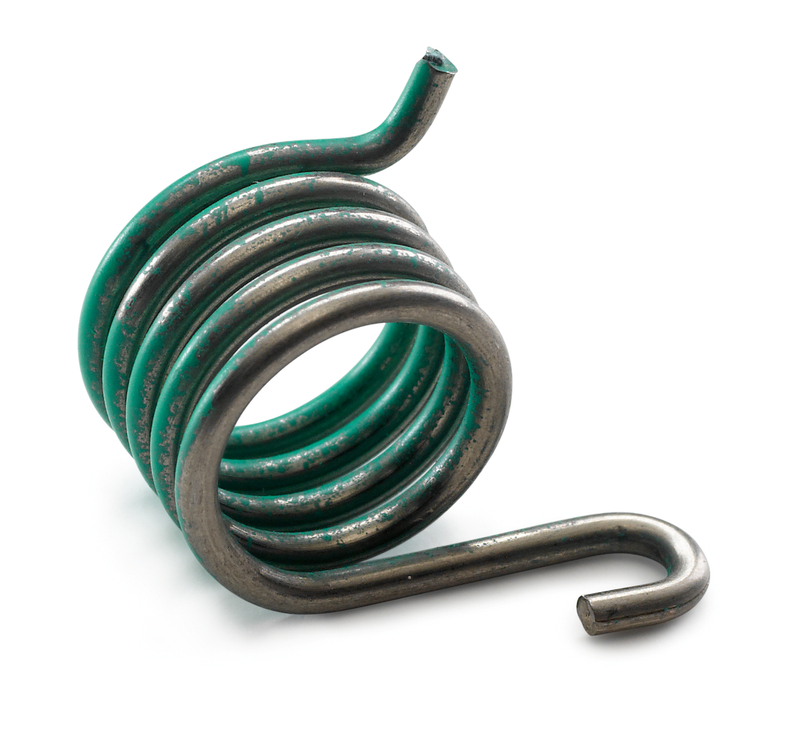 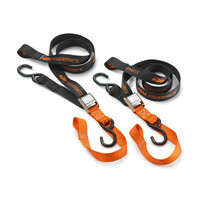 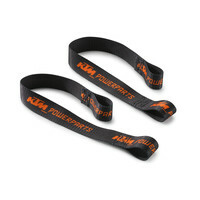 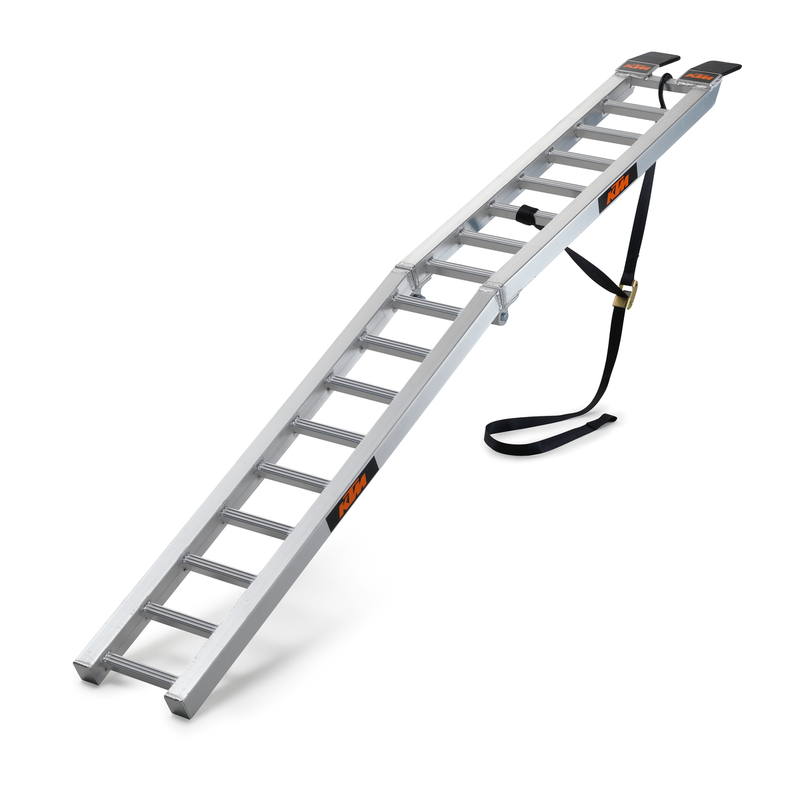 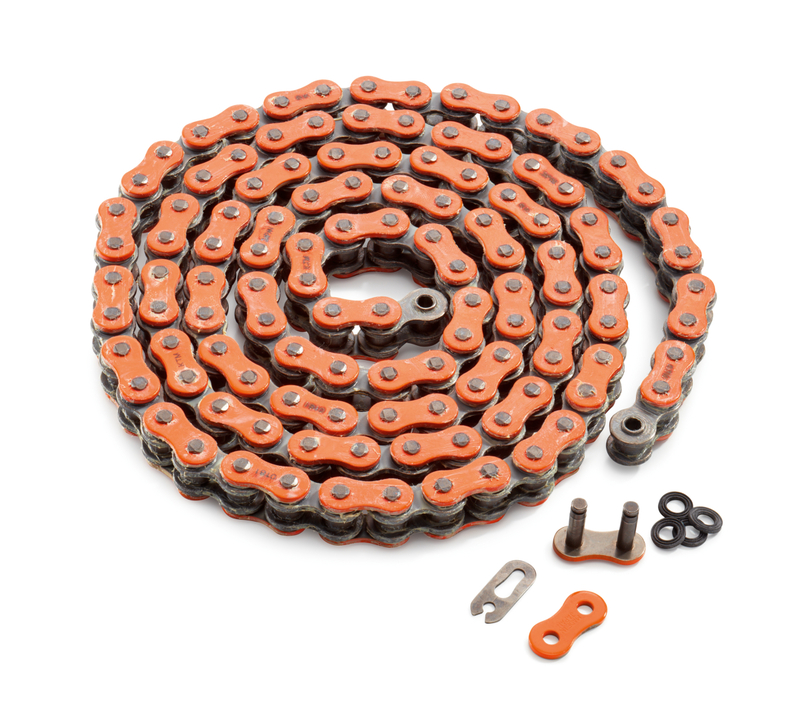 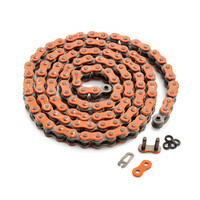 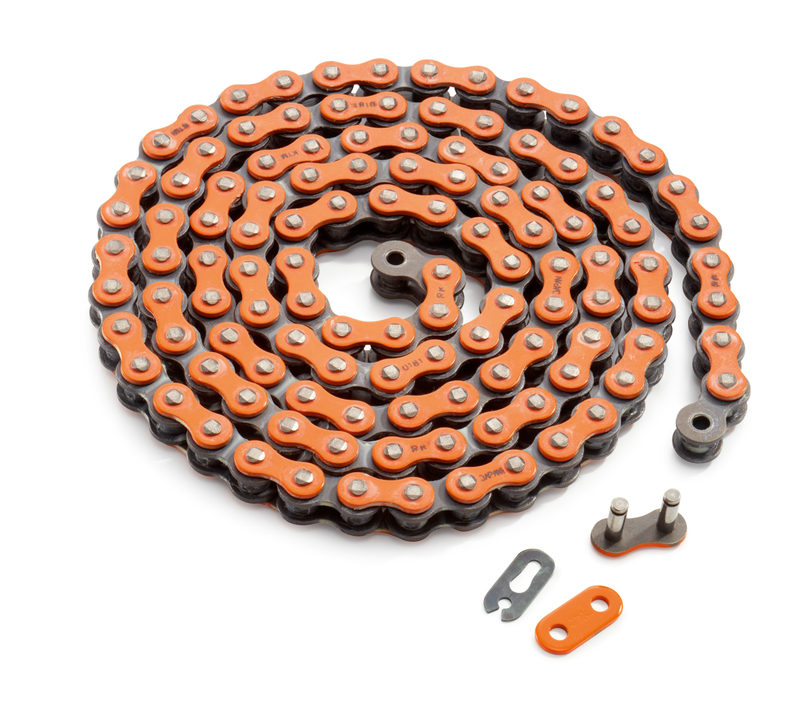 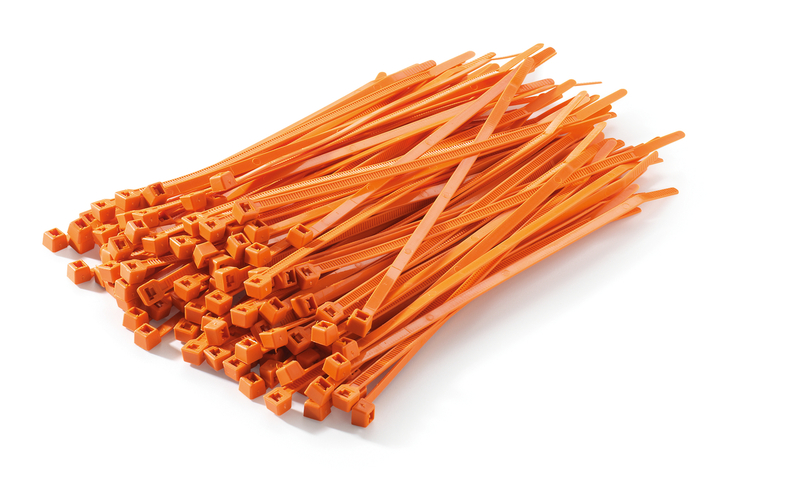 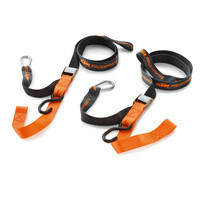 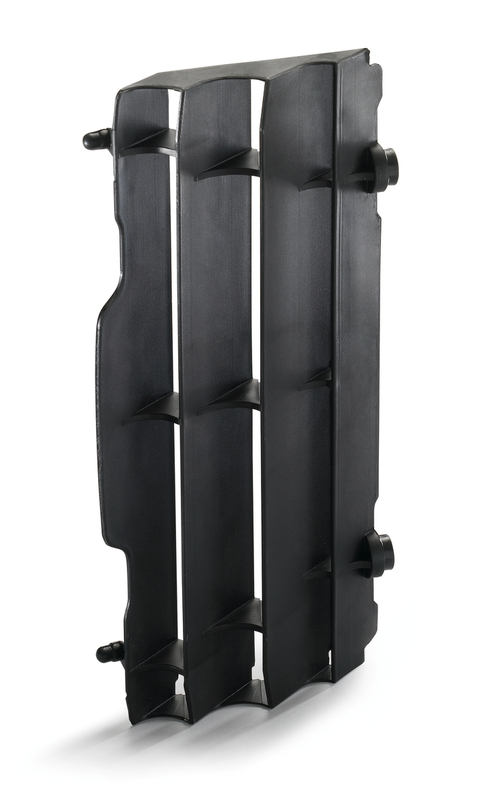 High-strength, free-running chain that reduces resistance! 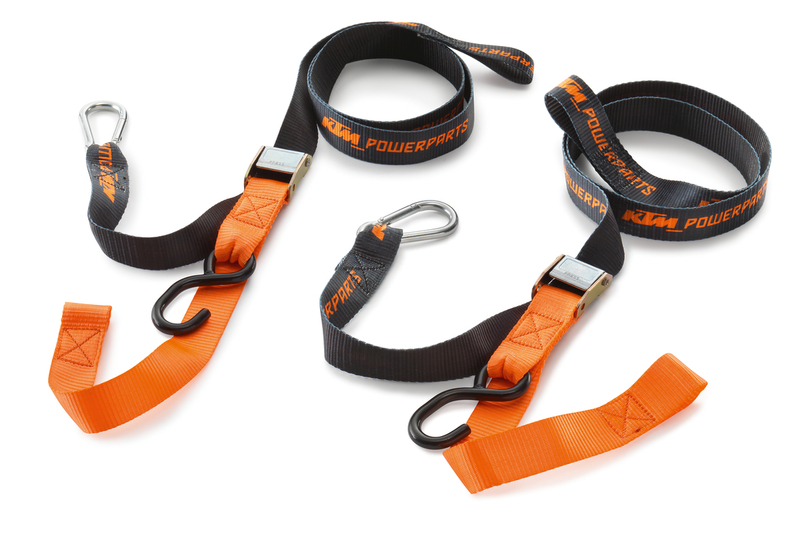 This means extra power! 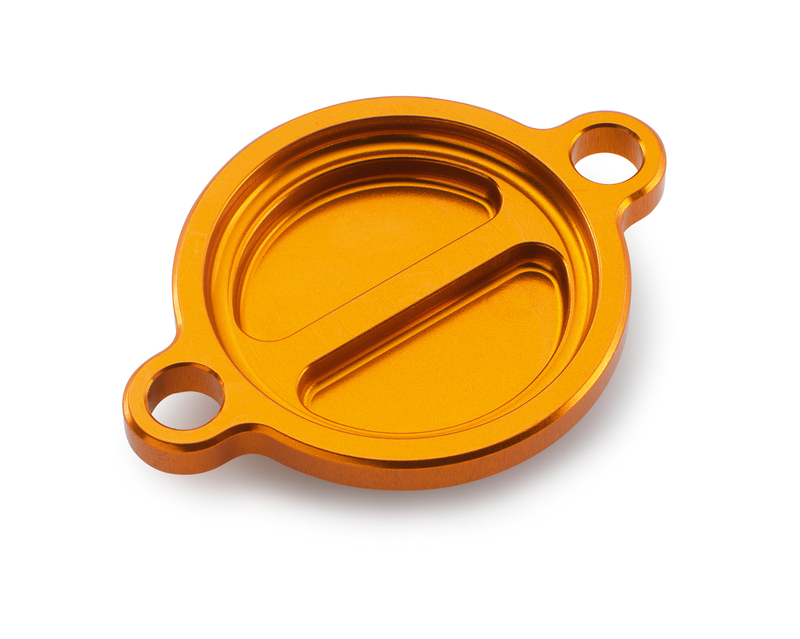 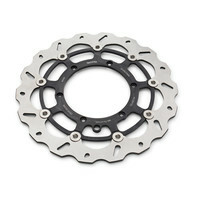 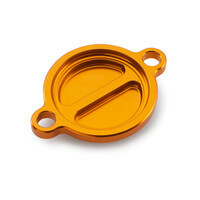 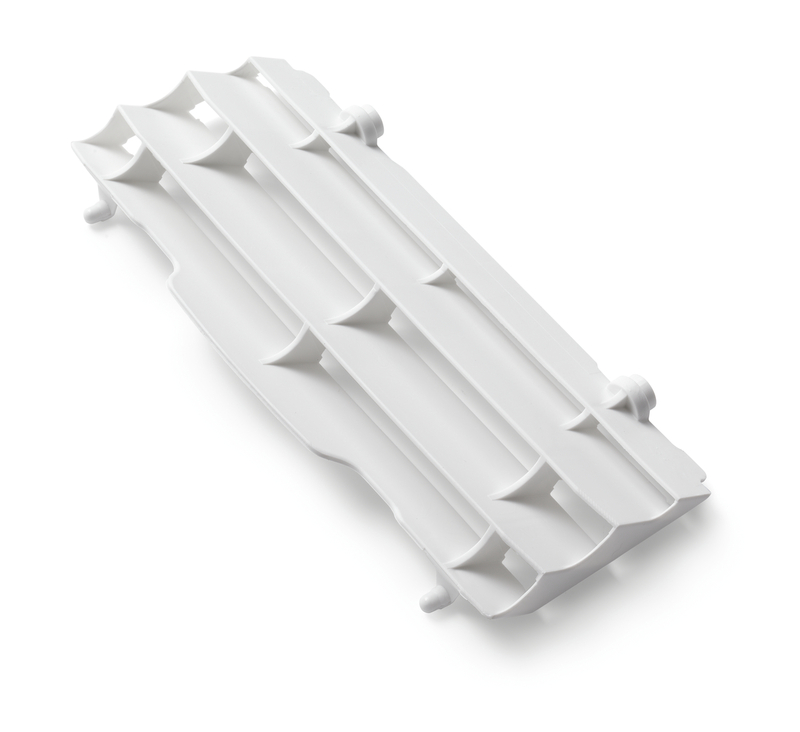 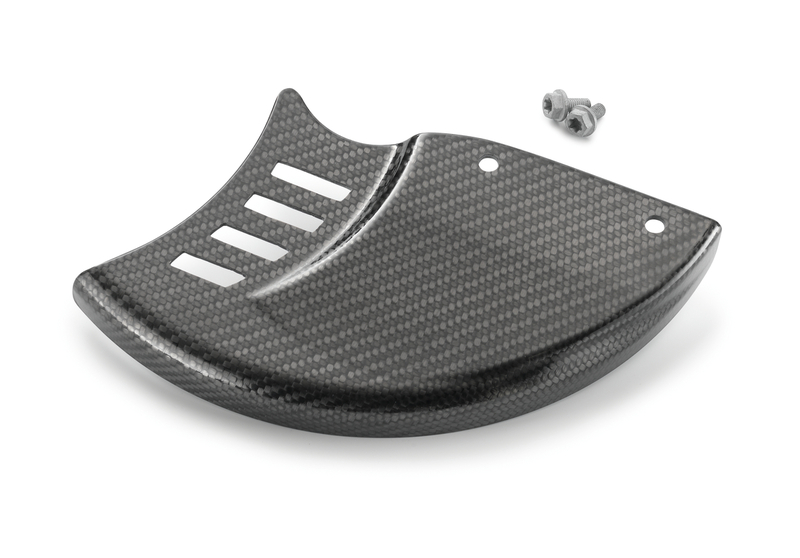 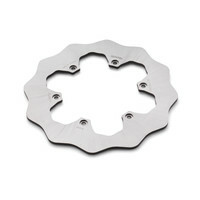 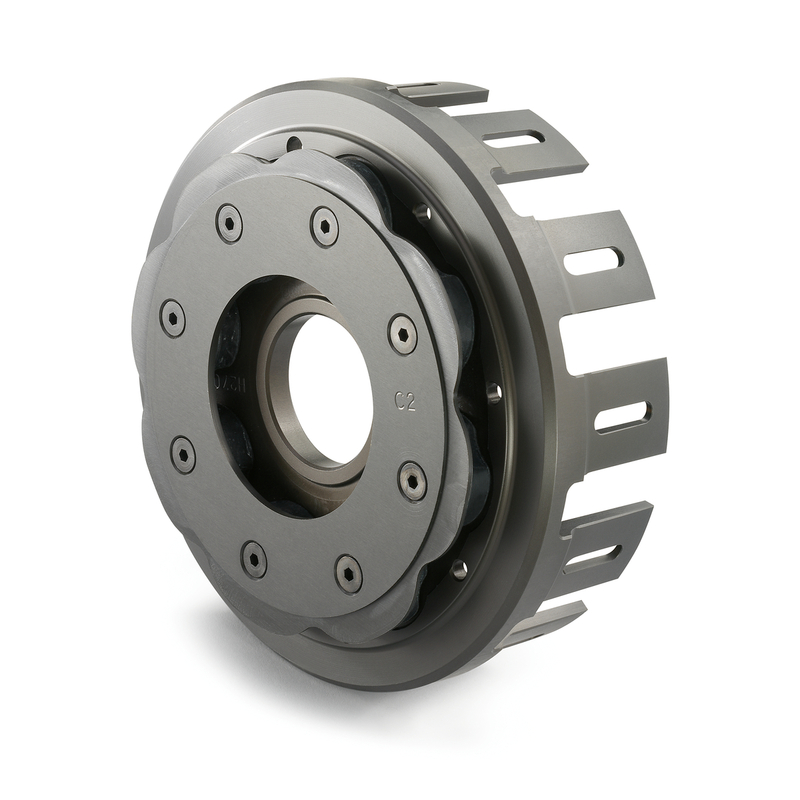 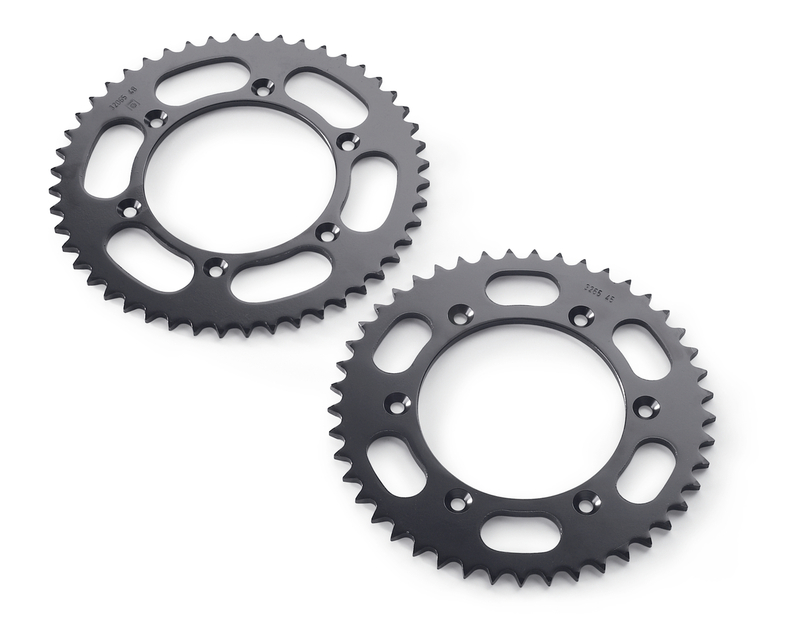 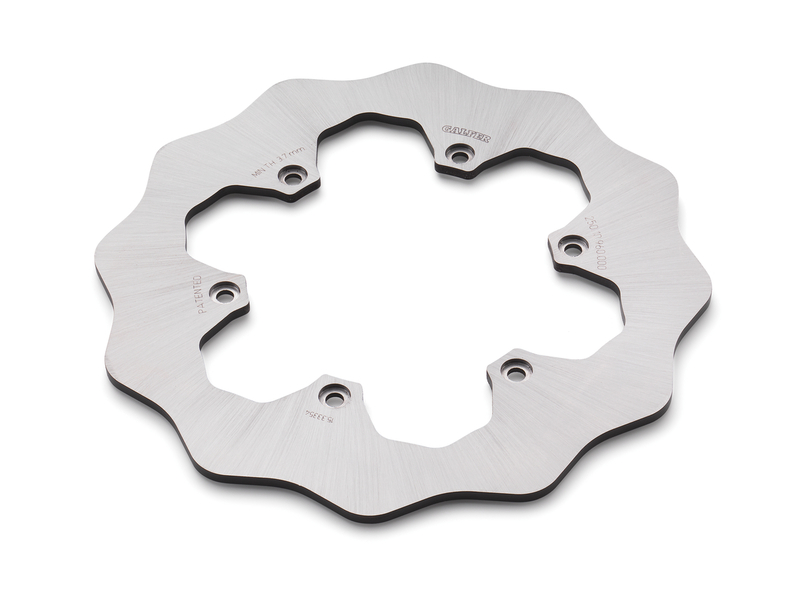 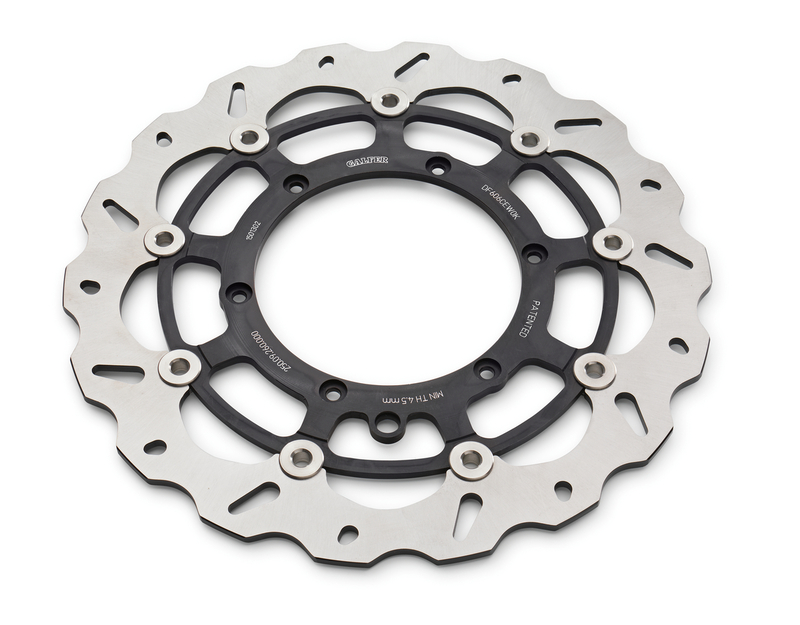 High quality, CNC-machined outer clutch cover in the factory look. 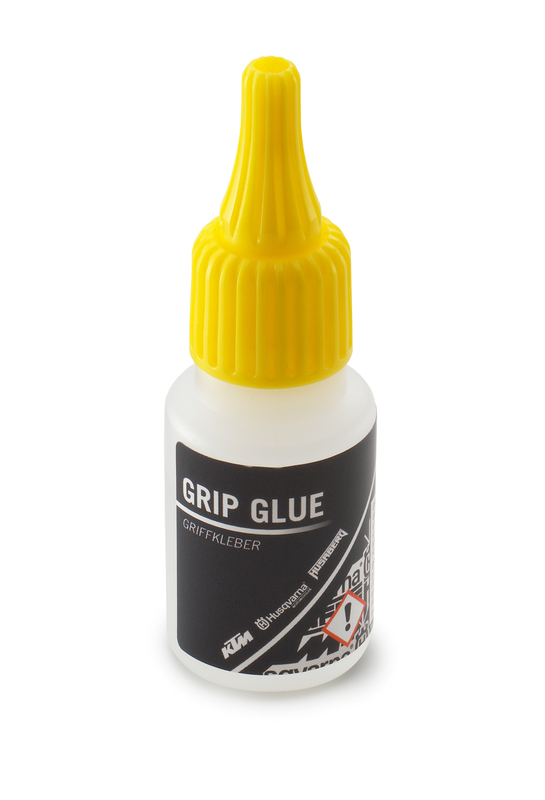 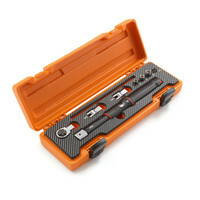 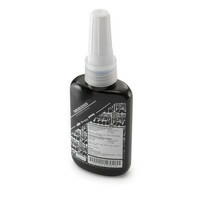 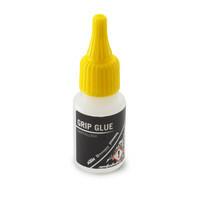 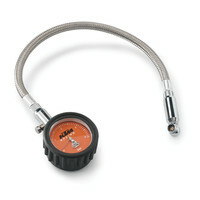 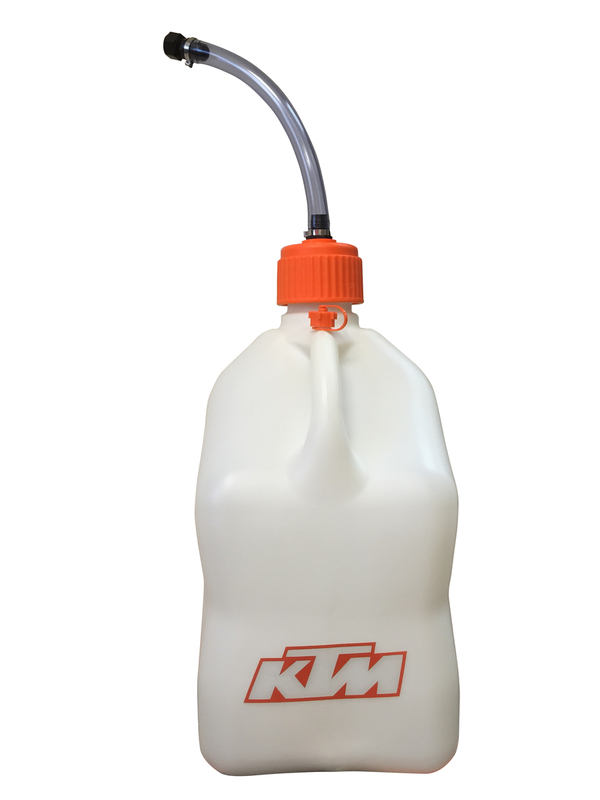 Practical tool for regulating the mixture on the carburetor - without the need for any other tools. 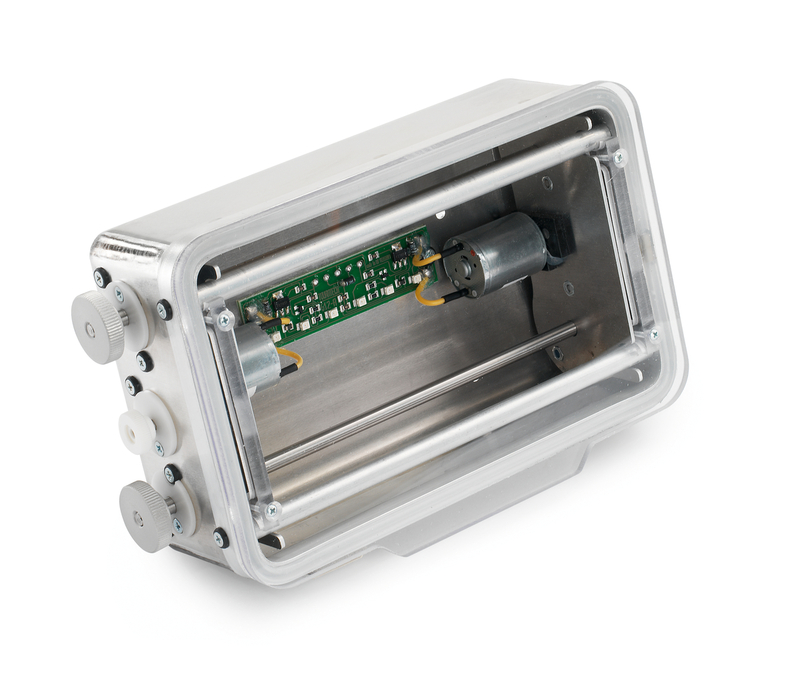 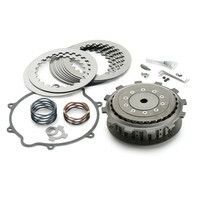 DO YOU KNOW about the benefits of a REKLUSE automatic clutch? 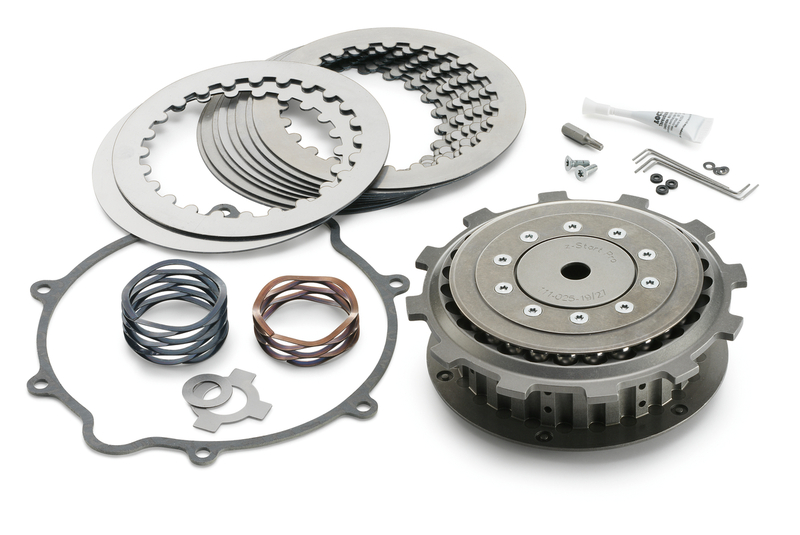 The centrifugal clutch opens automatically at very low revs, so it's no longer possible for the engine to stall "unintentionally". 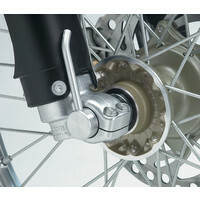 No more shifting is required, although it is still possible. 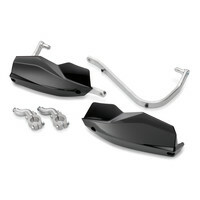 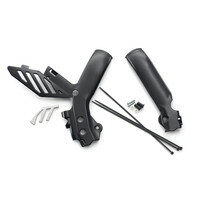 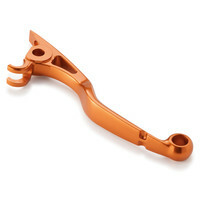 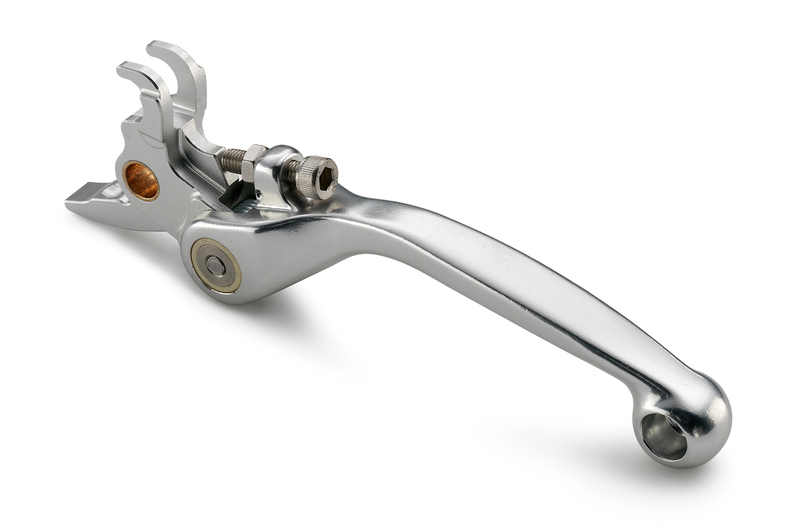 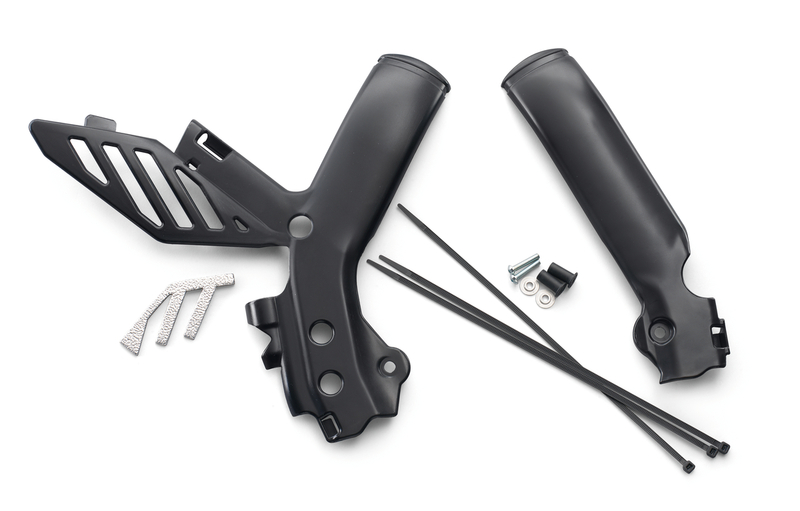 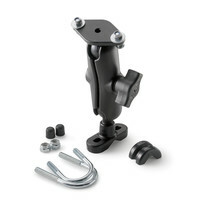 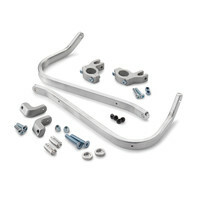 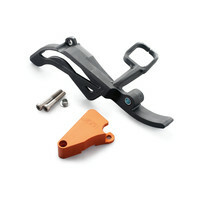 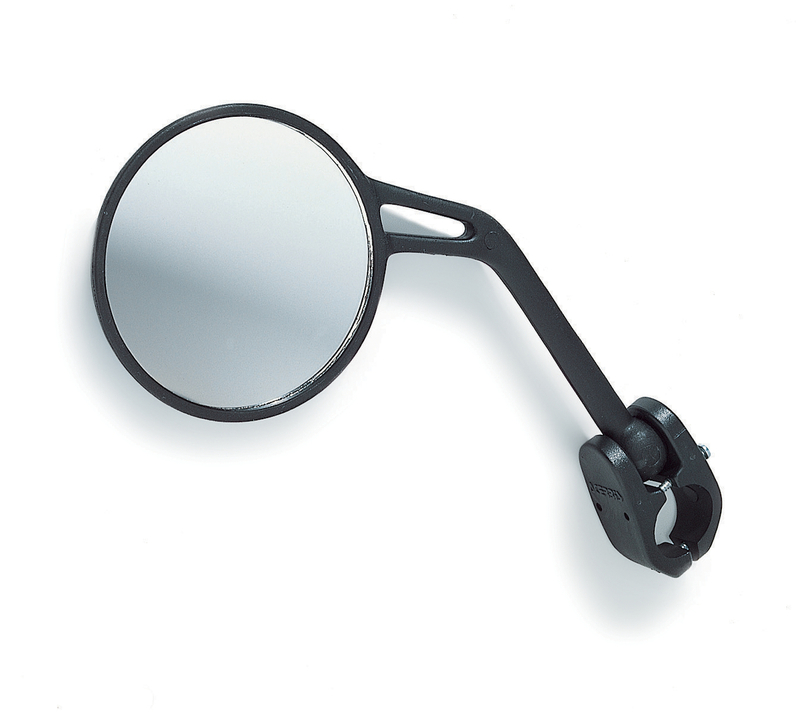 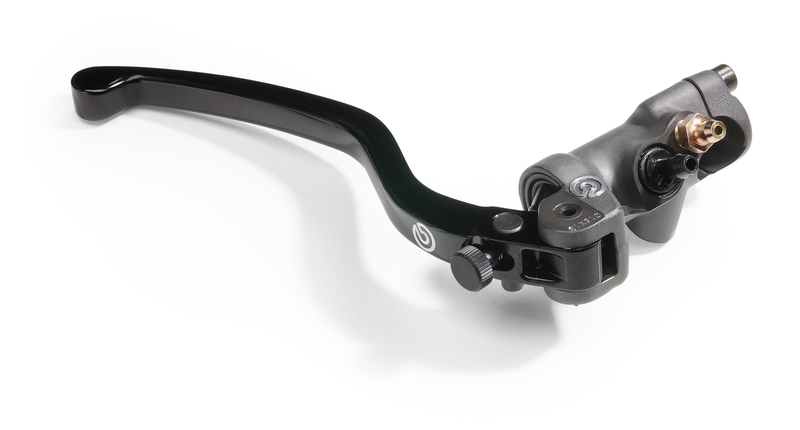 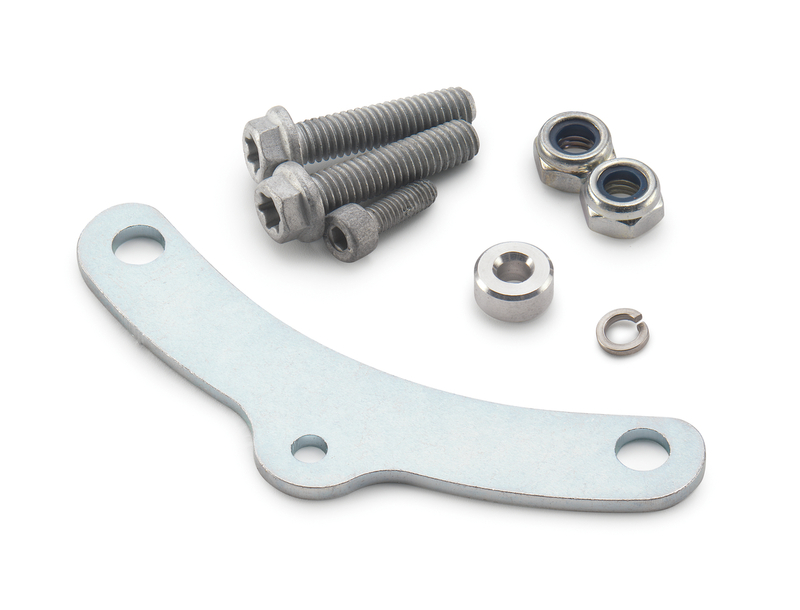 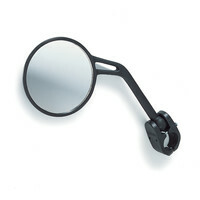 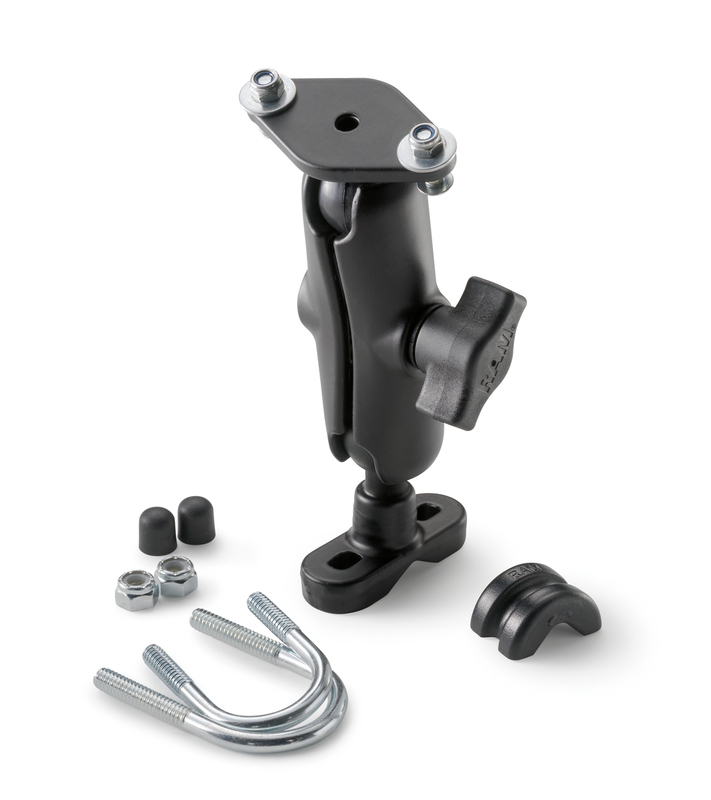 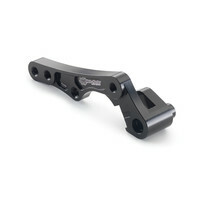 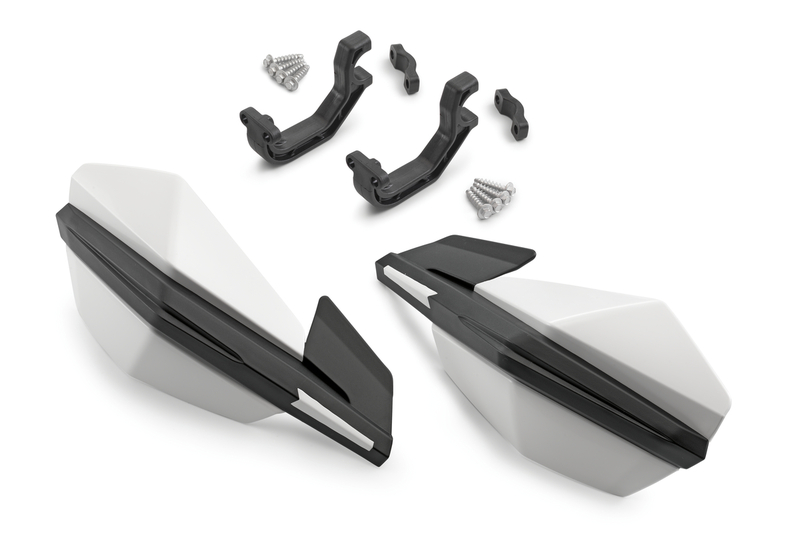 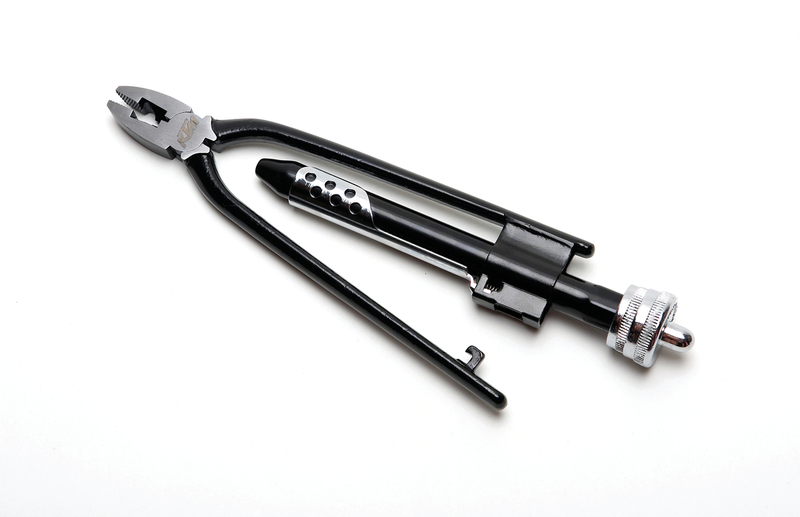 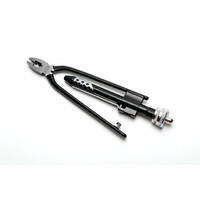 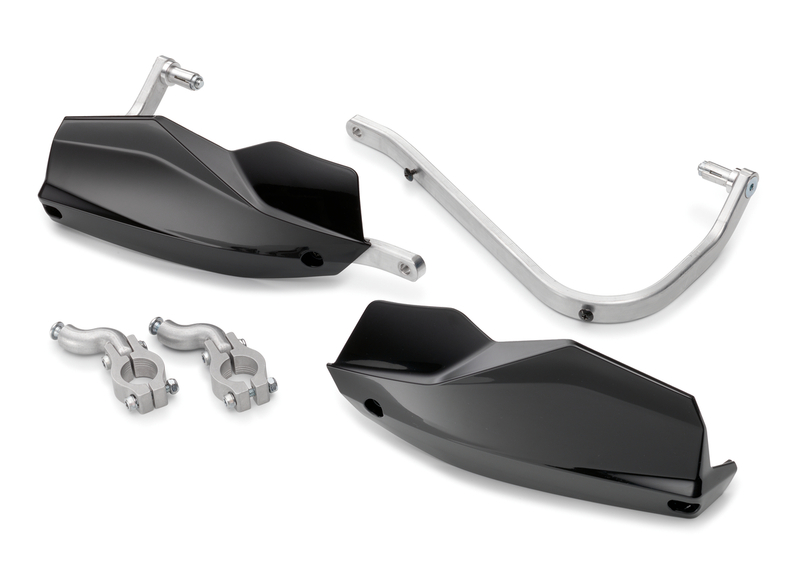 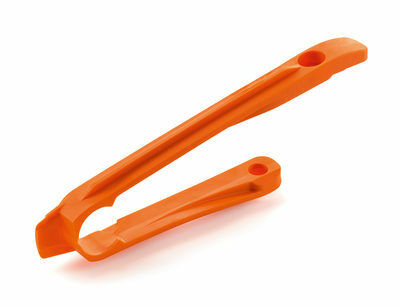 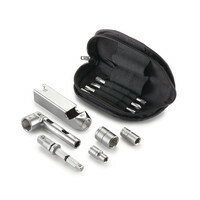 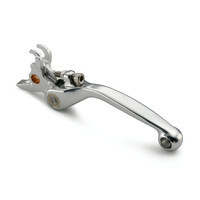 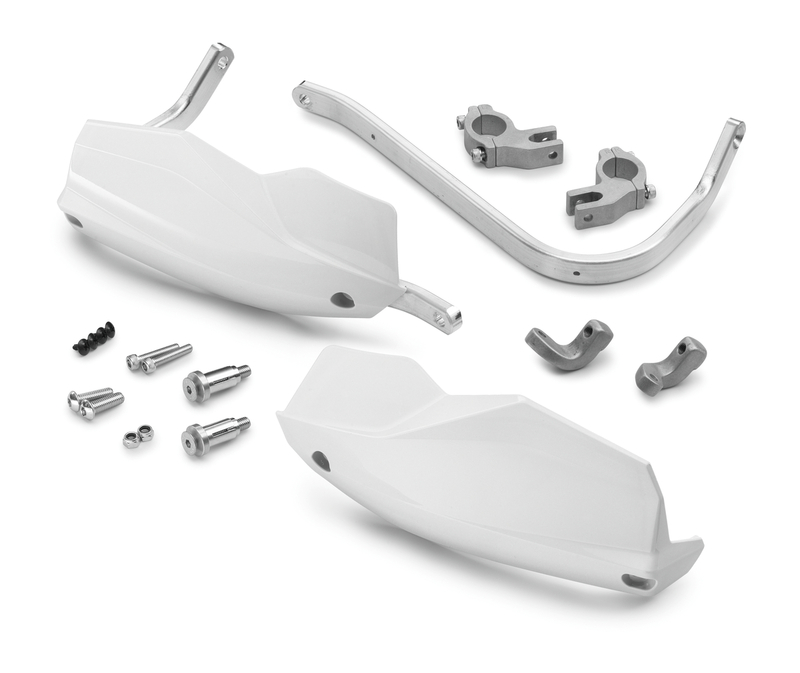 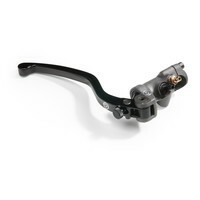 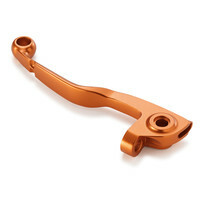 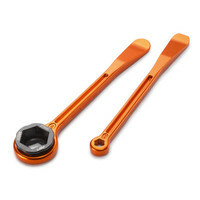 With the clutch lever no longer being necessary, a rear wheel hand brake lever kit 780.13.900.000 can also be fitted. 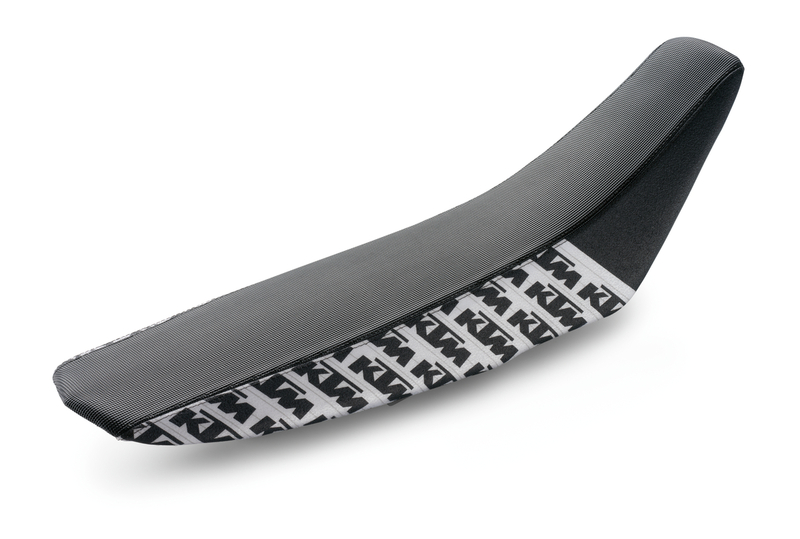 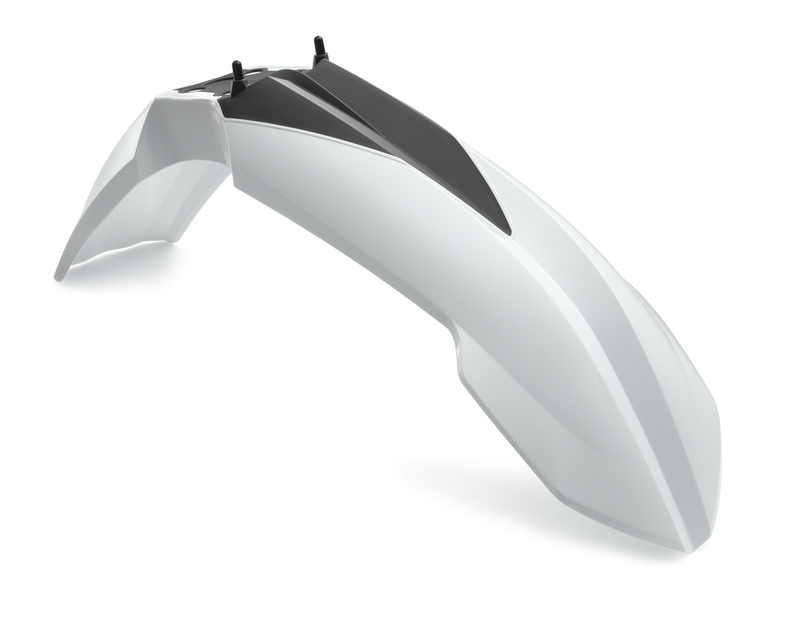 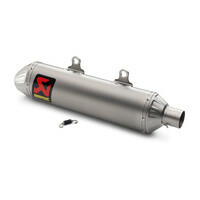 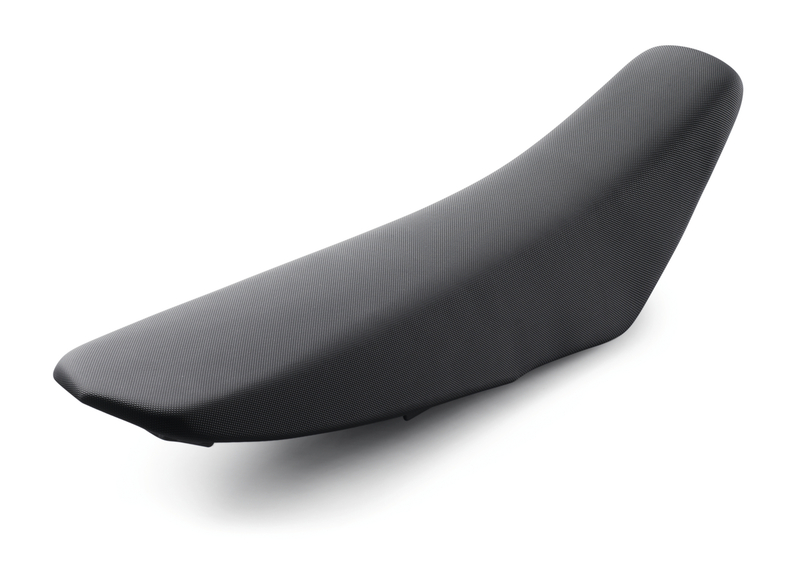 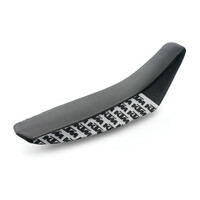 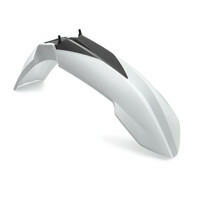 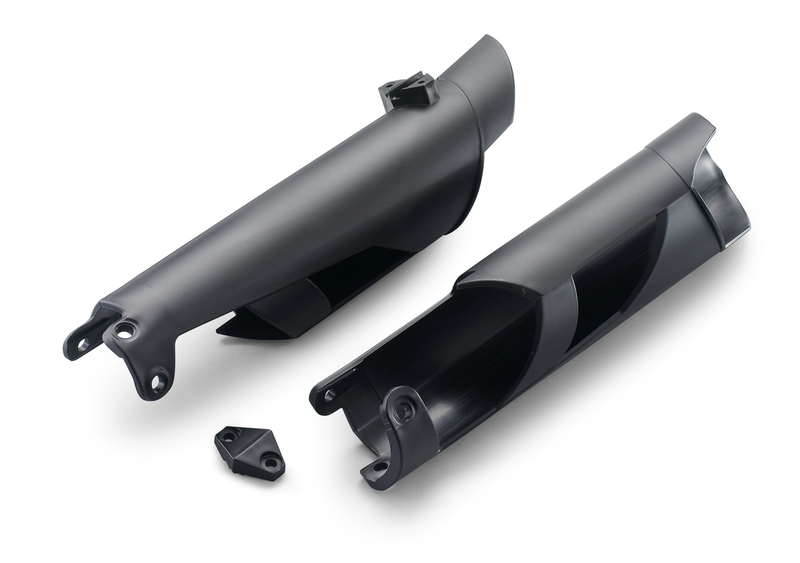 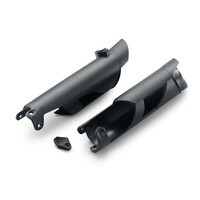 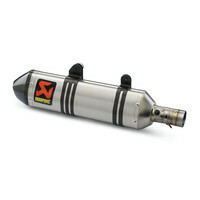 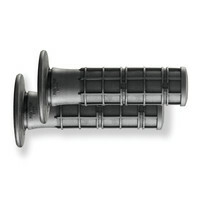 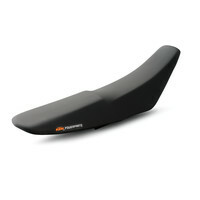 This slip-on factory silencer has been developed in collaboration with Akrapovi? 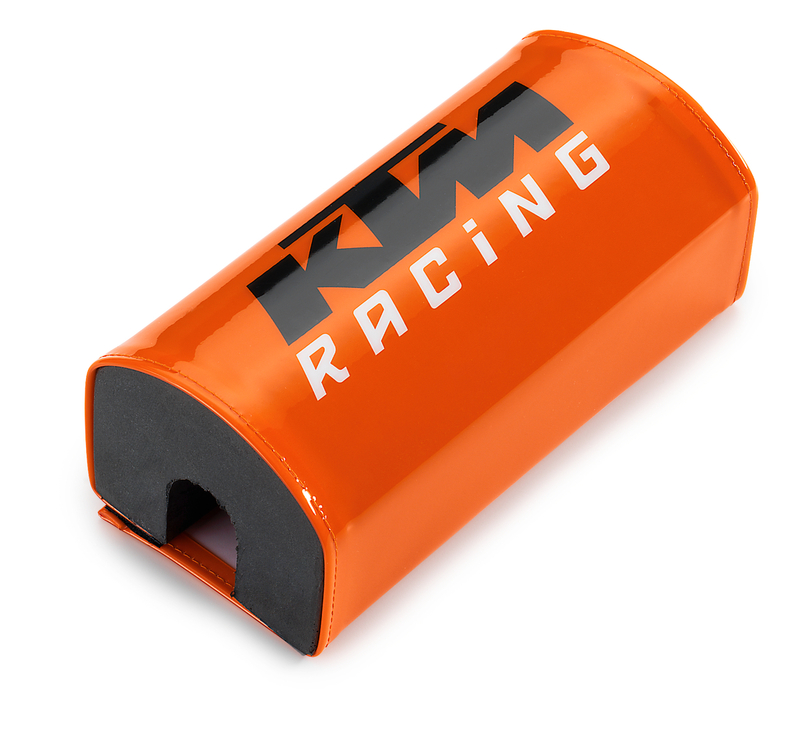 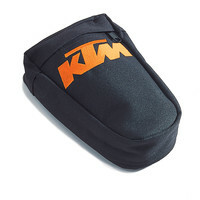 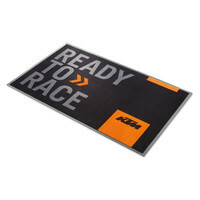 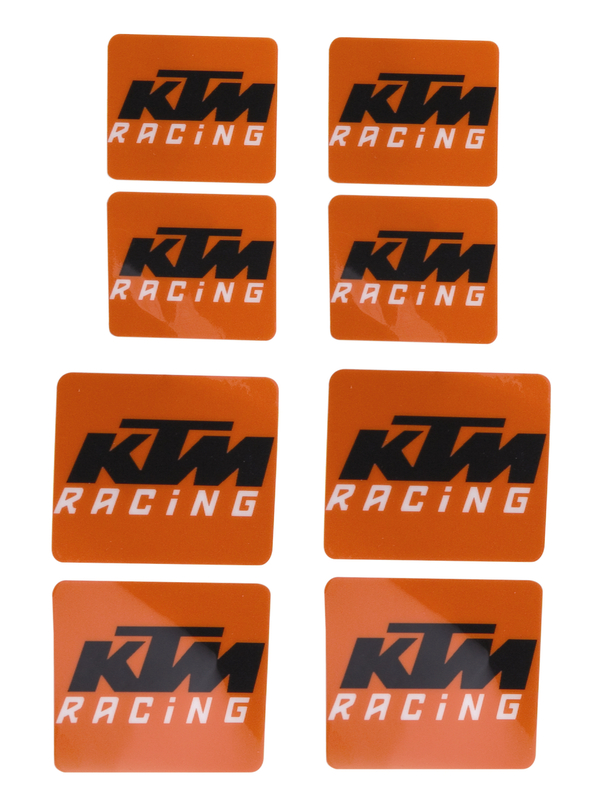 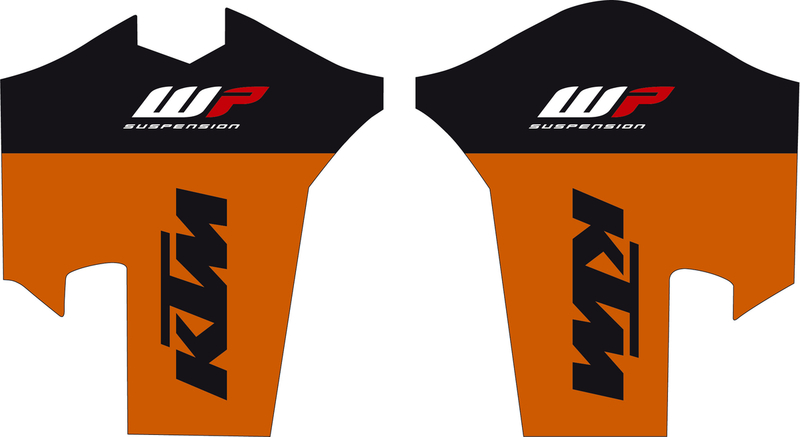 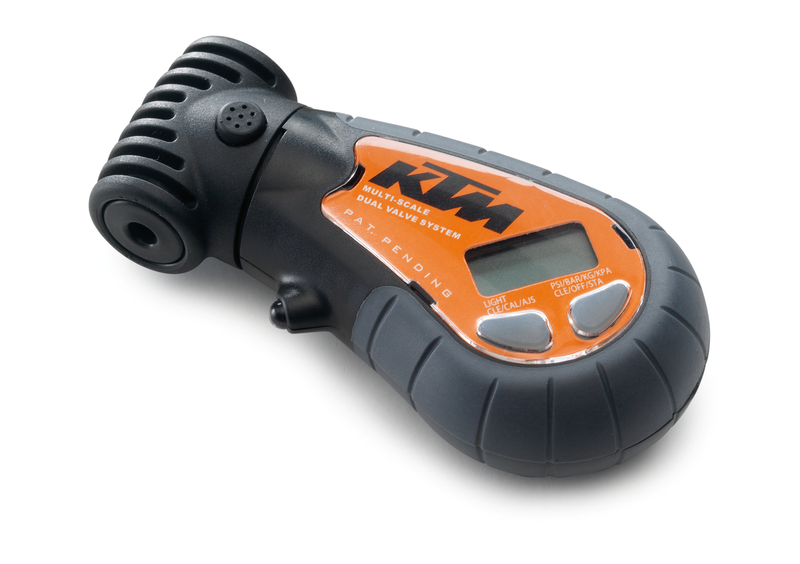 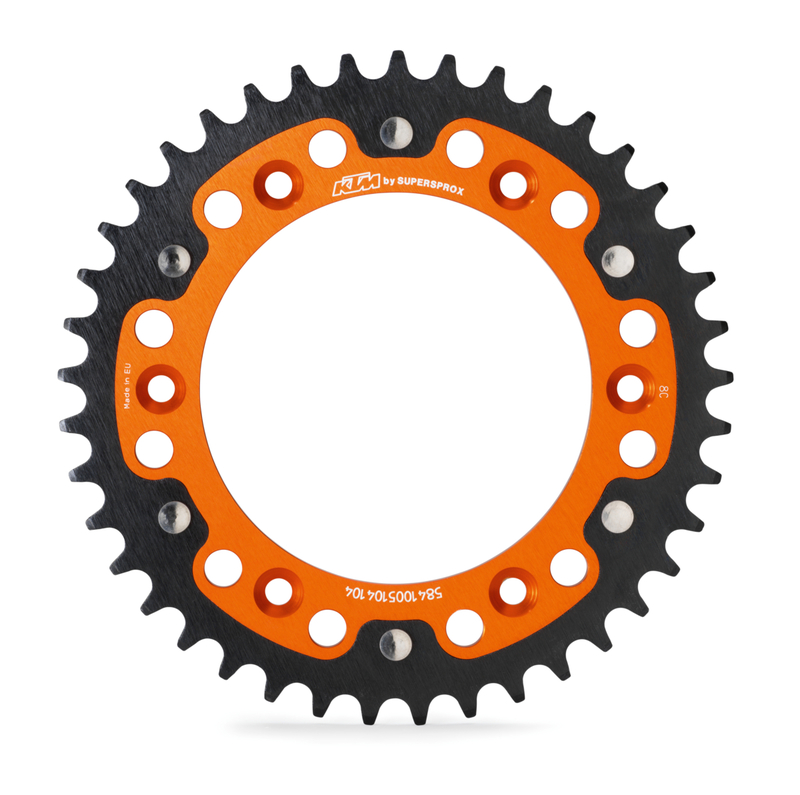 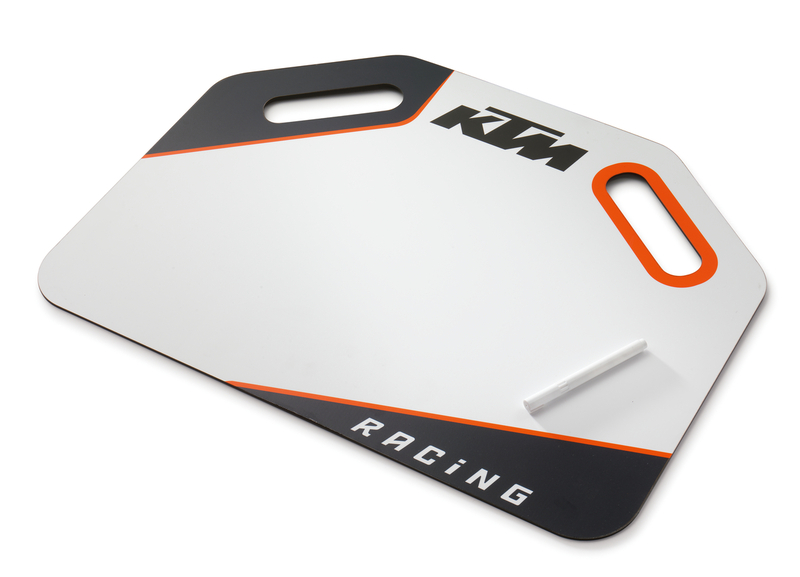 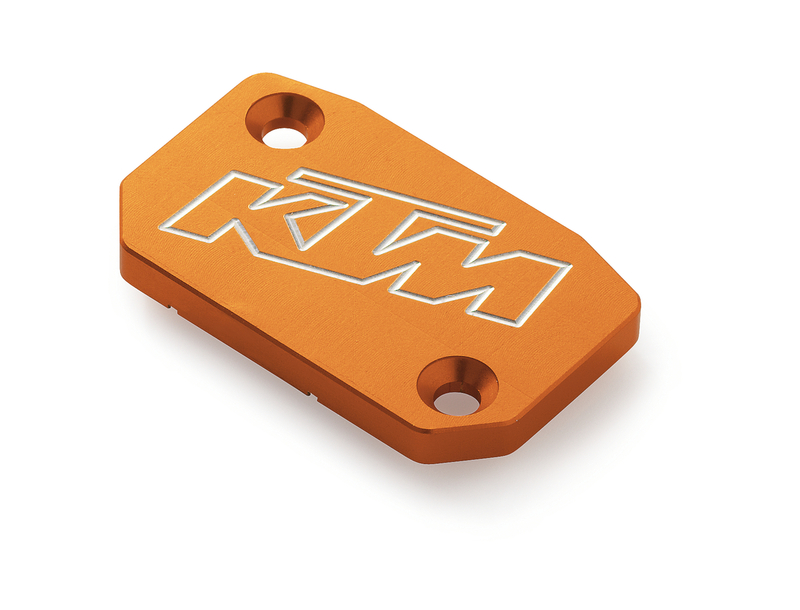 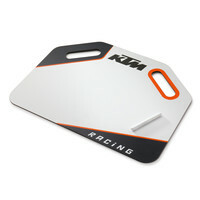 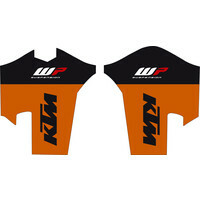 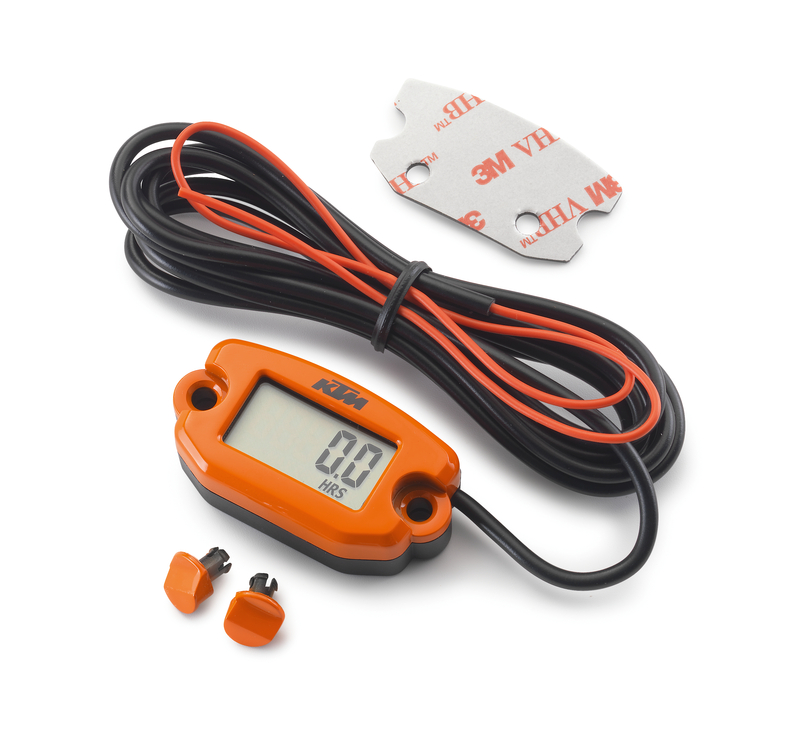 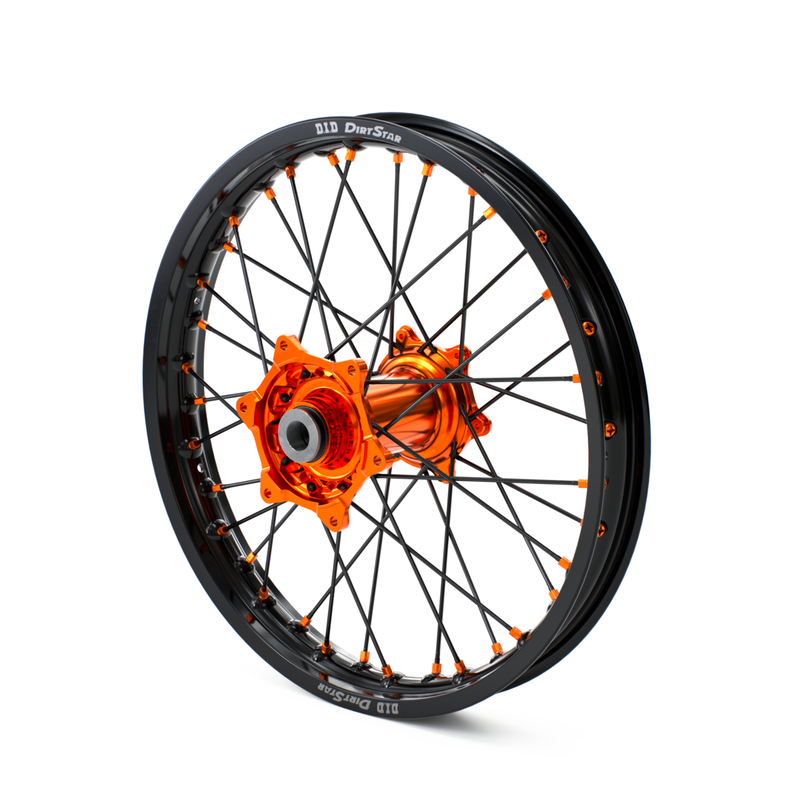 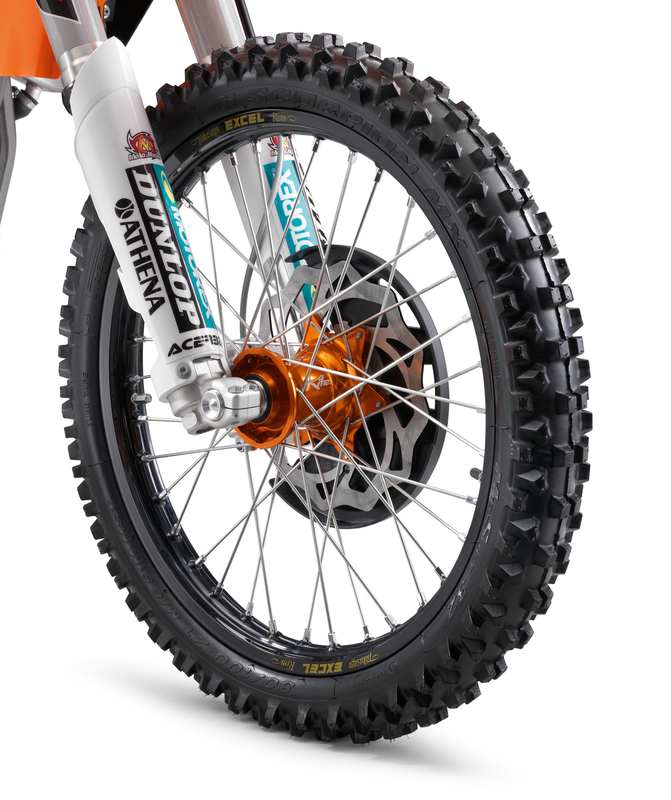 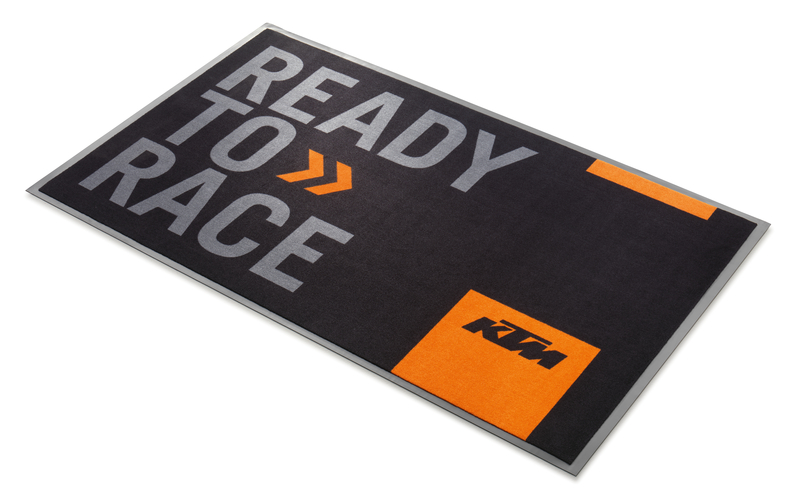 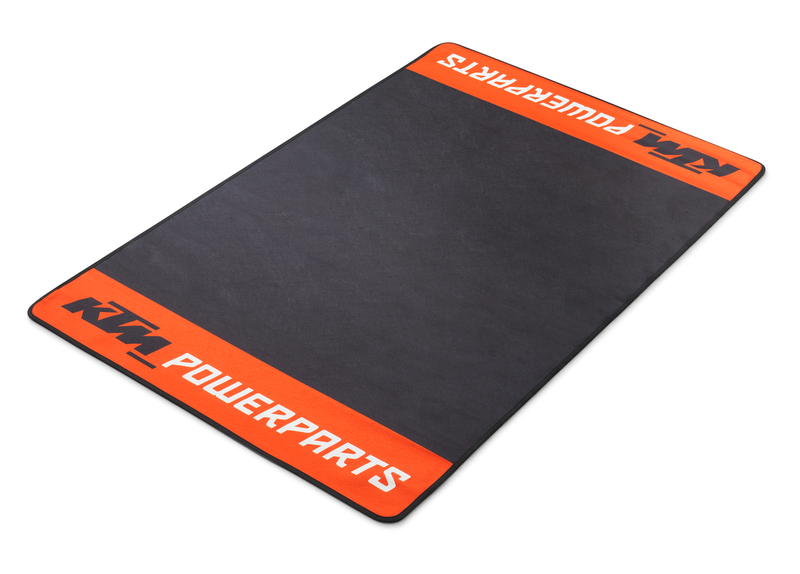 for the very specific requirements of enduring offroad use (for enduro, motocross and supermoto too) and very carefully tuned to the KTM characteristics. 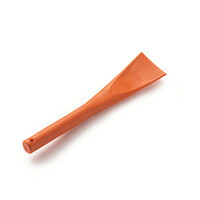 This Akrapovi? 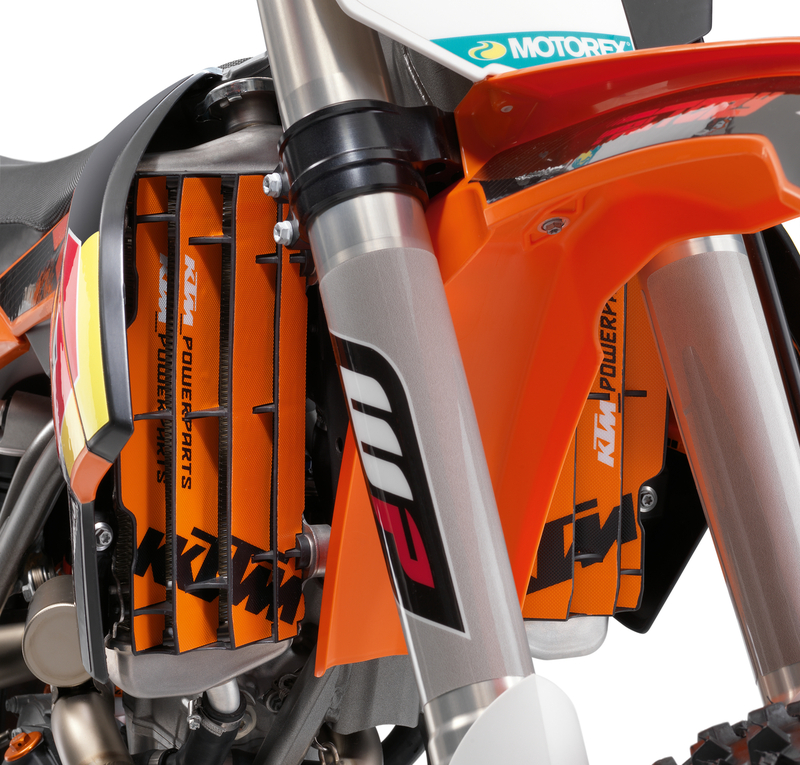 silencer has been conceived especially for enduro riders who are looking for the best exhaust system available on the aftermarket and who know how optimum power development can best be achieved on the enduro course or in offroad use. 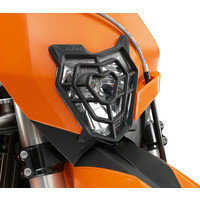 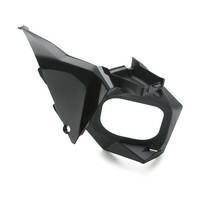 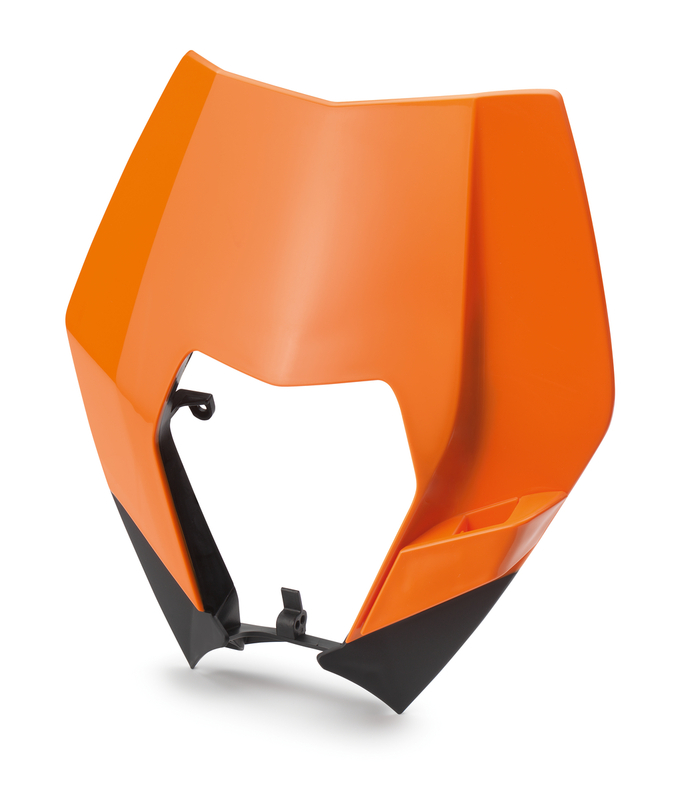 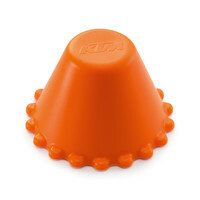 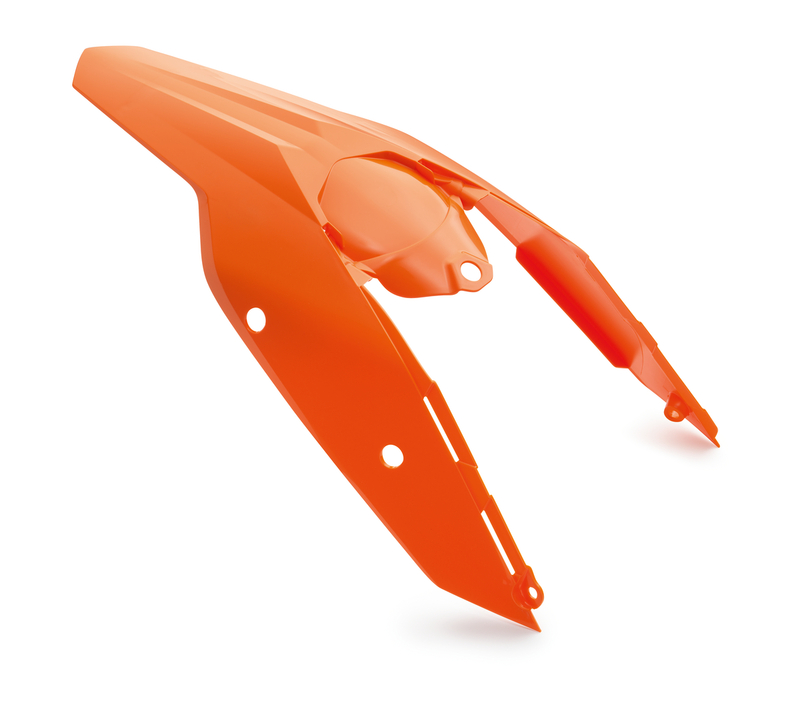 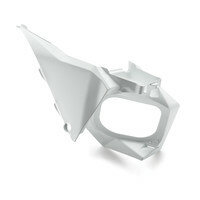 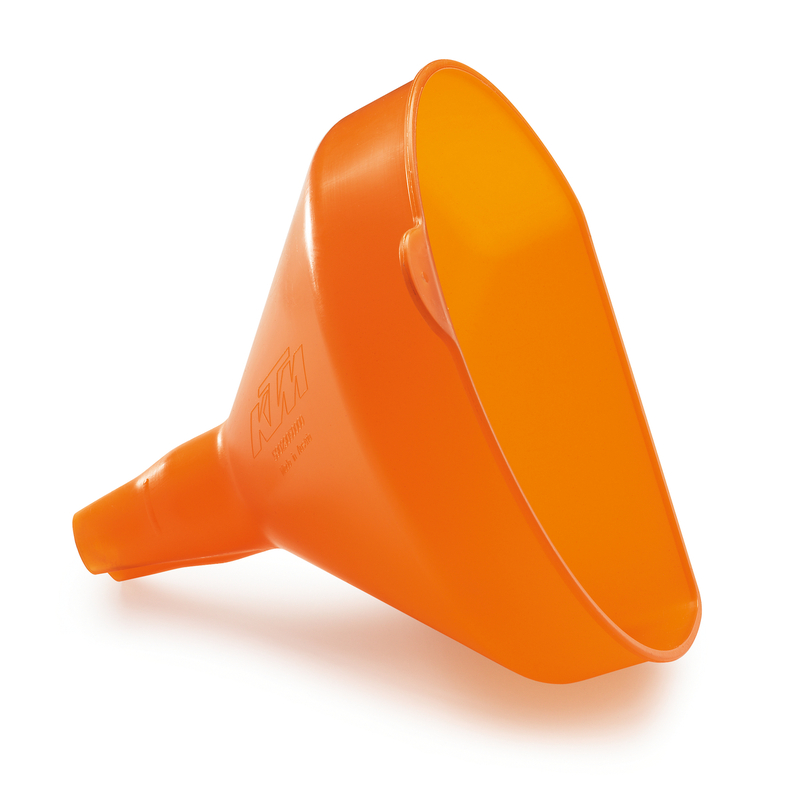 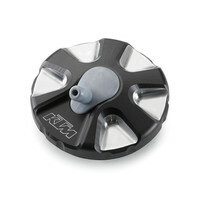 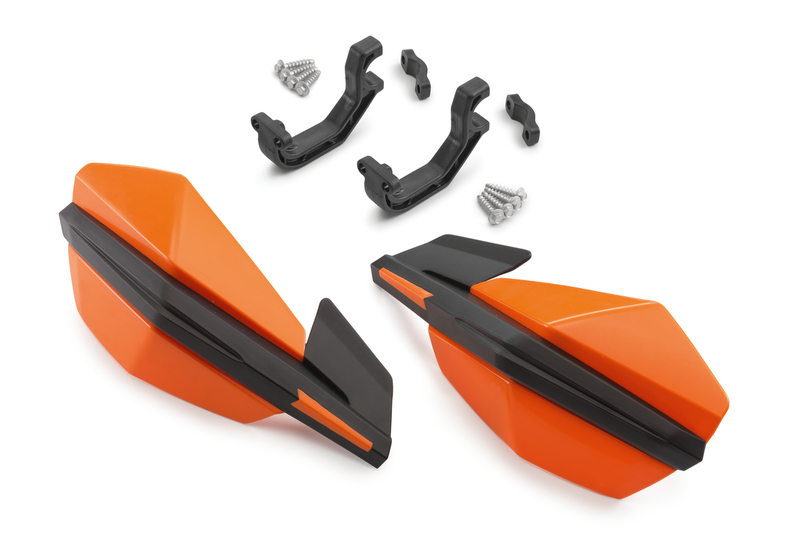 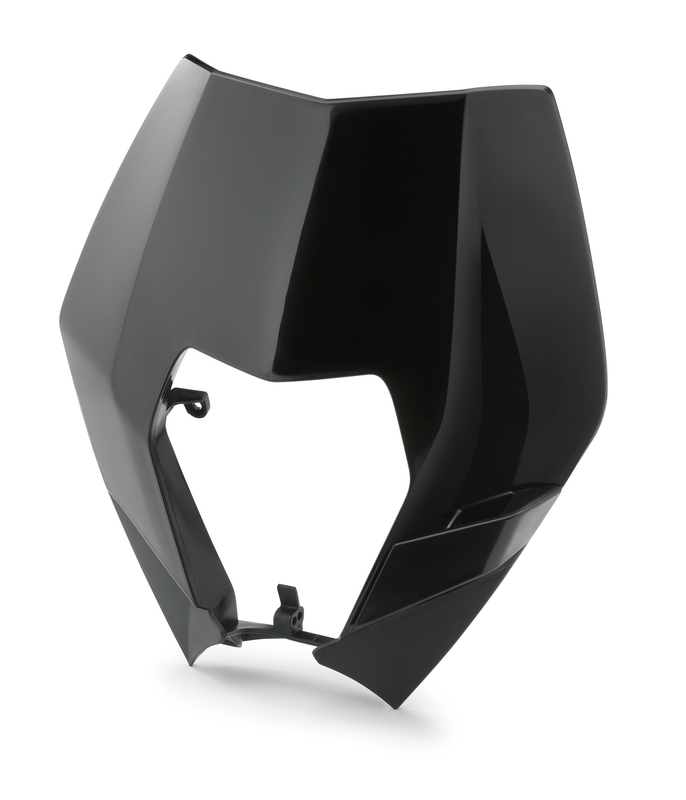 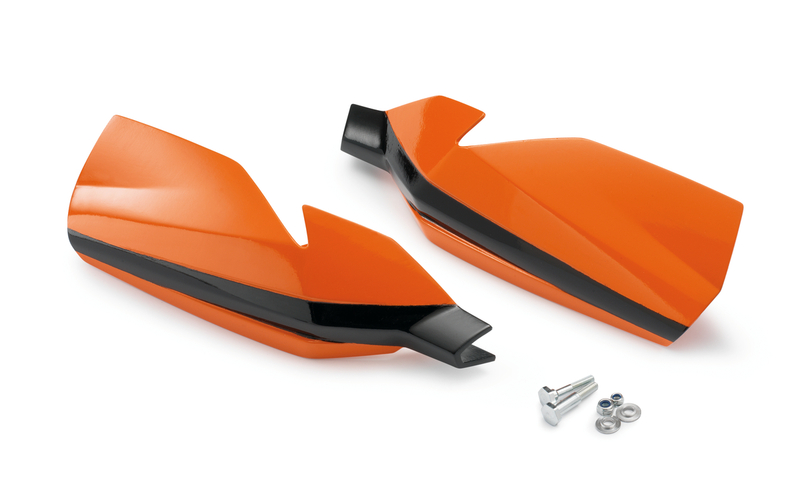 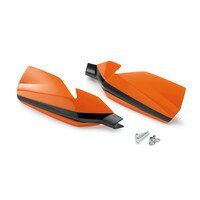 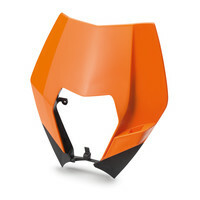 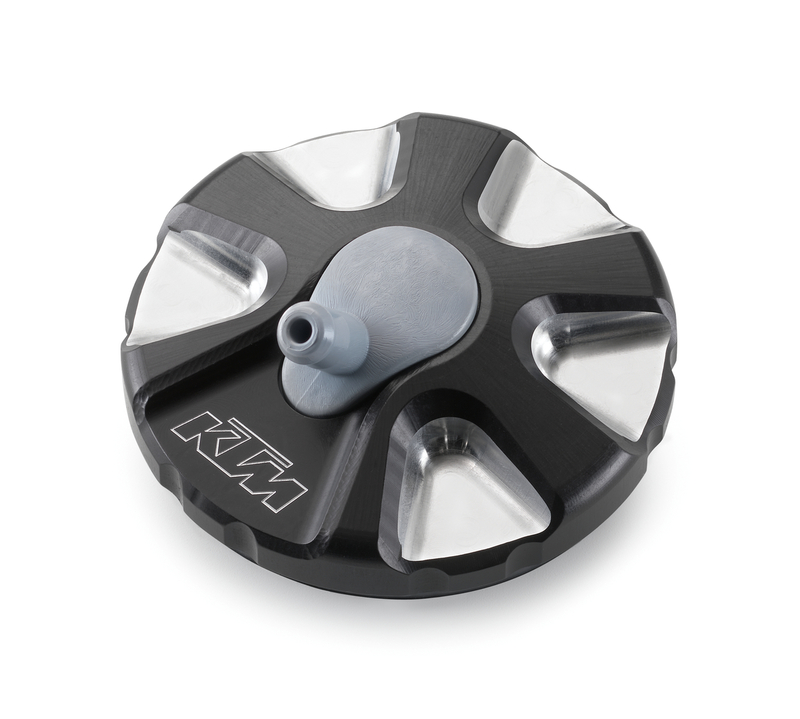 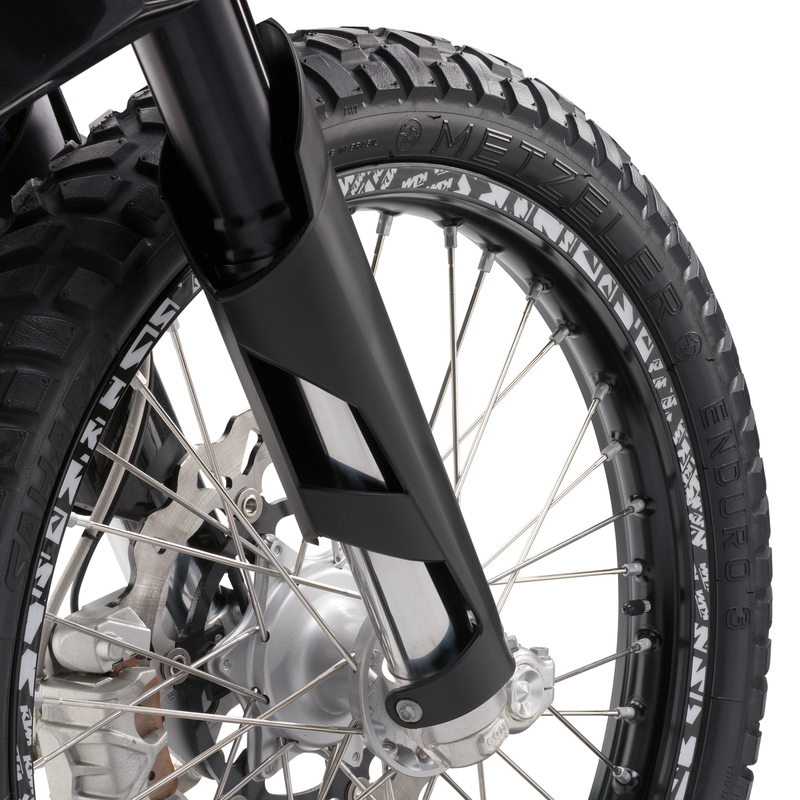 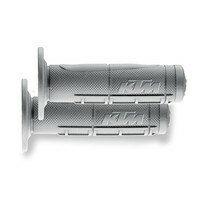 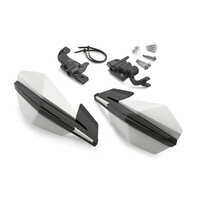 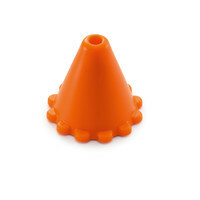 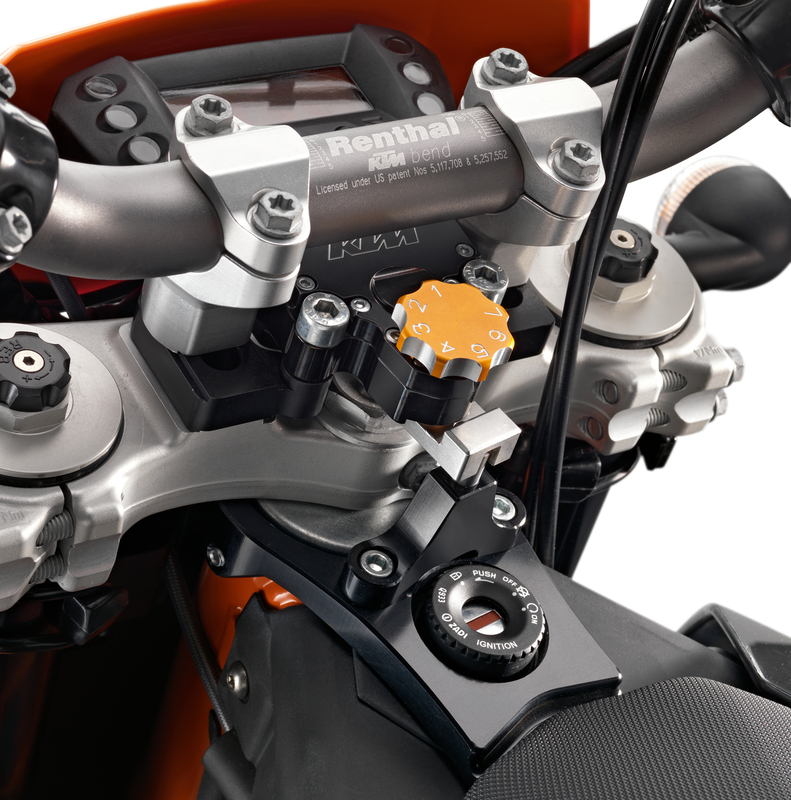 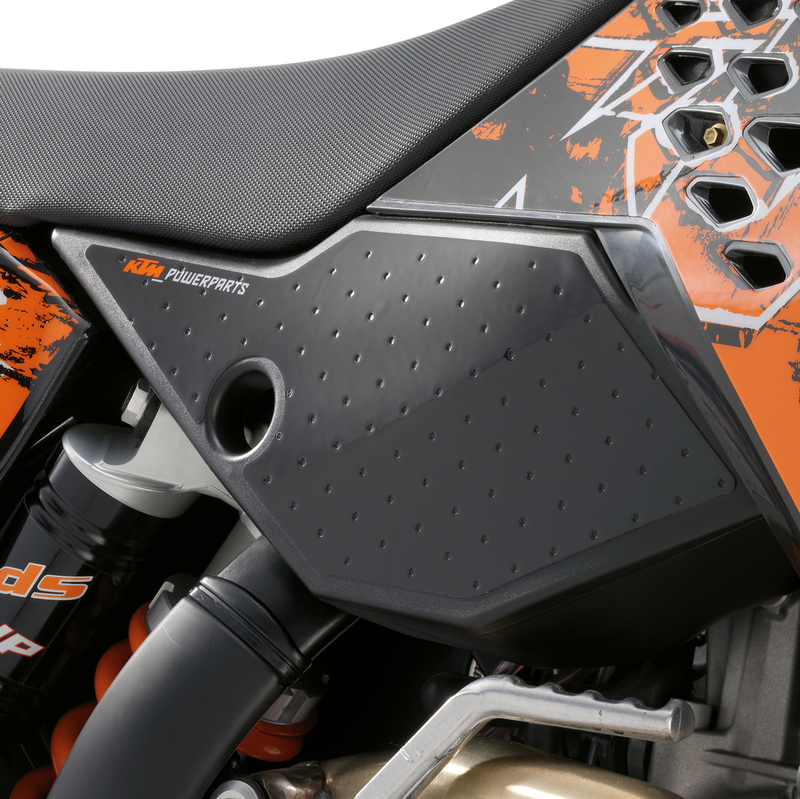 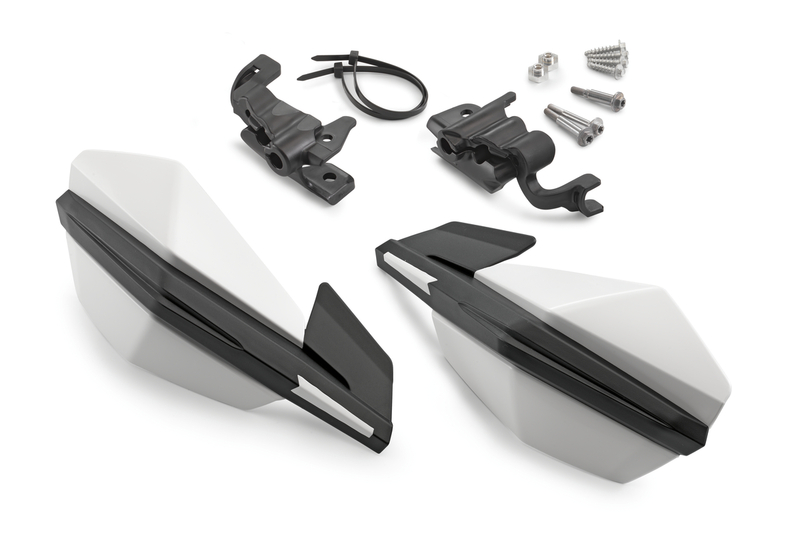 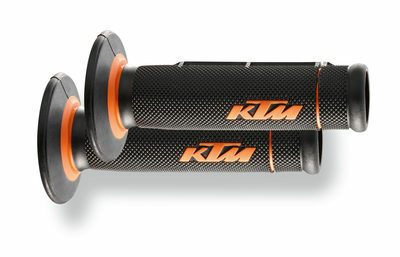 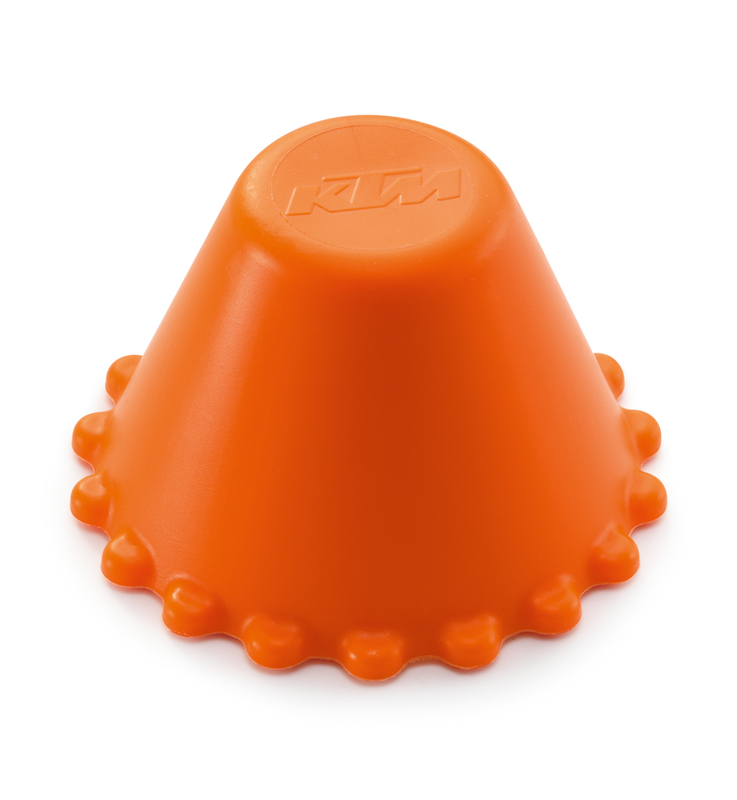 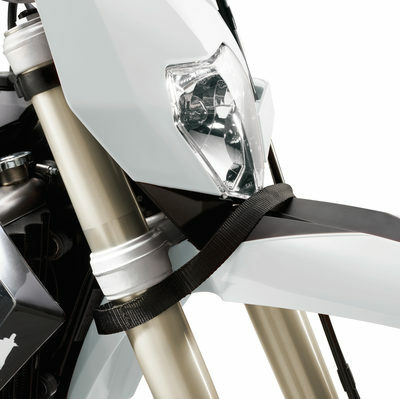 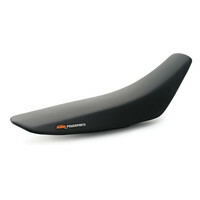 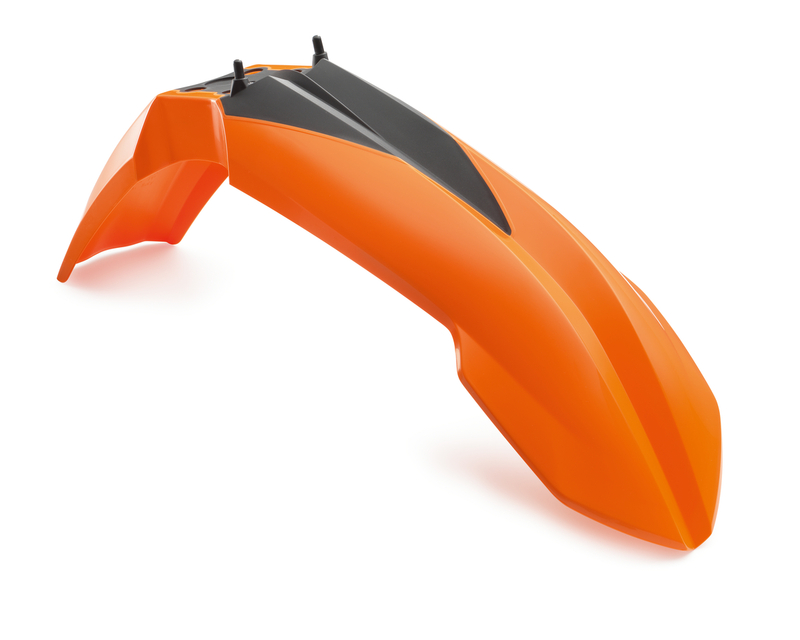 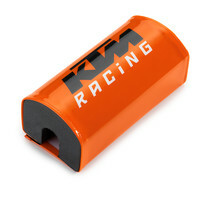 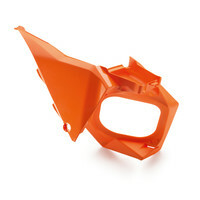 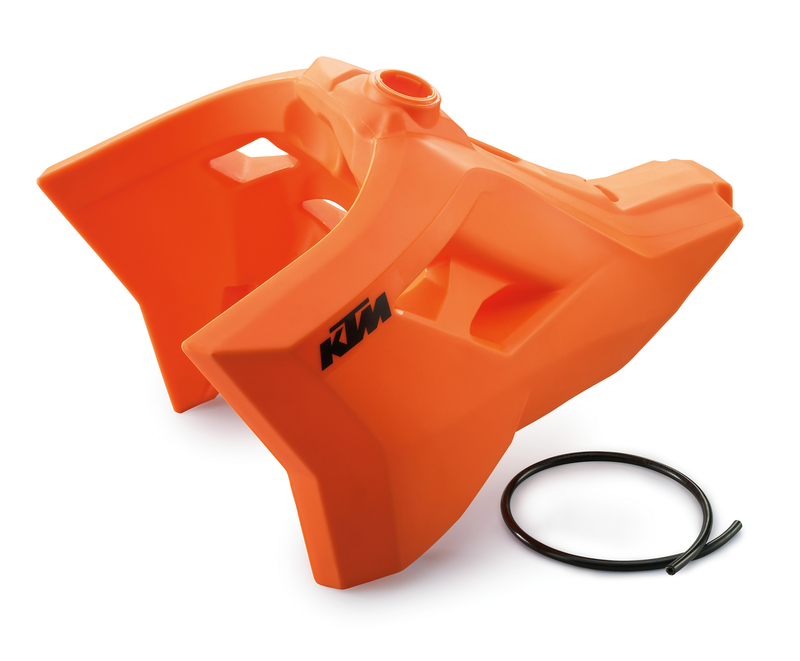 The hexagonal silencer is a perfect match for the sharp lines of the KTM. 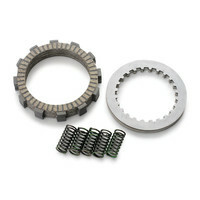 With removable noise reduction insert. 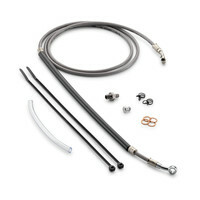 Installation only possible with original header. 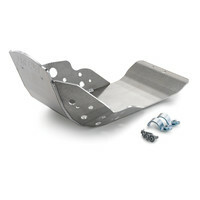 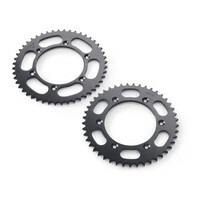 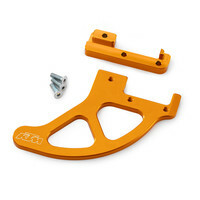 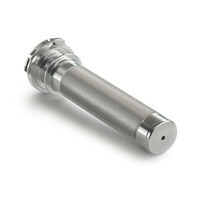 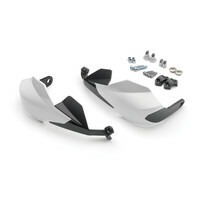 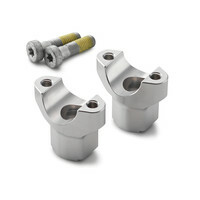 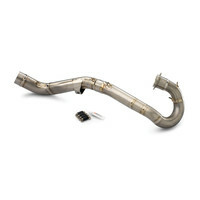 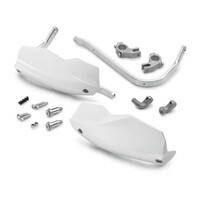 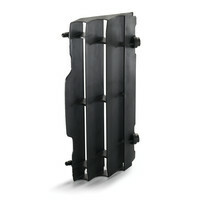 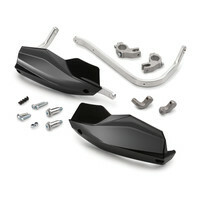 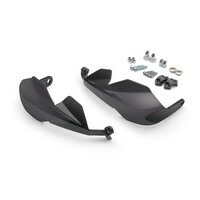 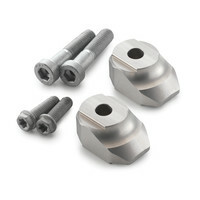 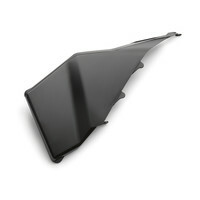 Can also be fitted in combination with factory headers on 350/400/450/500/530 EXC. Suitable for fitting to Akrapovi? 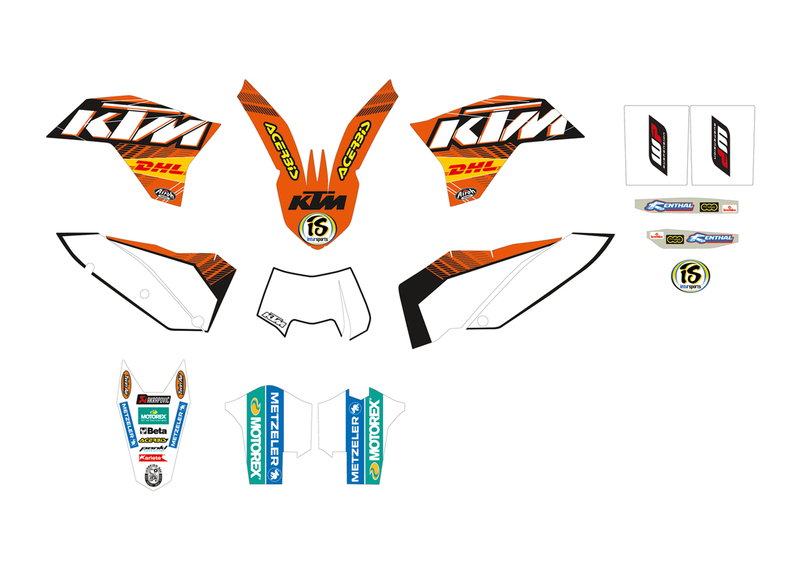 header "Evolution Line" and original headers. 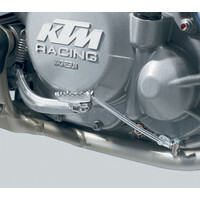 Can only be fitted to headers without a soundbox. 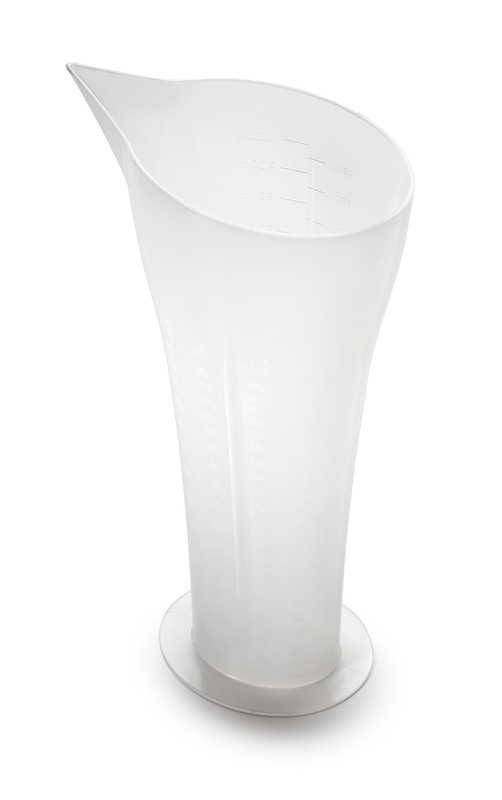 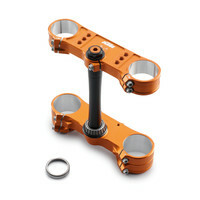 Adjustable to 3 different heights: 28 mm, 37 mm, 46 mm. 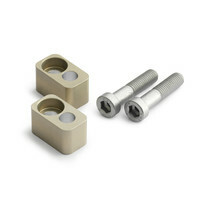 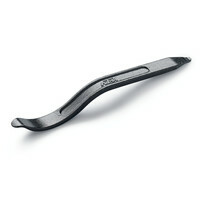 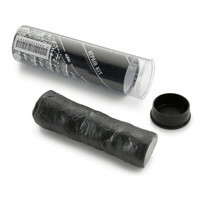 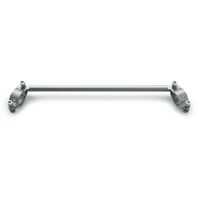 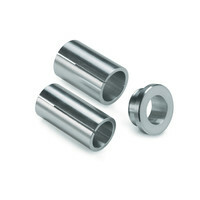 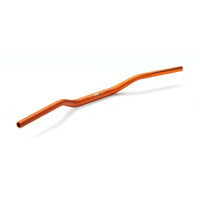 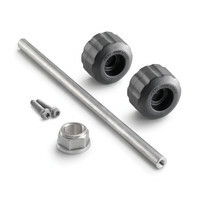 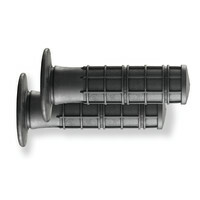 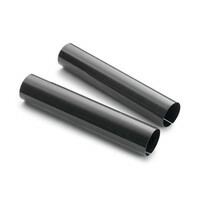 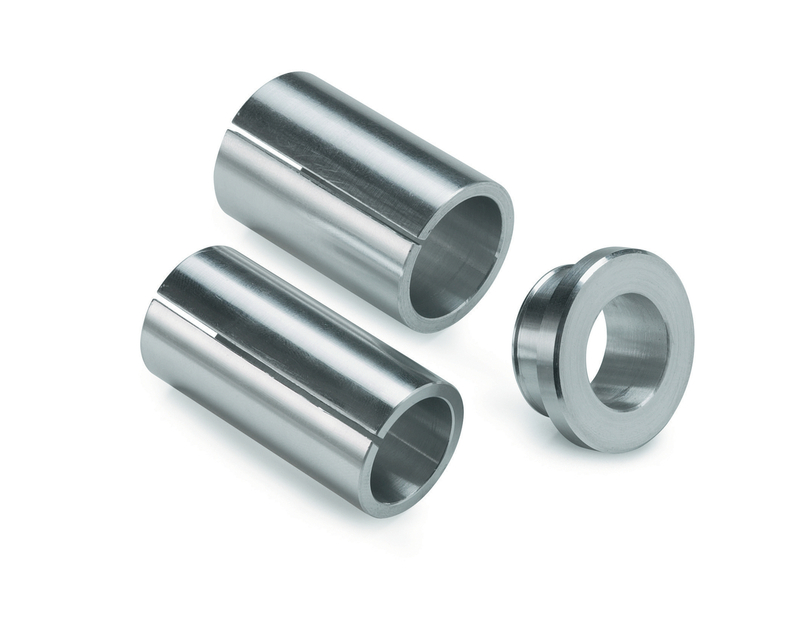 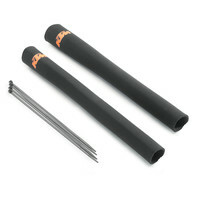 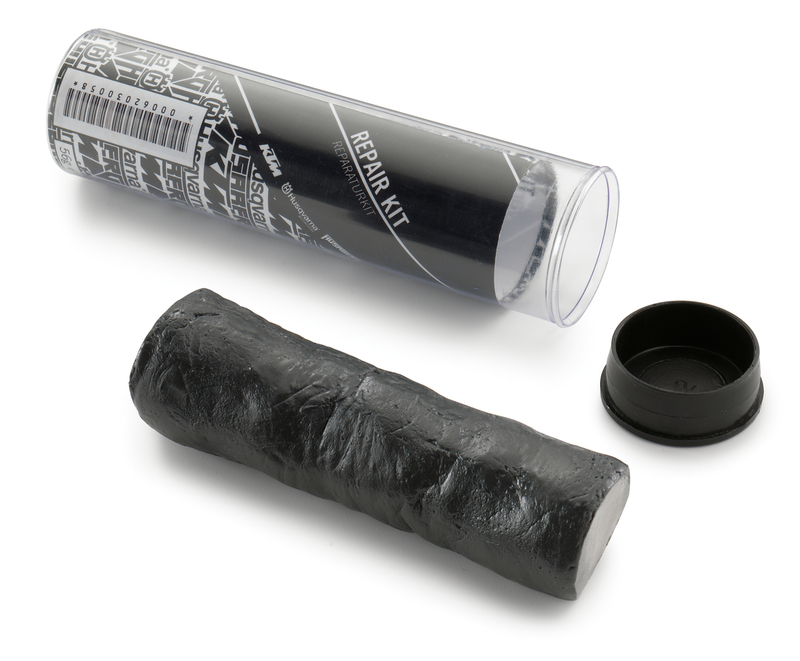 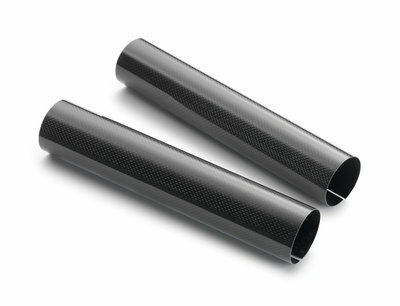 Available for handlebar diameters 22 mm and 28 mm. 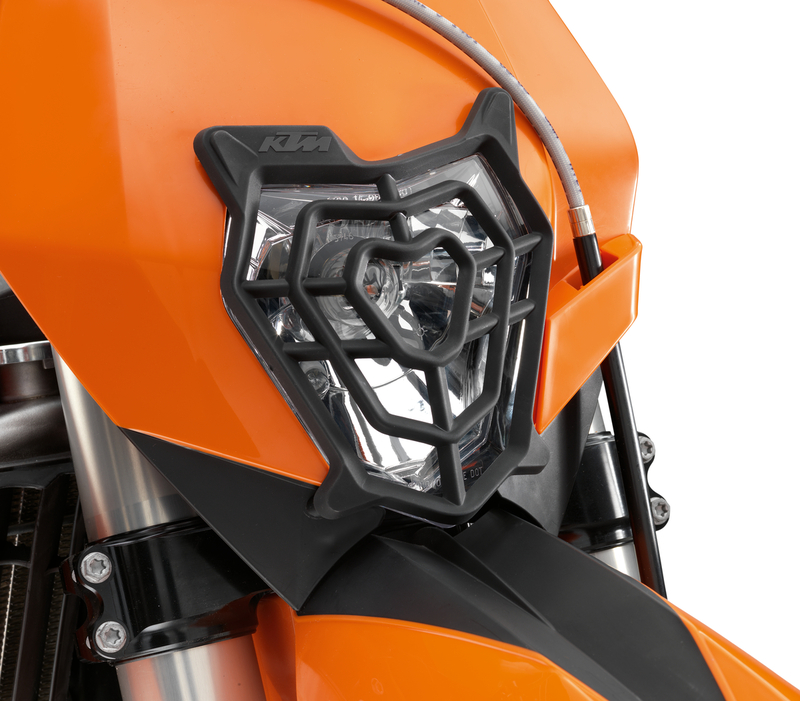 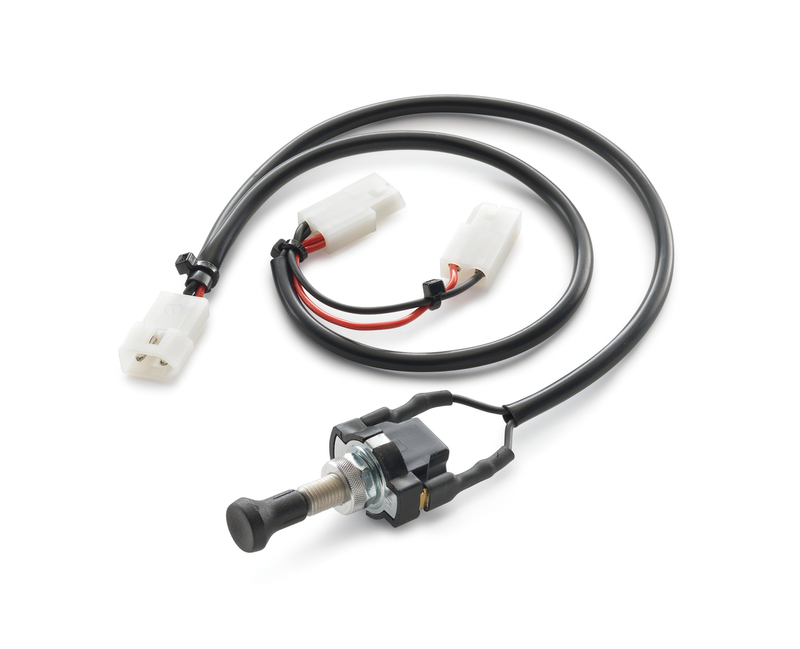 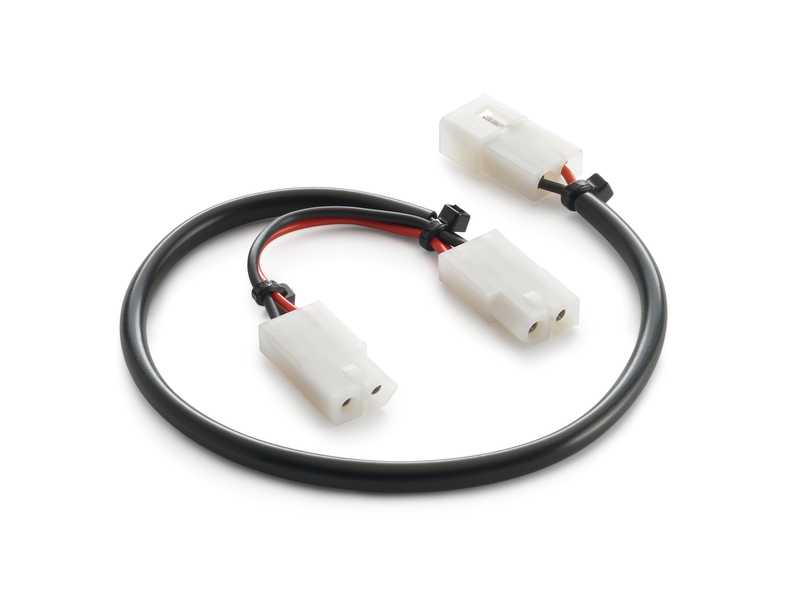 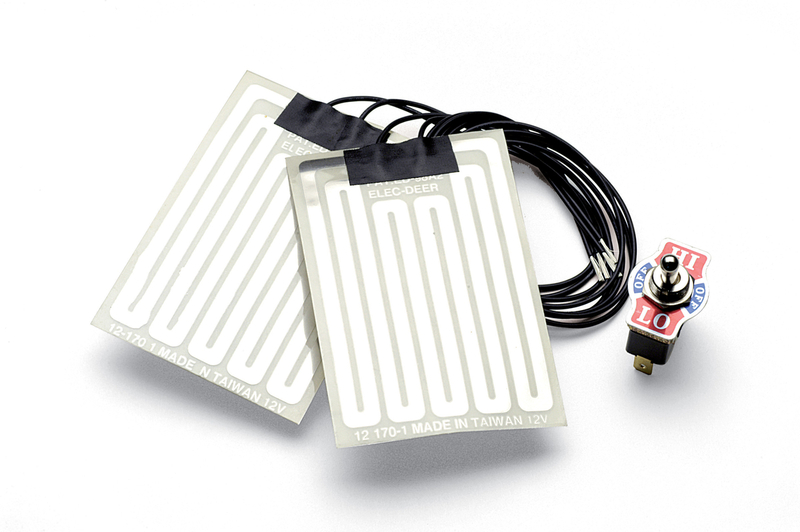 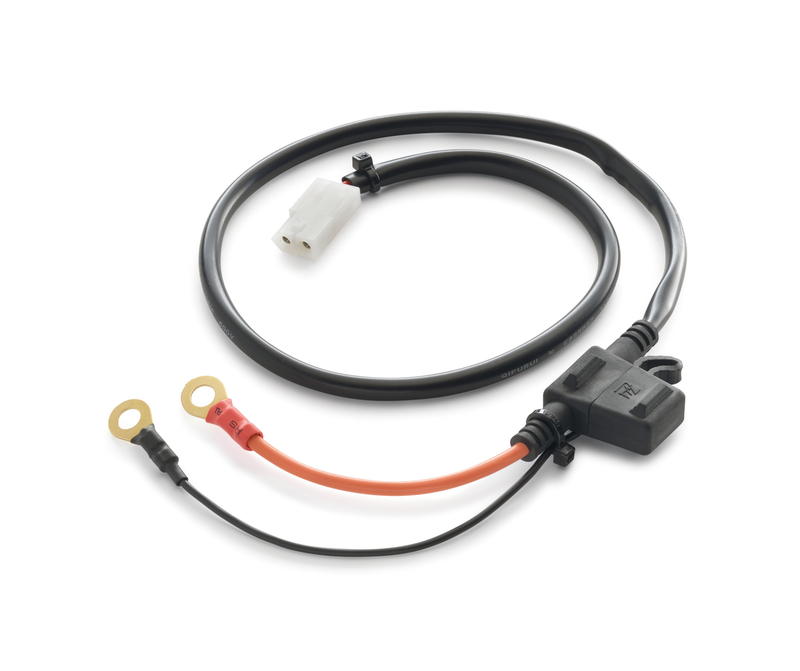 Ensures significantly higher power output and is required for use of the X2 light on all EXC models (except 4-stroke EXC models as of MY 2012). 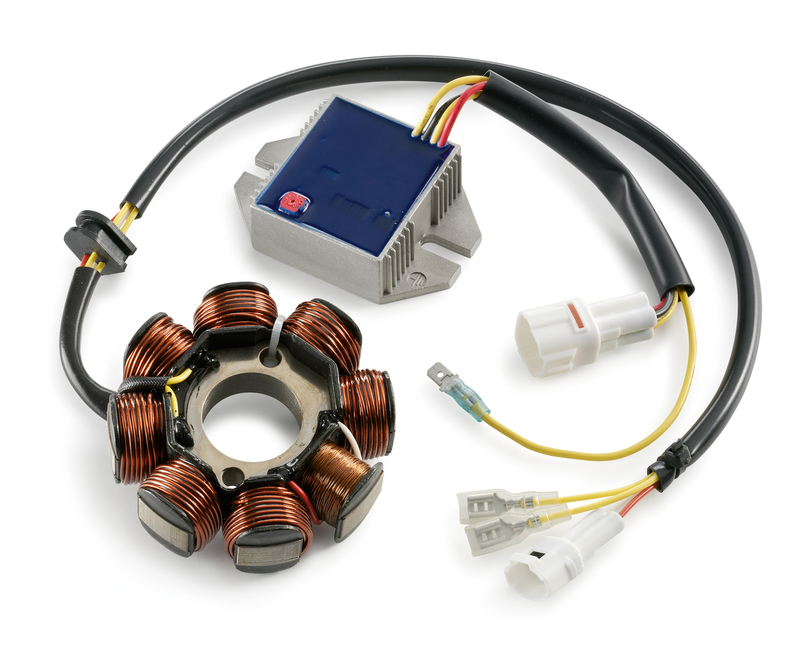 We also recommend extra power when using other additional electrical components, e.g. 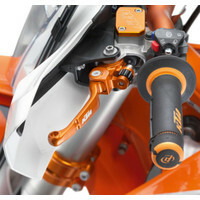 fan, heated grips, etc. 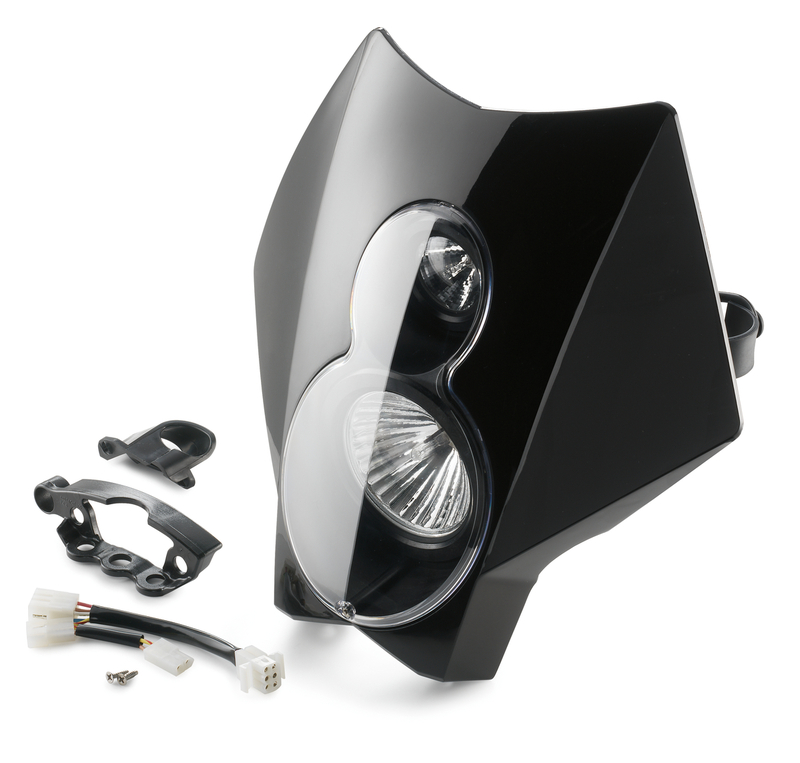 The revolution in lighting technology: This lightweight, ultra-bright headlight turns night into day. 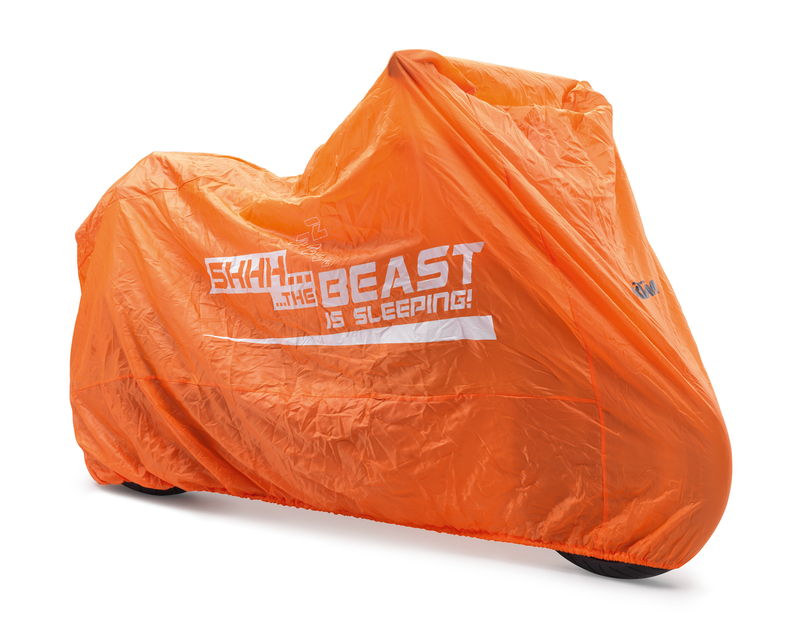 Ideal for all 24-hour racers. 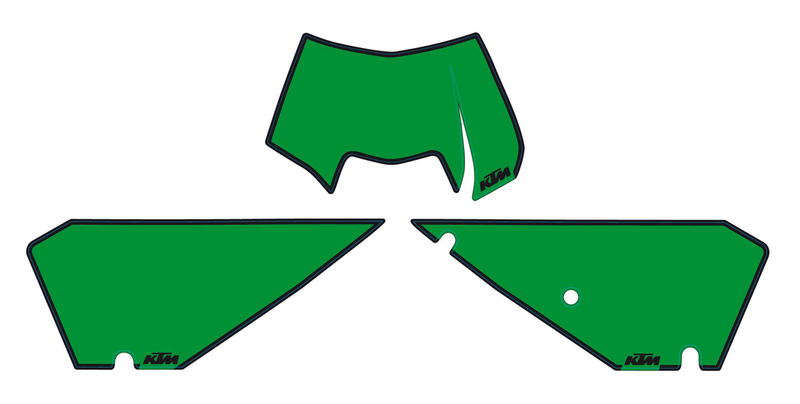 Fitted in a matter of seconds. 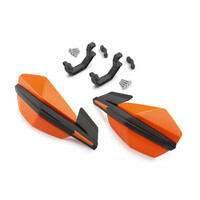 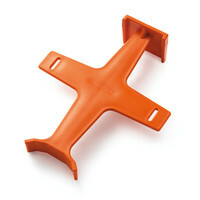 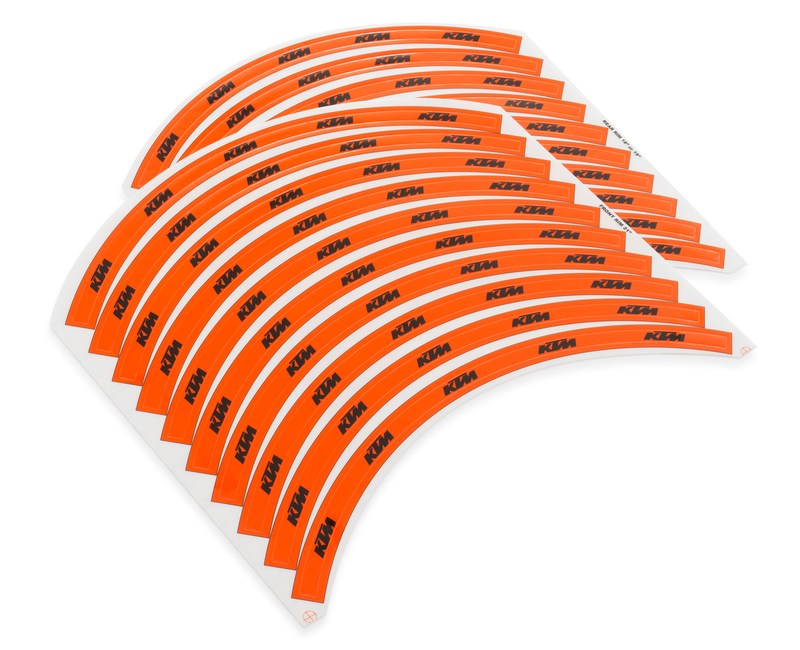 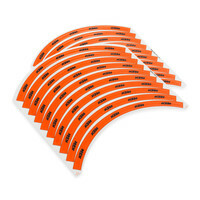 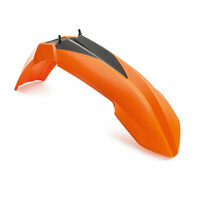 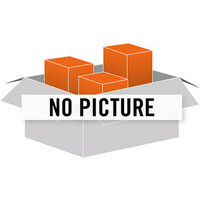 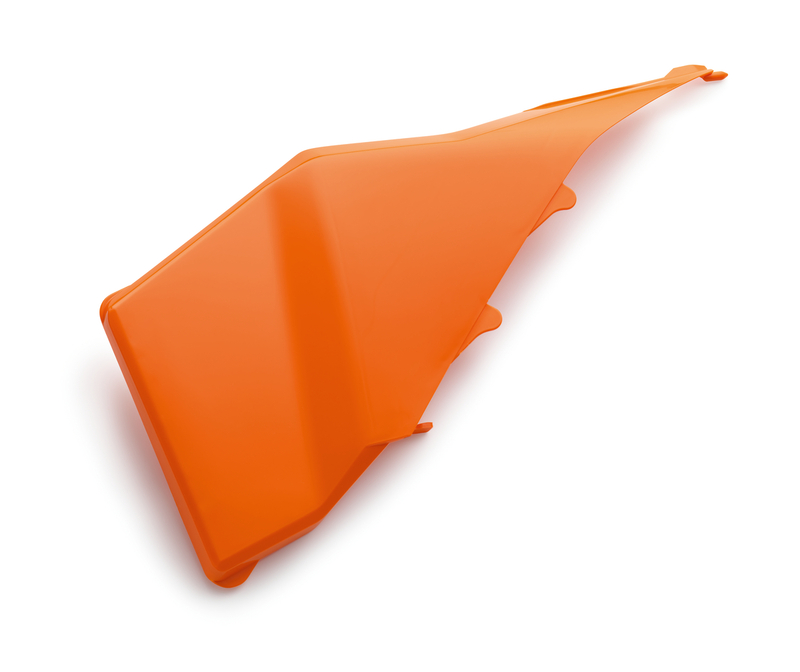 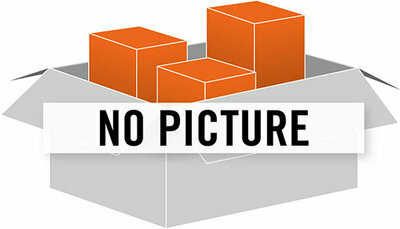 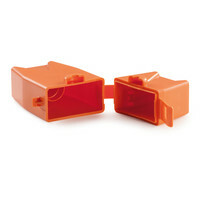 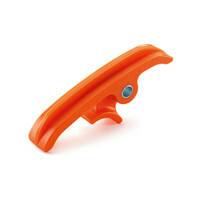 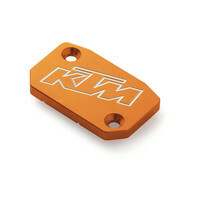 Matching orange start number sticker 7800890700004 available. 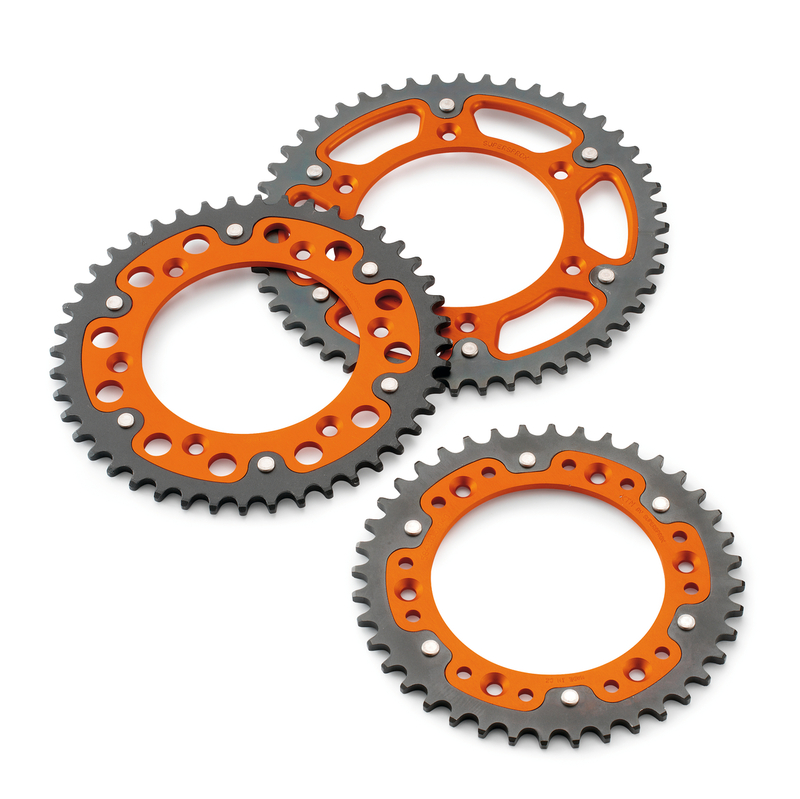 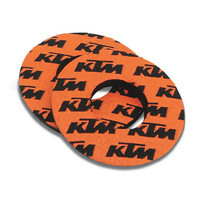 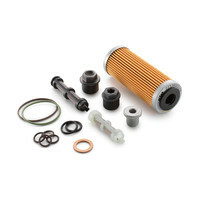 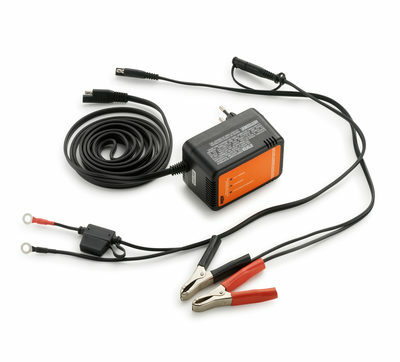 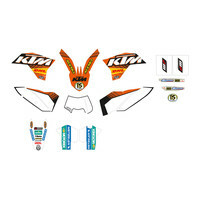 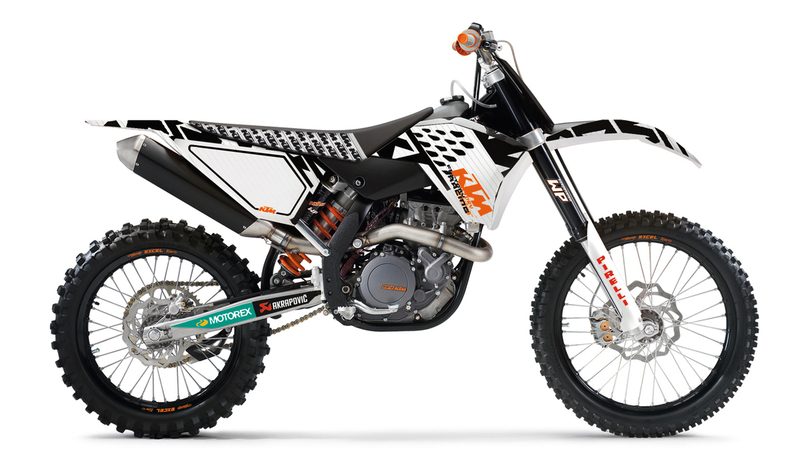 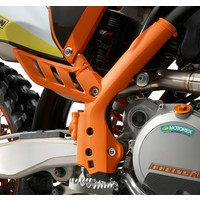 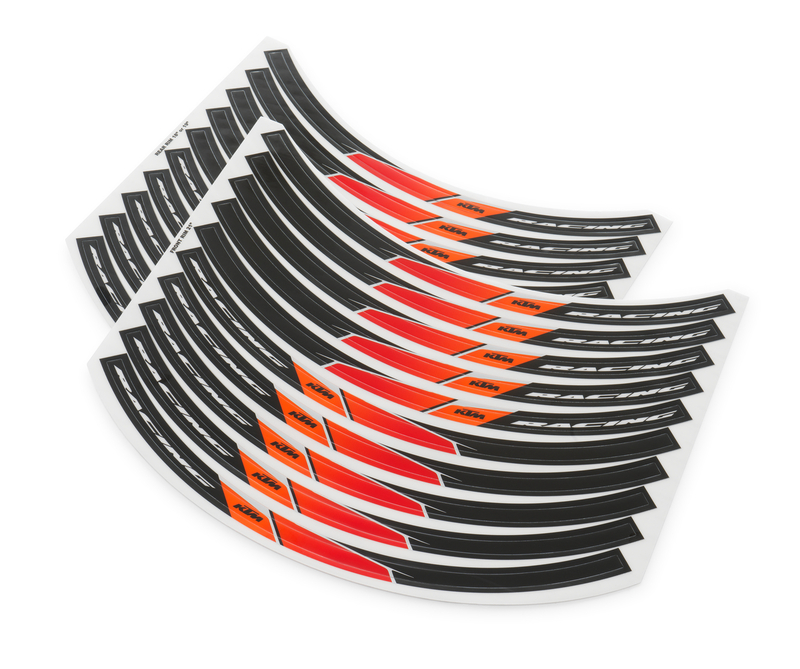 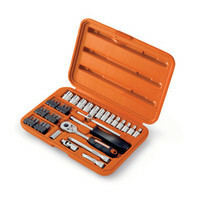 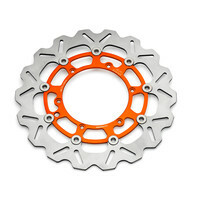 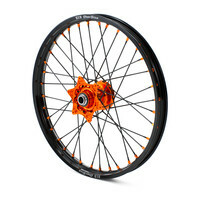 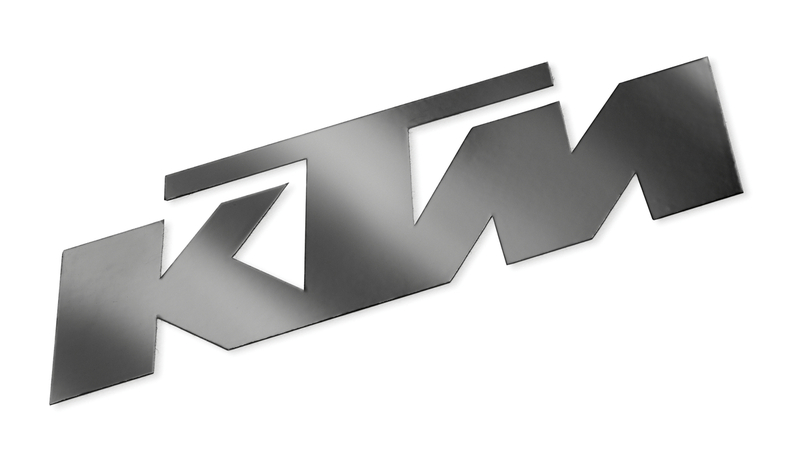 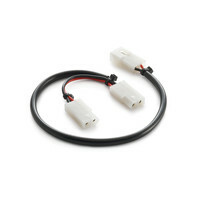 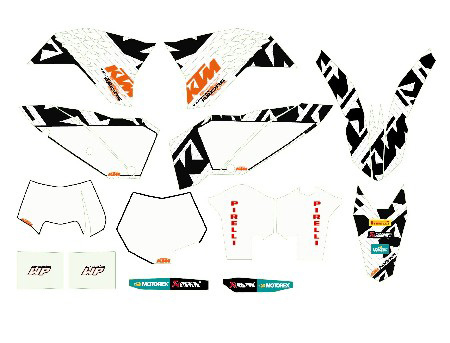 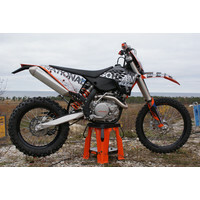 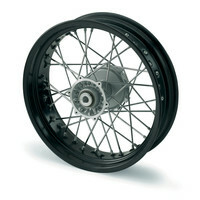 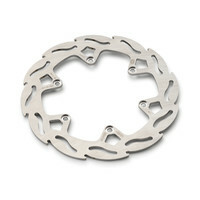 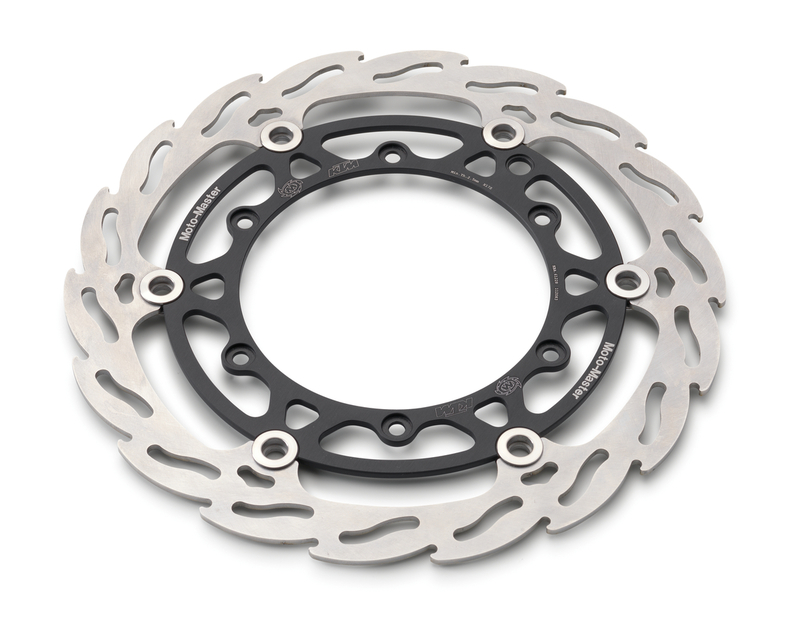 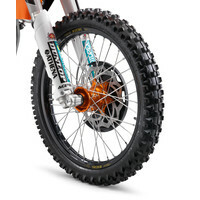 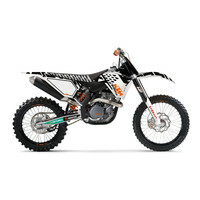 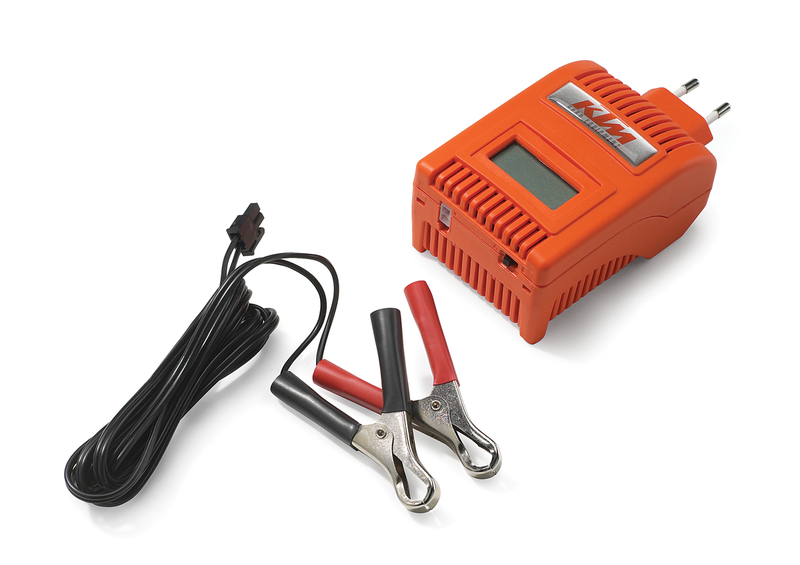 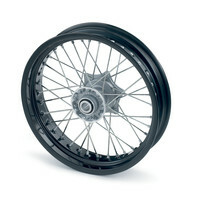 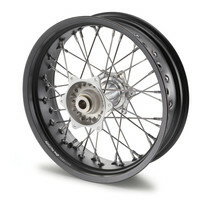 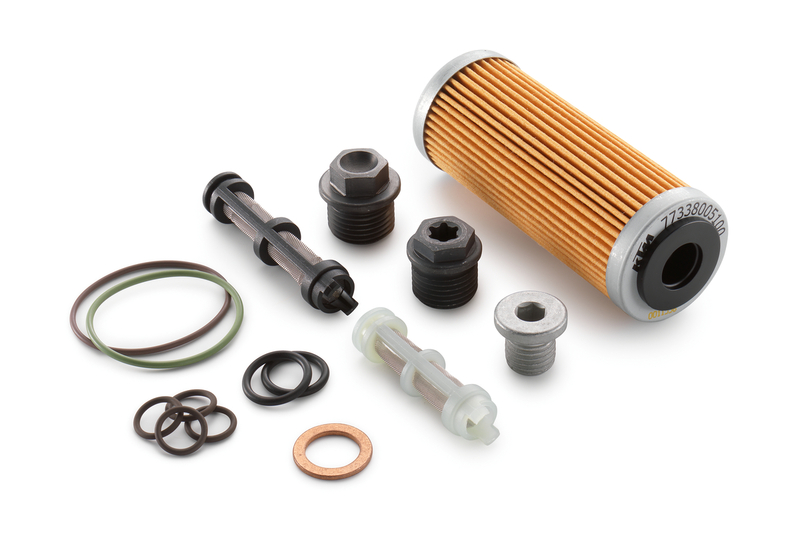 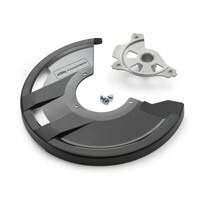 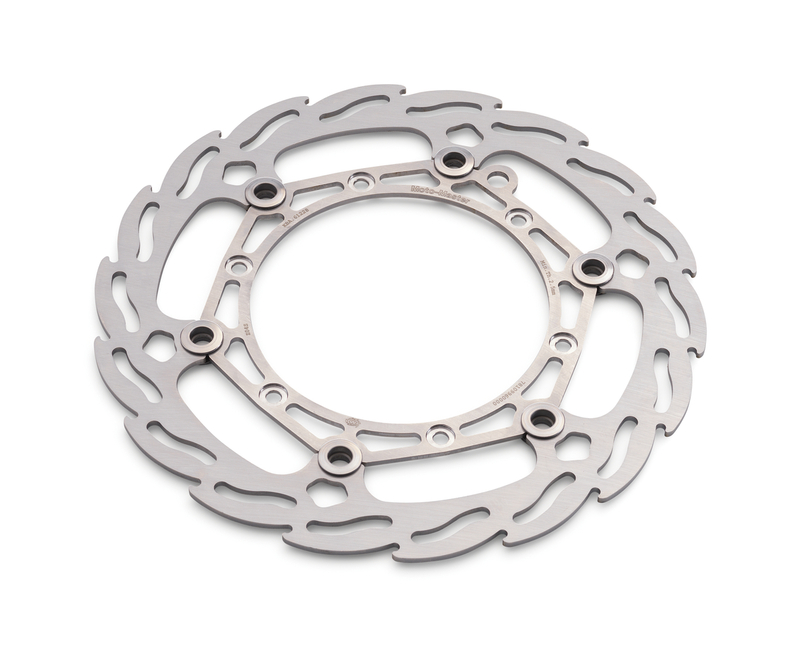 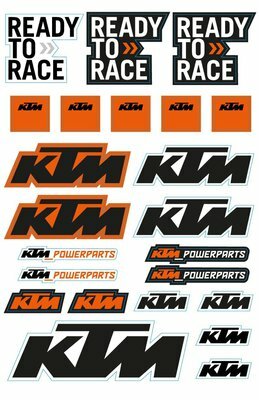 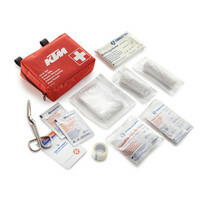 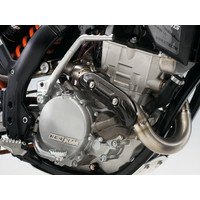 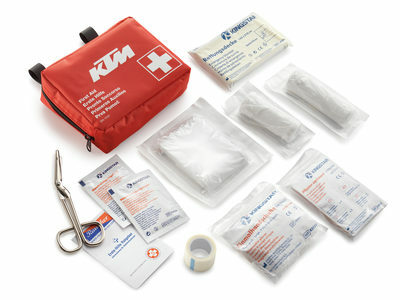 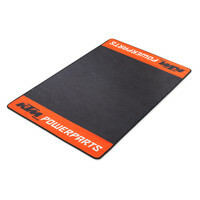 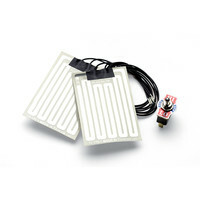 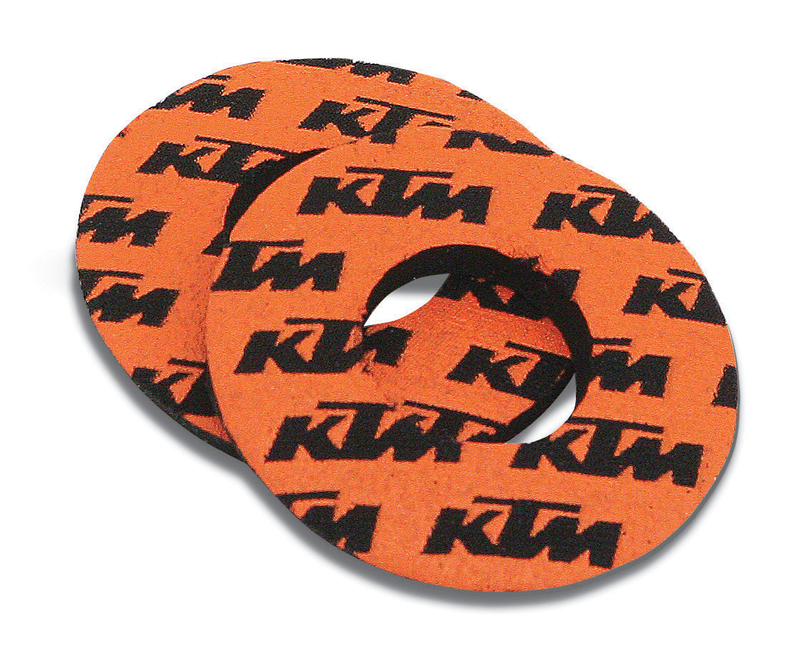 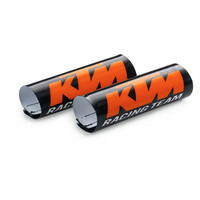 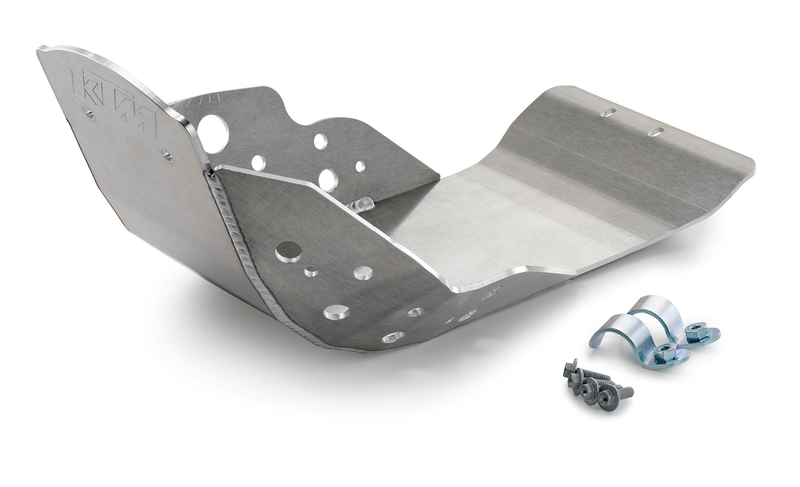 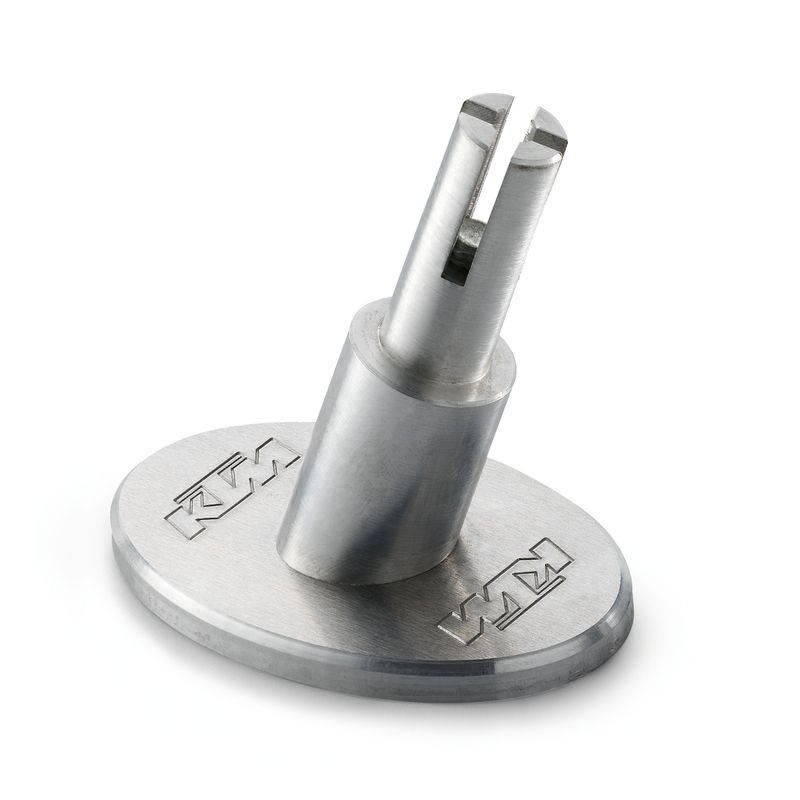 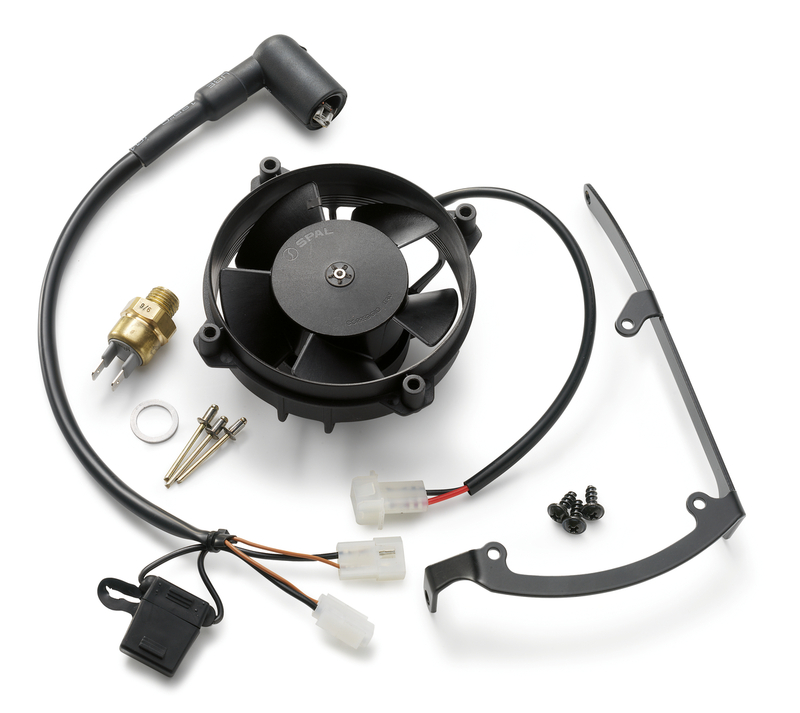 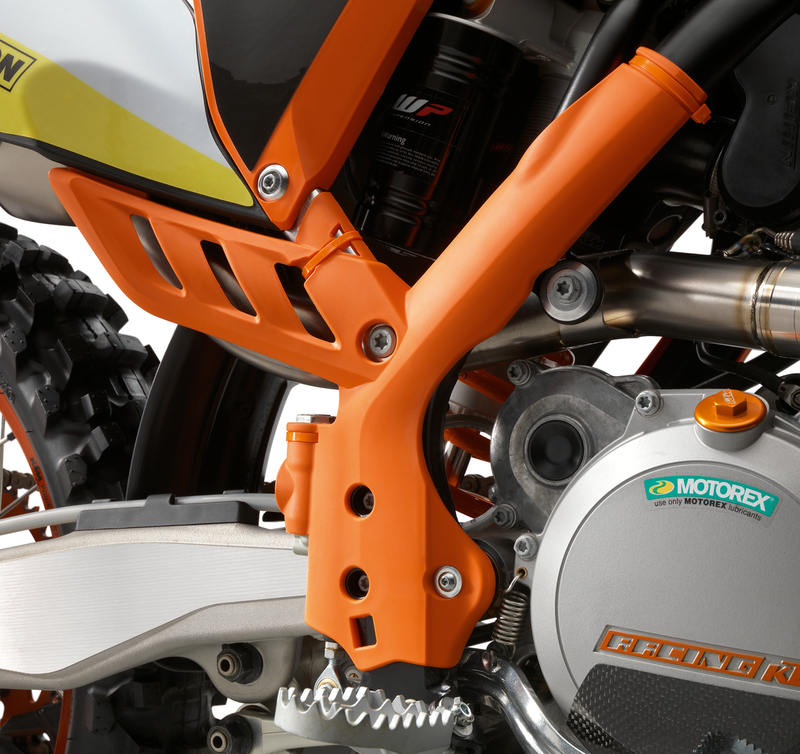 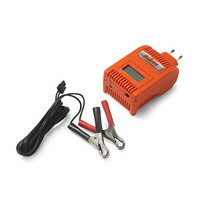 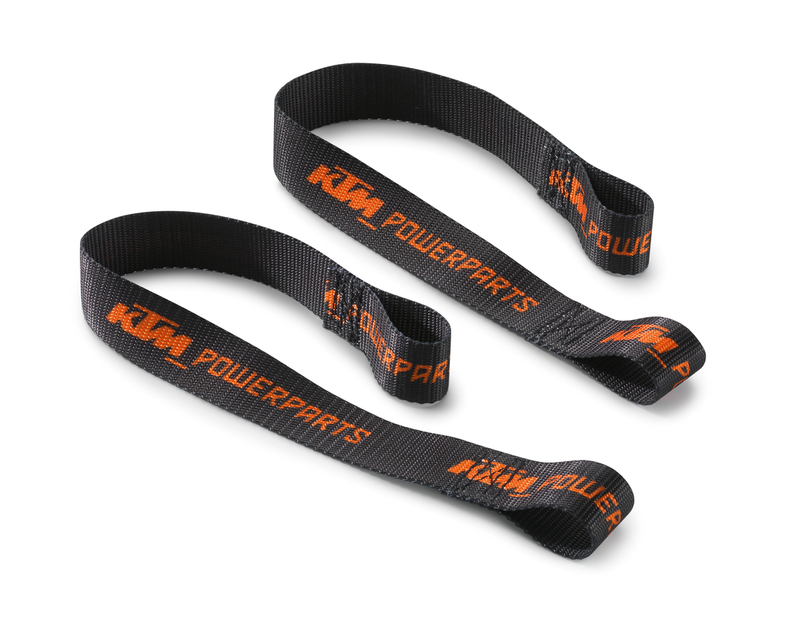 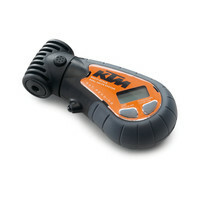 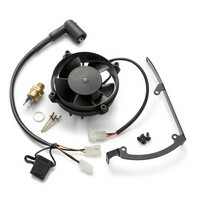 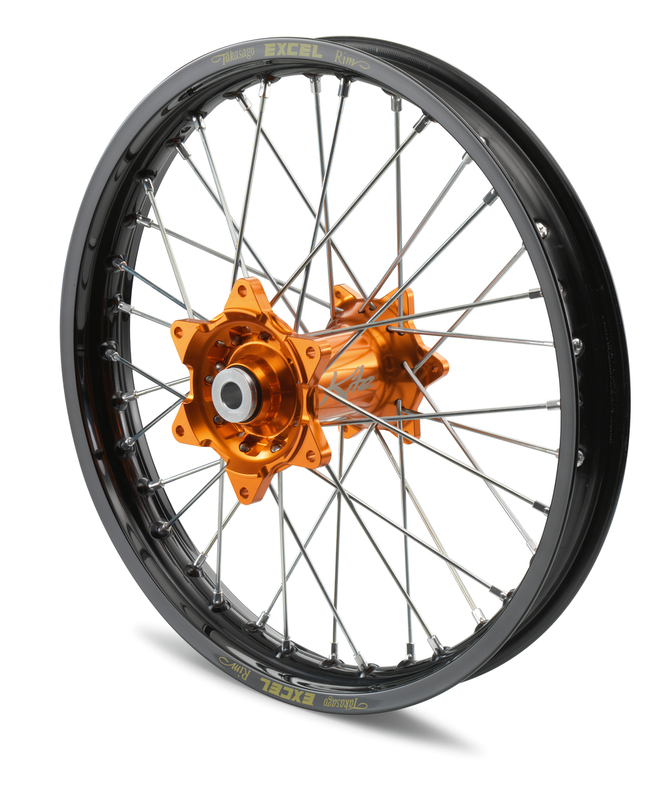 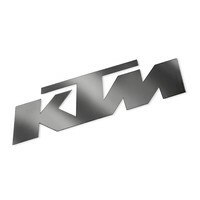 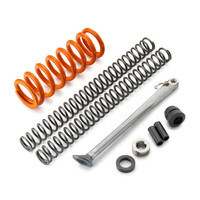 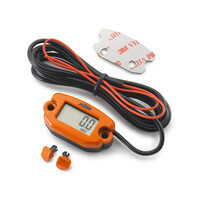 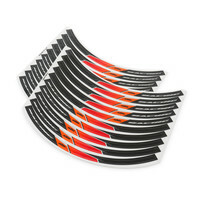 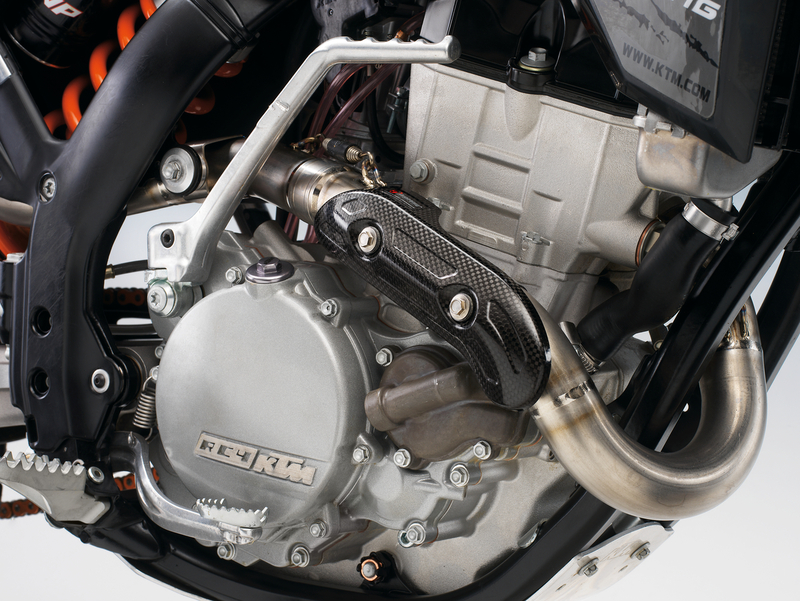 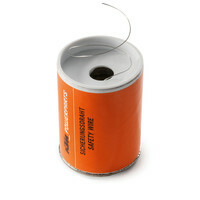 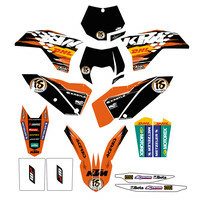 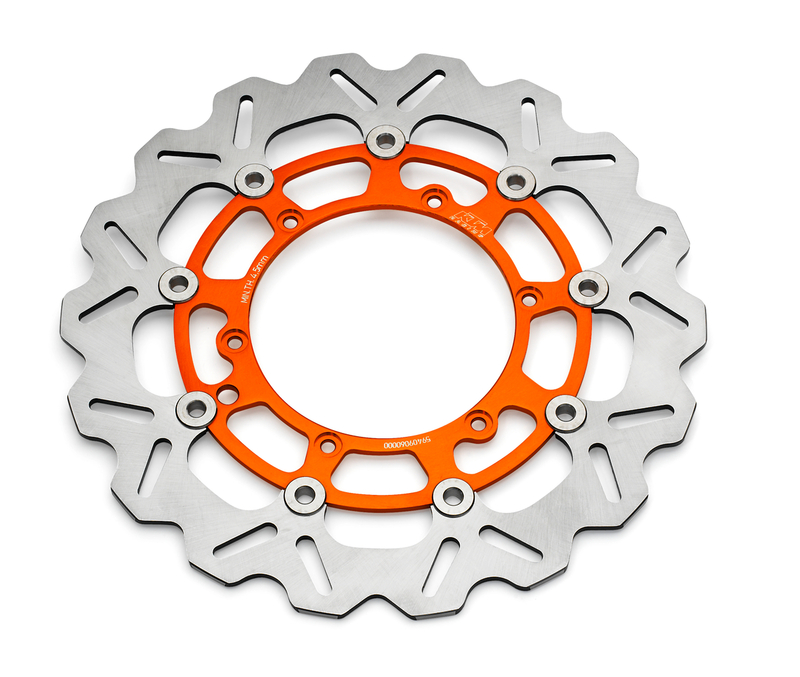 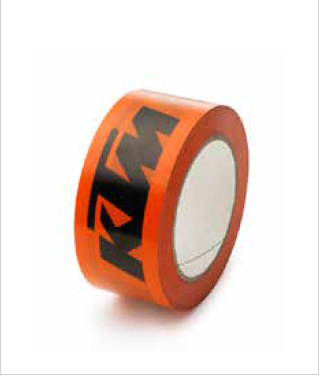 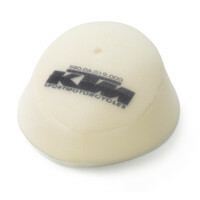 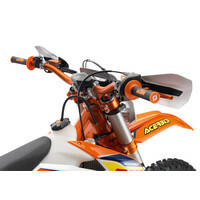 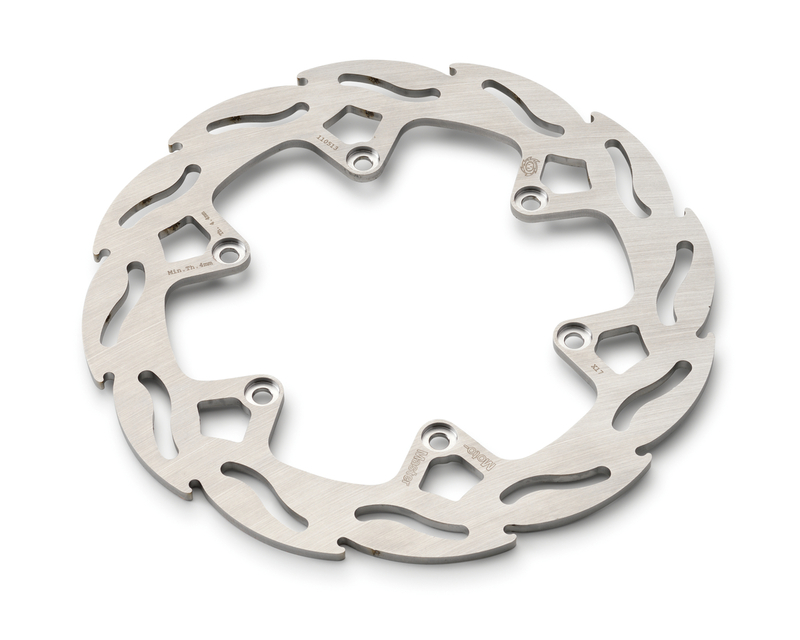 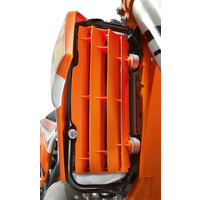 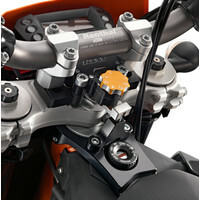 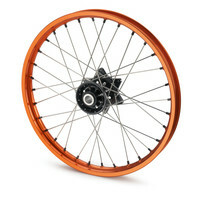 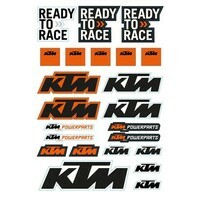 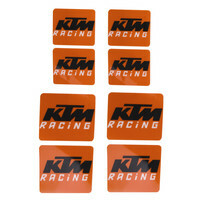 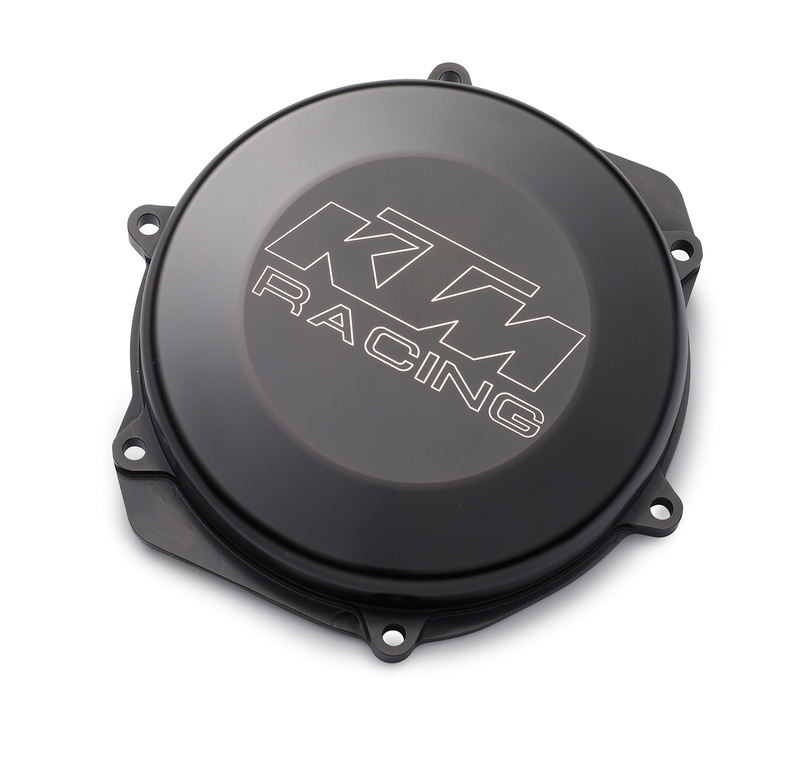 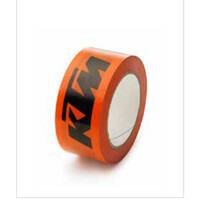 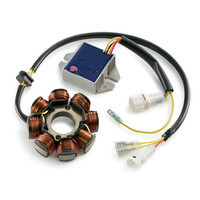 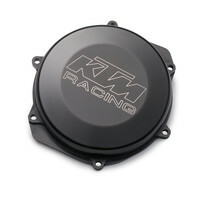 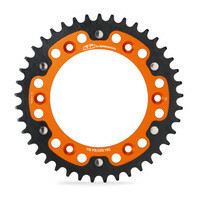 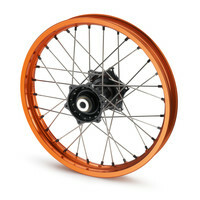 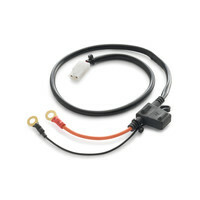 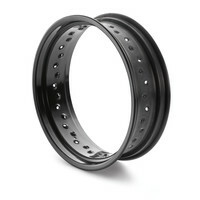 A stator kit needs to be fitted for use on some KTM models (see stator kit info). 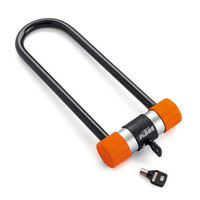 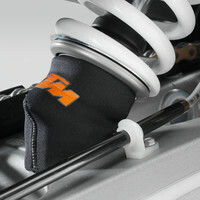 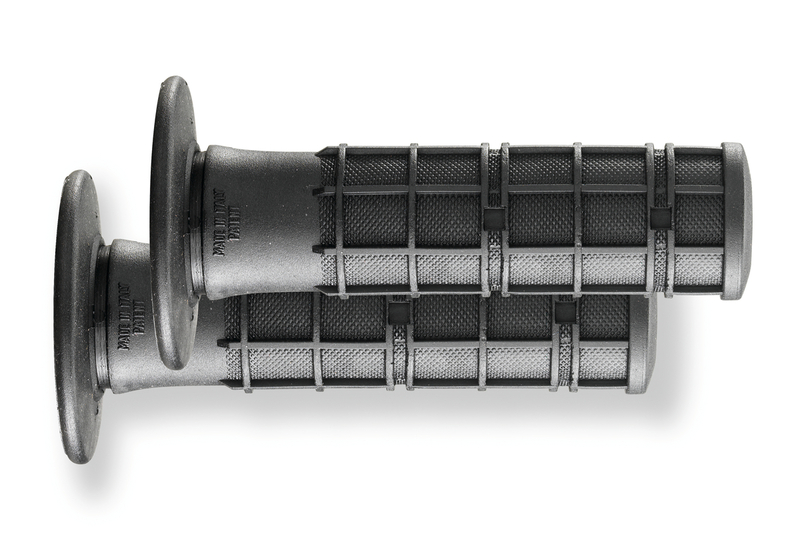 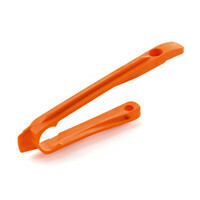 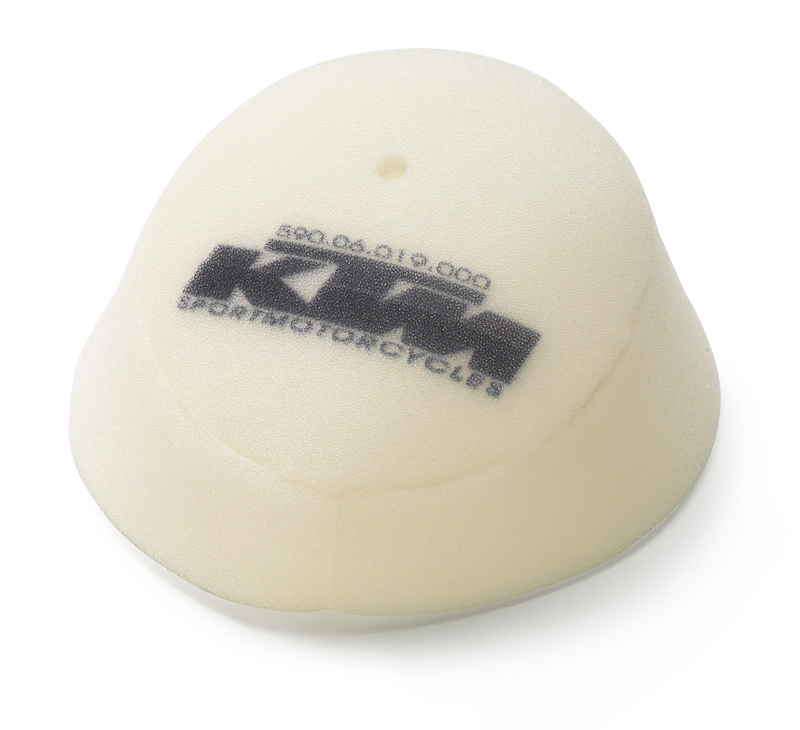 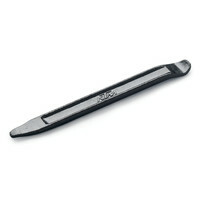 Protects the fork from damage in the event of a crash. 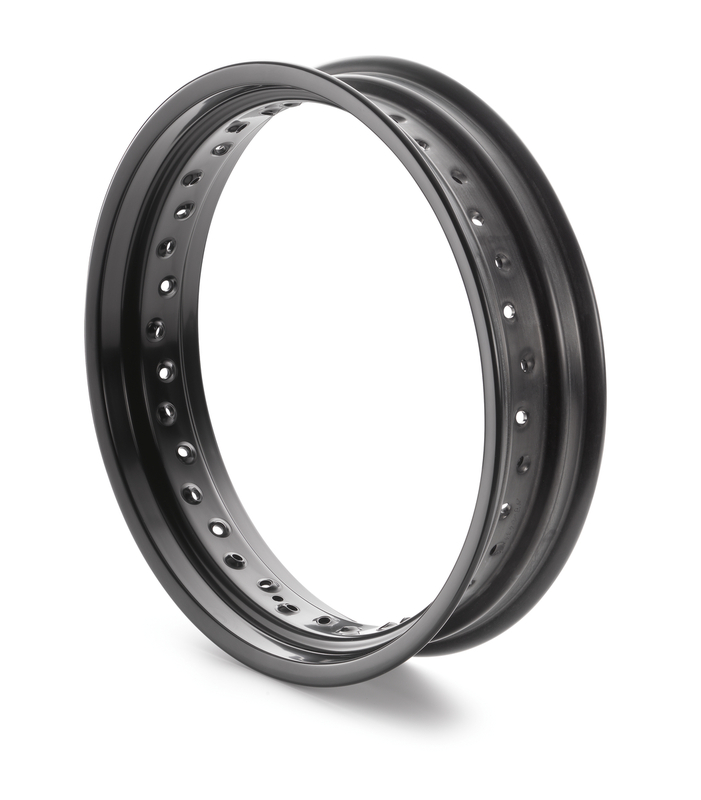 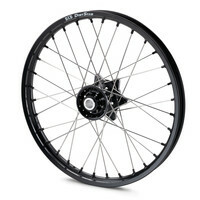 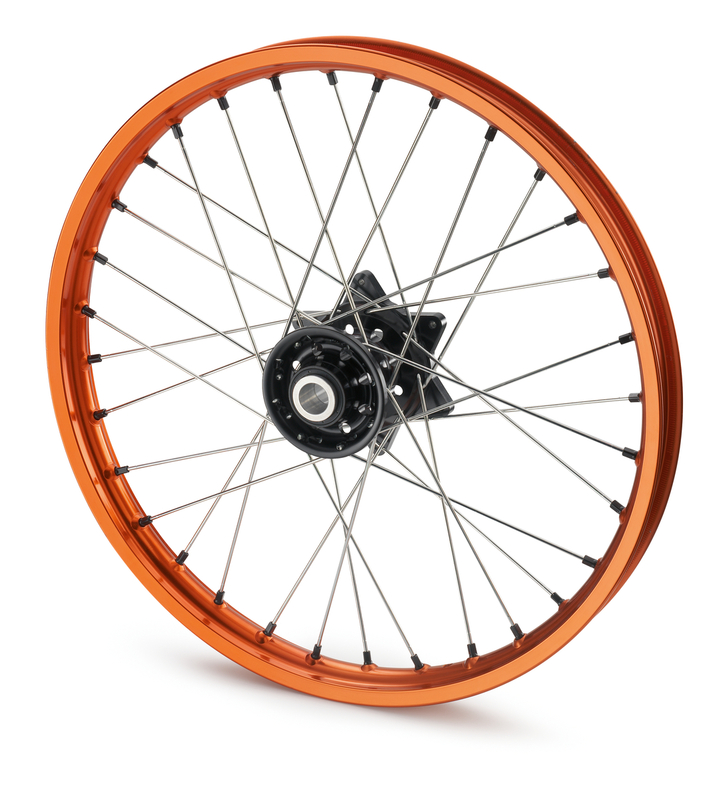 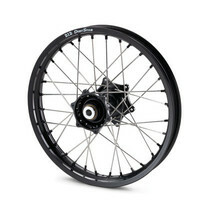 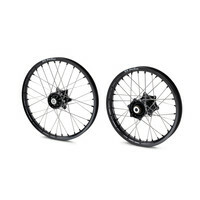 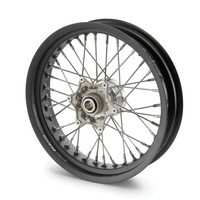 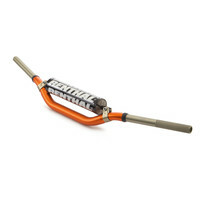 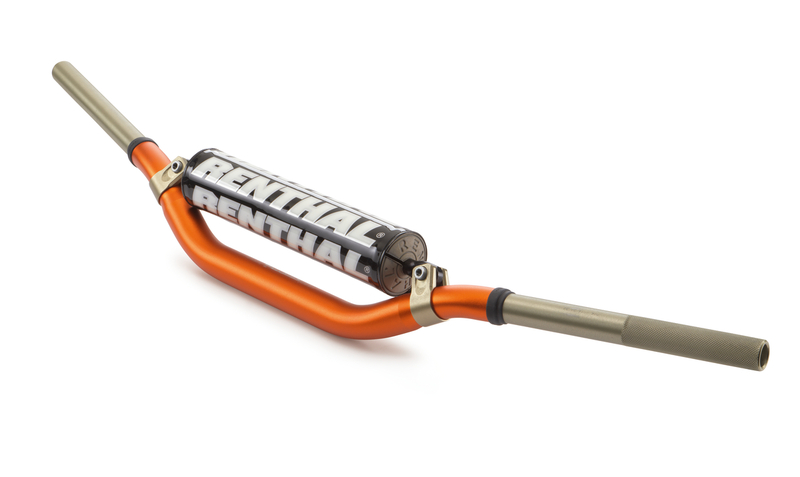 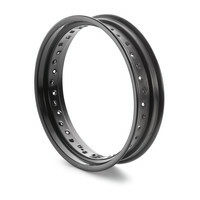 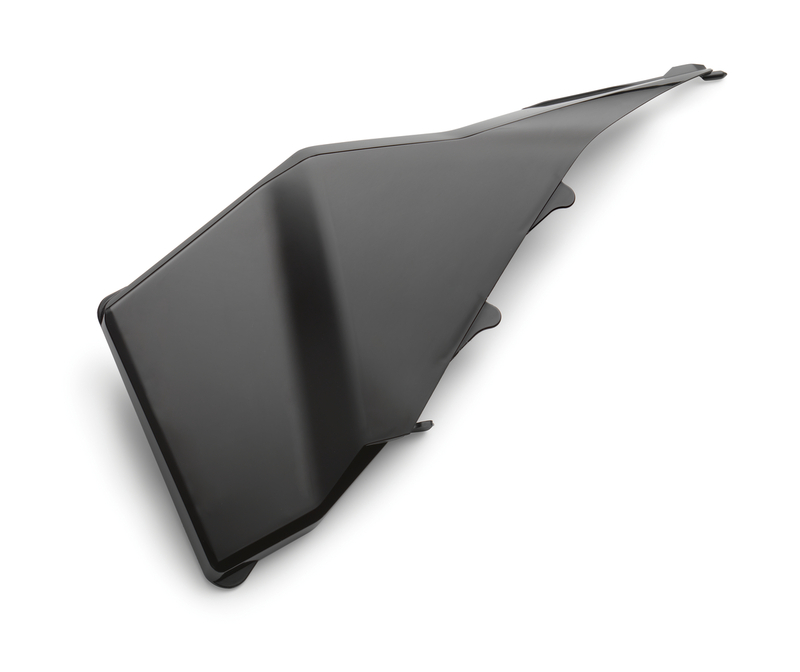 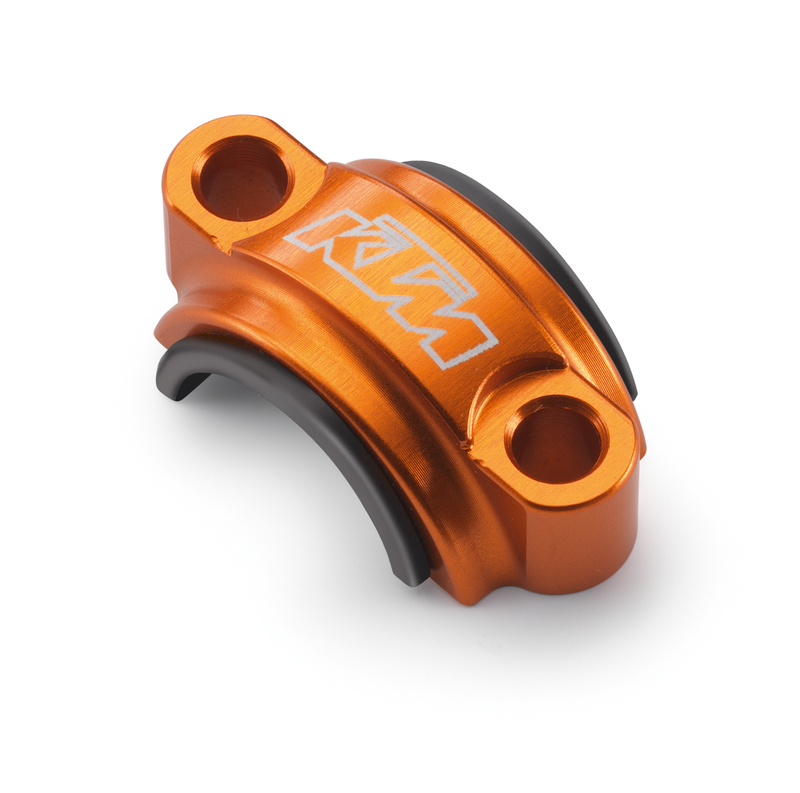 Suitable for all models with 26 mm front axle. 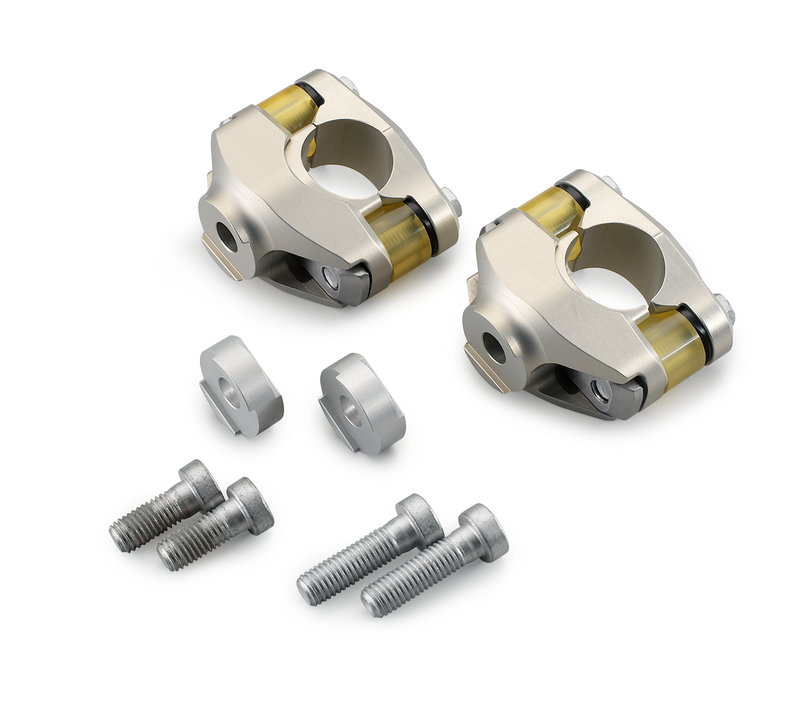 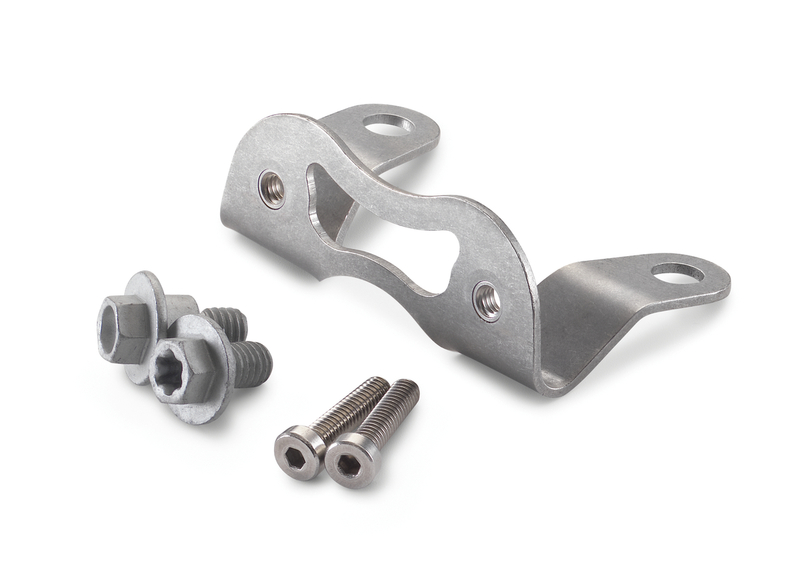 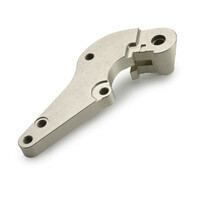 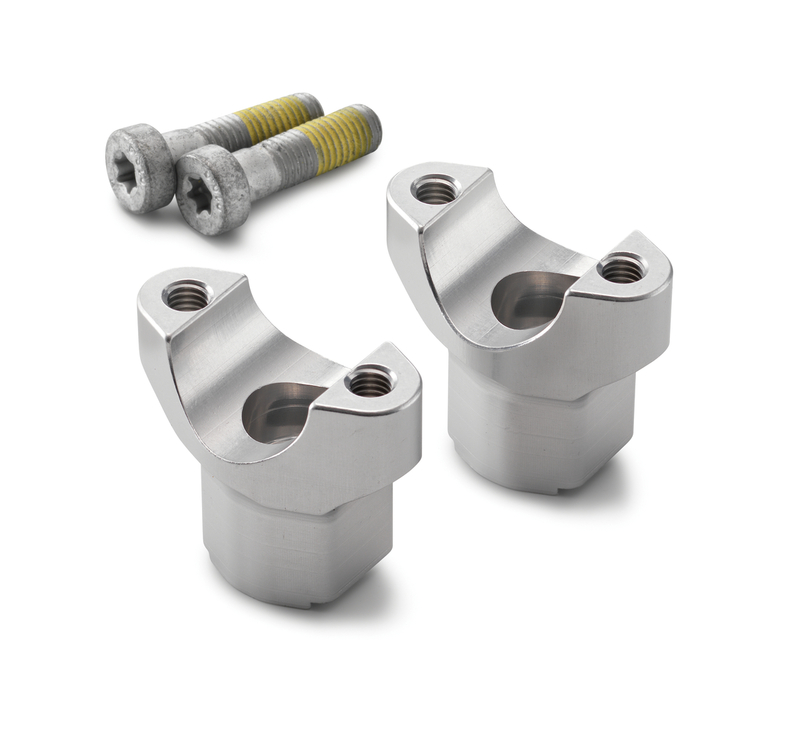 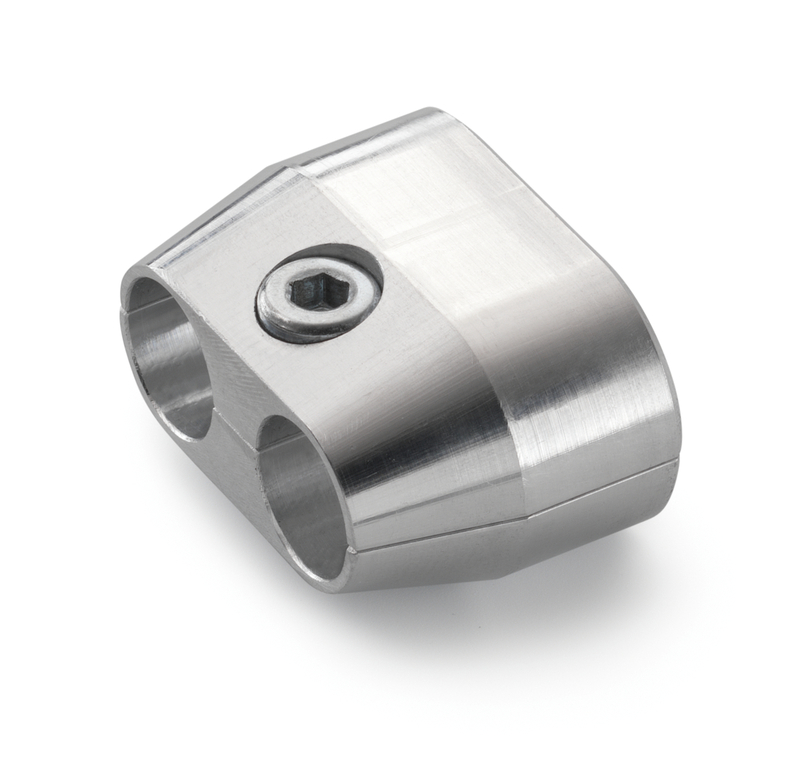 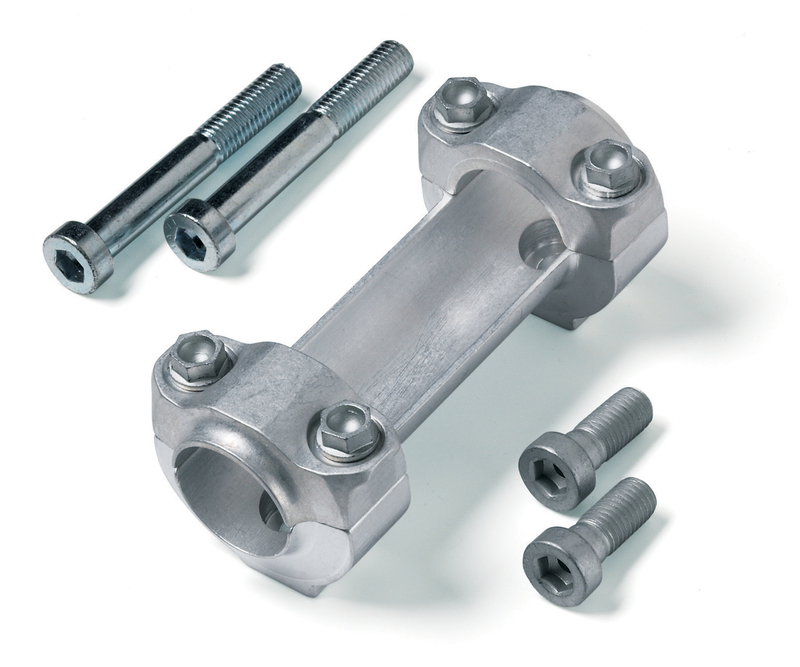 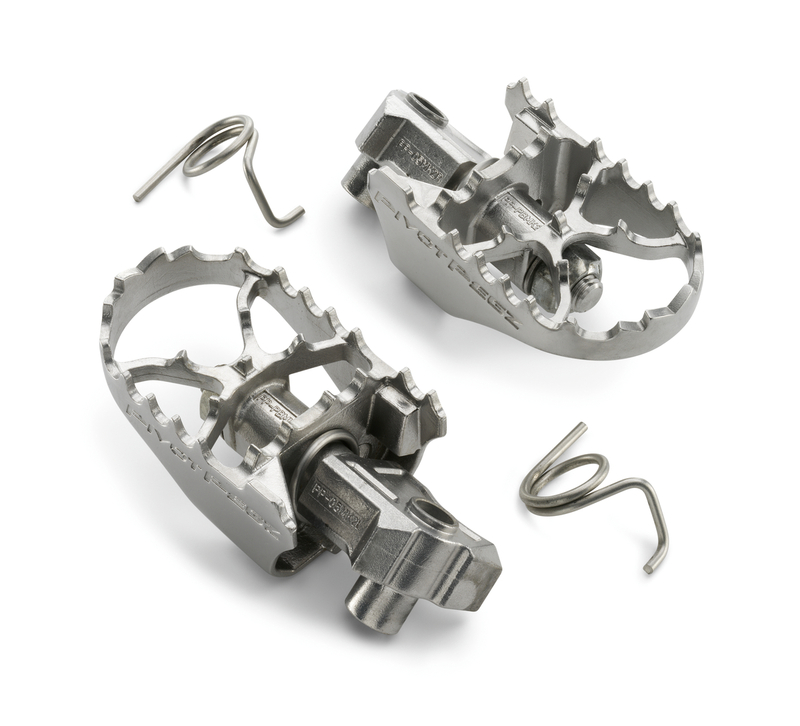 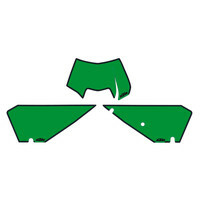 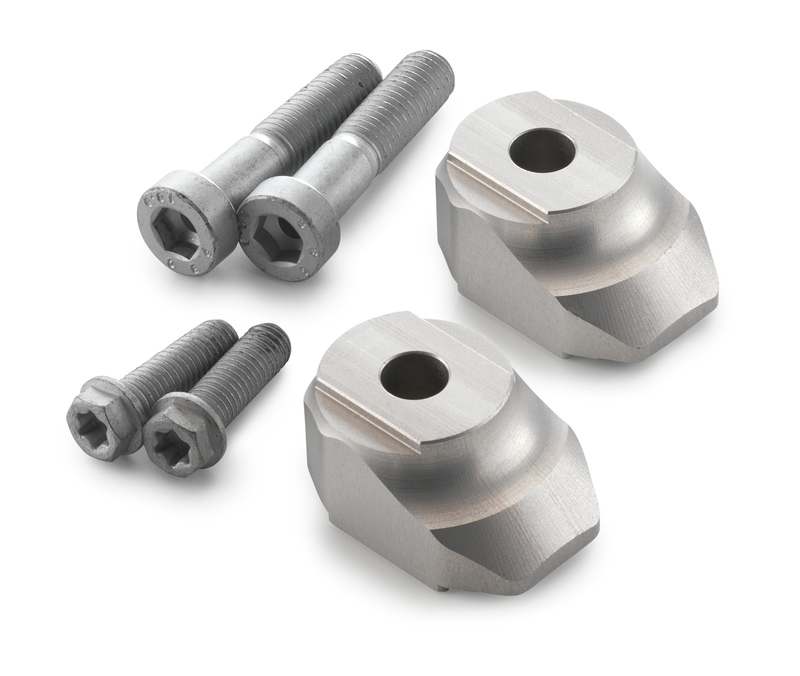 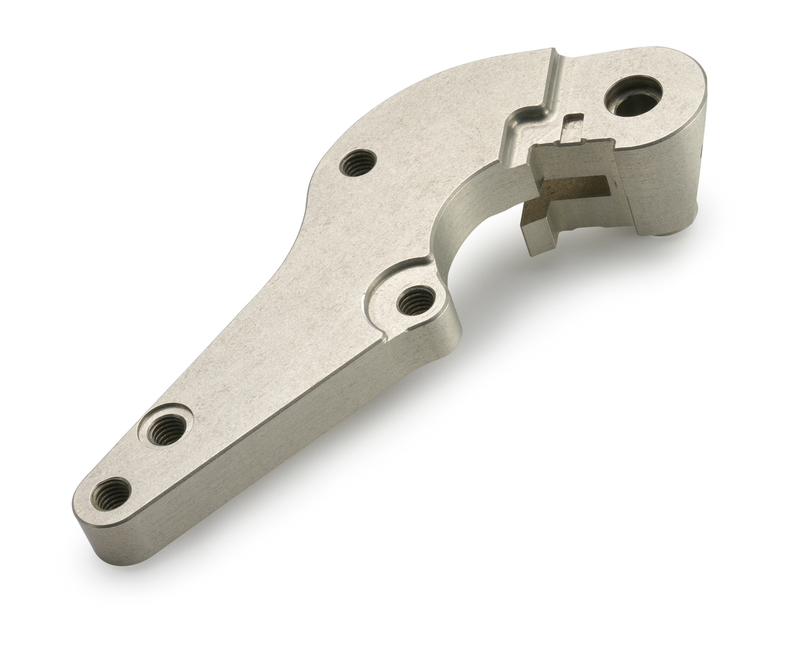 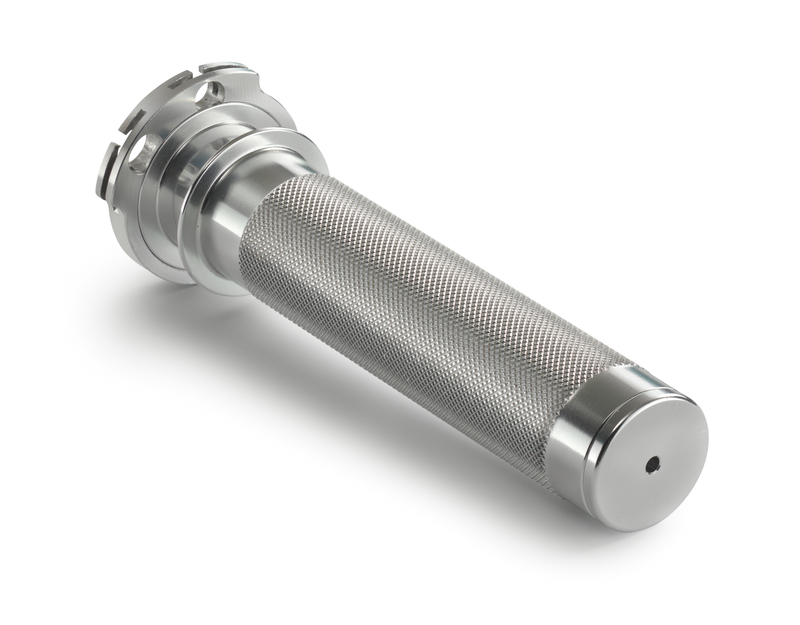 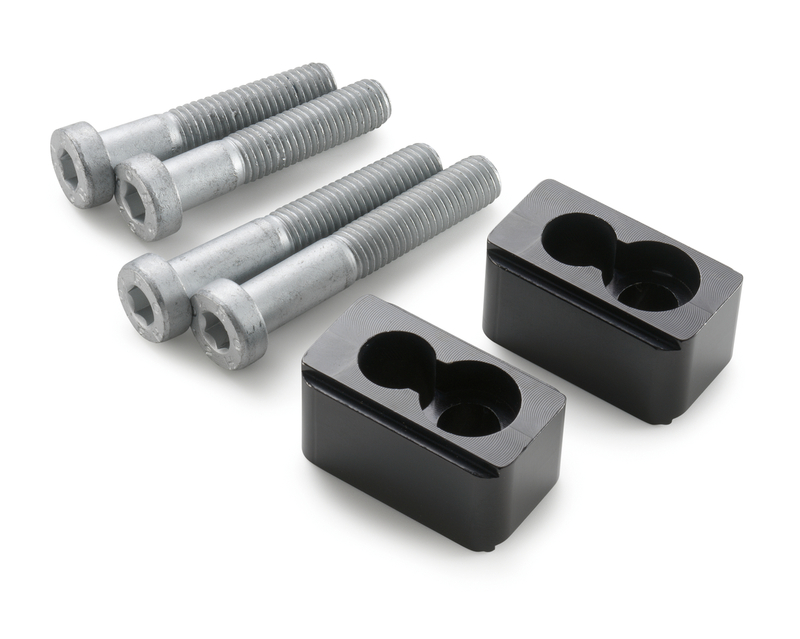 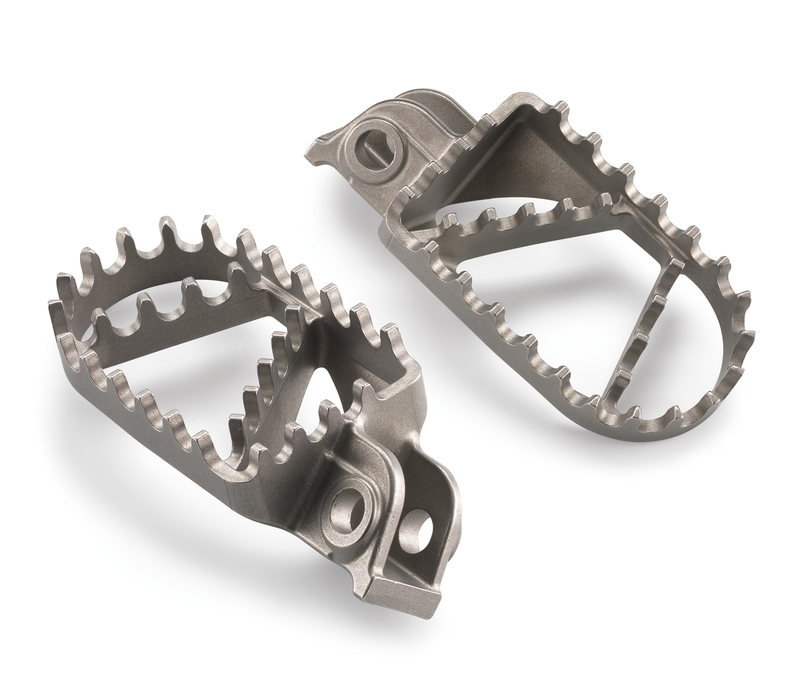 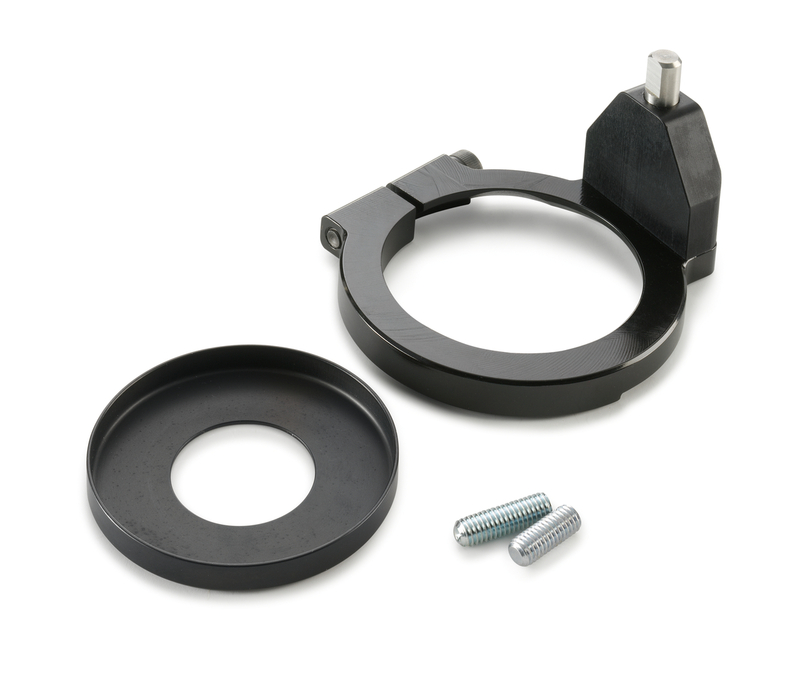 DO YOU KNOW about the benefits of a CNC-machined triple clamp? 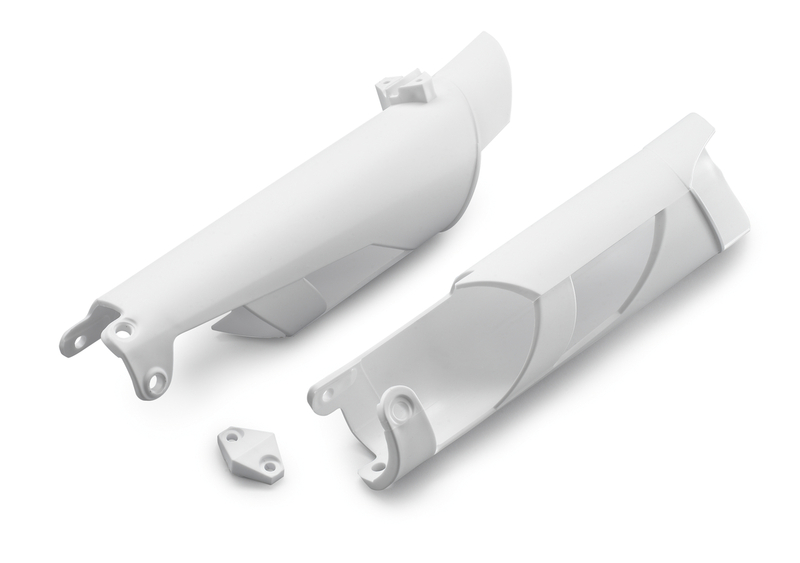 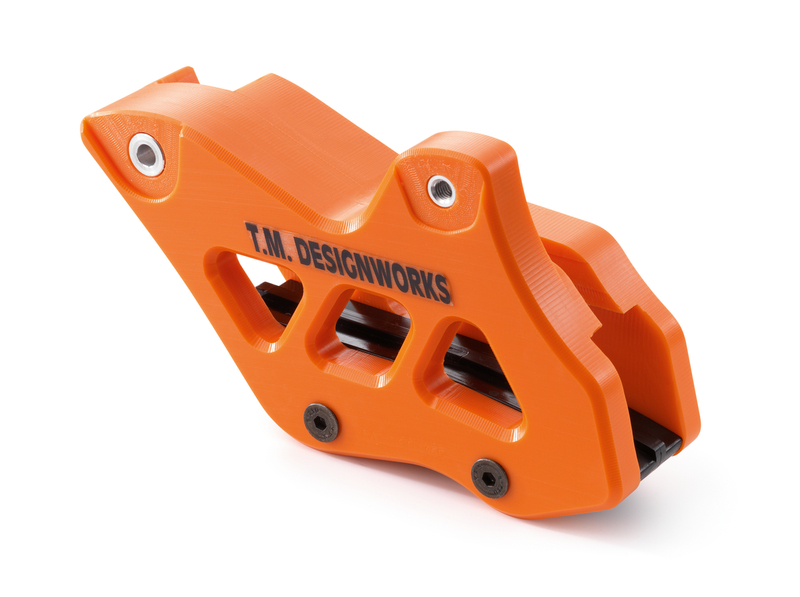 With the same tightening torque, this operation increases the friction between triple clamp and fork tubes, thus practically preventing the fork tubes from twisting in the triple clamp. 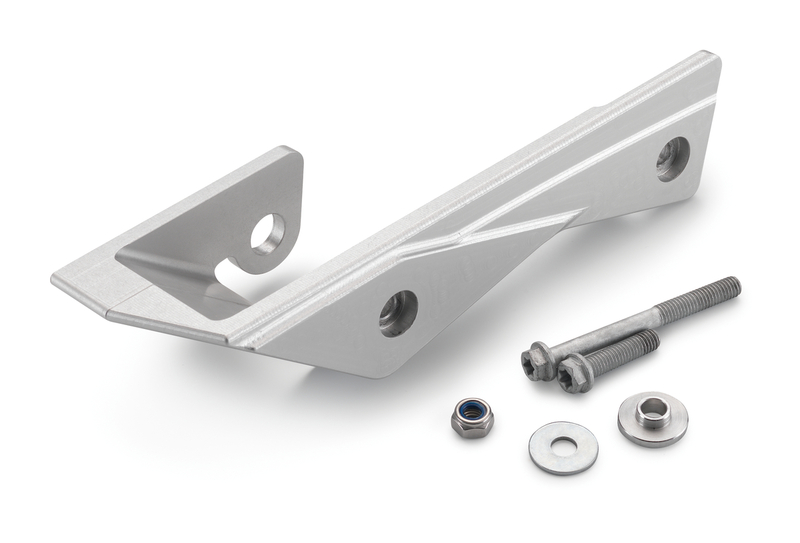 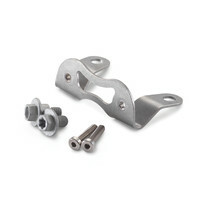 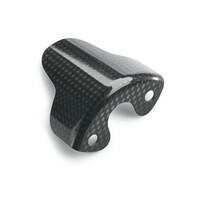 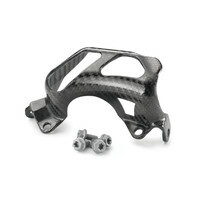 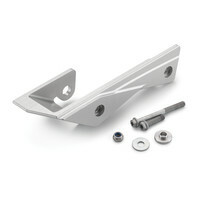 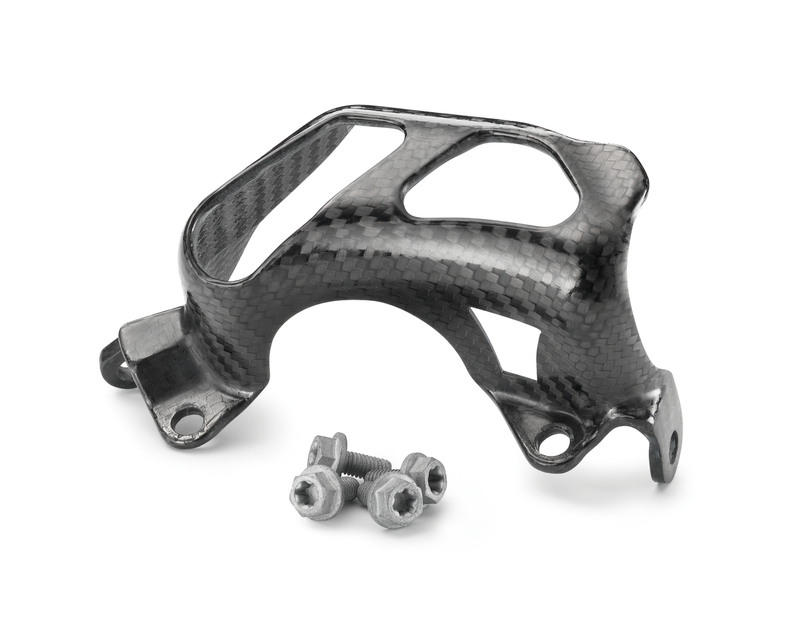 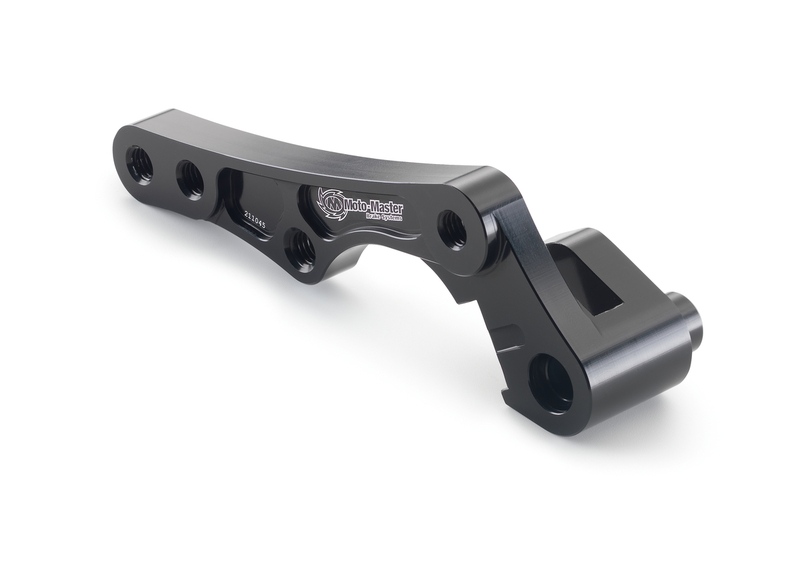 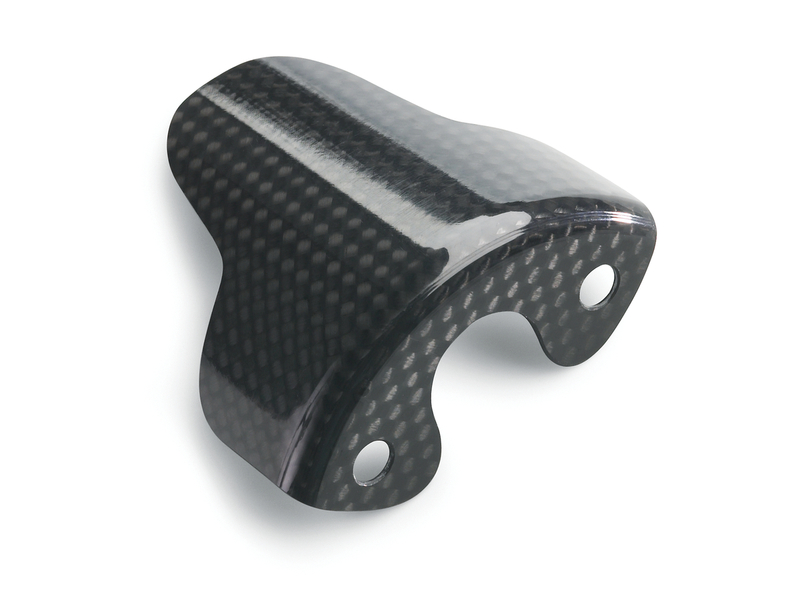 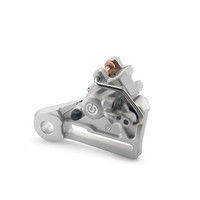 The special steering stem bracket provides additional support for this feature. 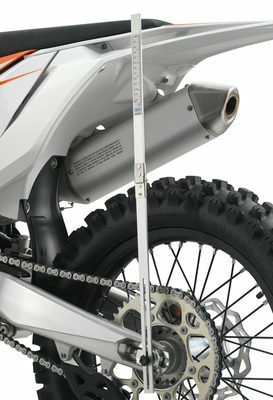 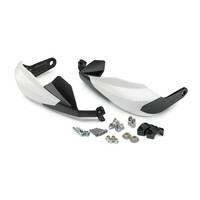 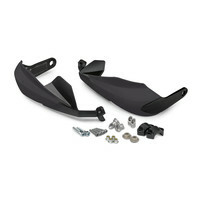 Ultra-easy offset adjustment: Dismantling of front wheel and fork is not necessary! The triple clamp offset is the distance between the horizontal center line of both fork tubes and the center of the steering axis, by which the fork tubes are offset from the steering axis (referred to as dimension "X"). 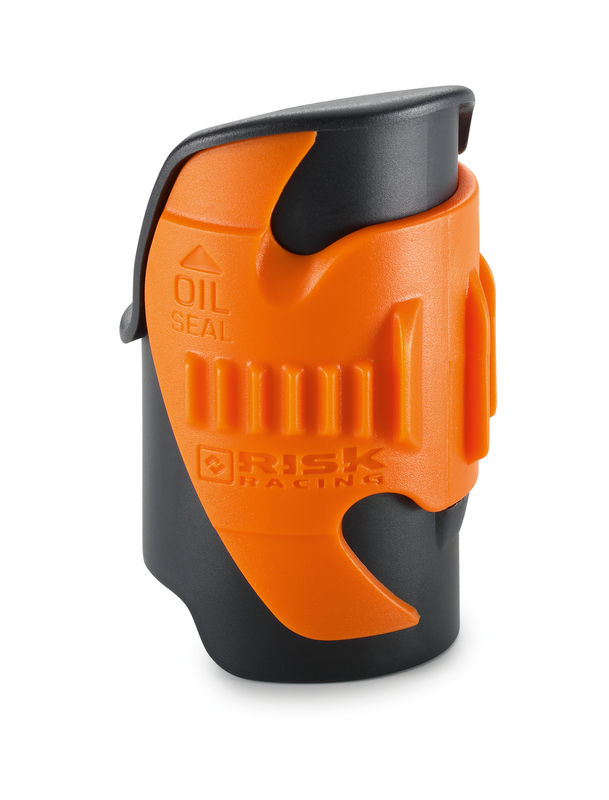 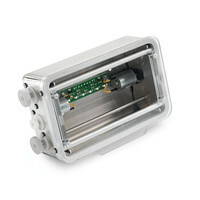 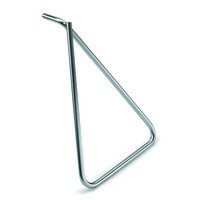 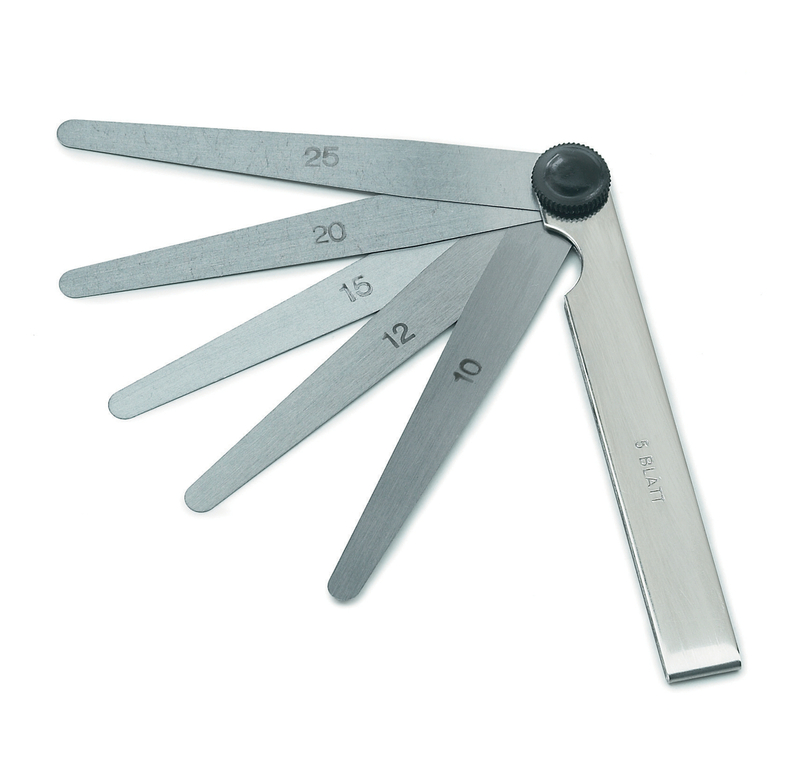 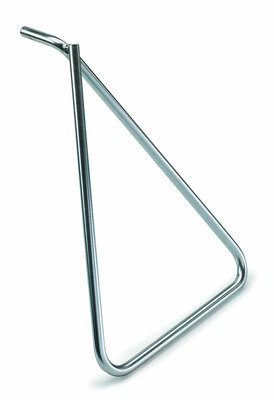 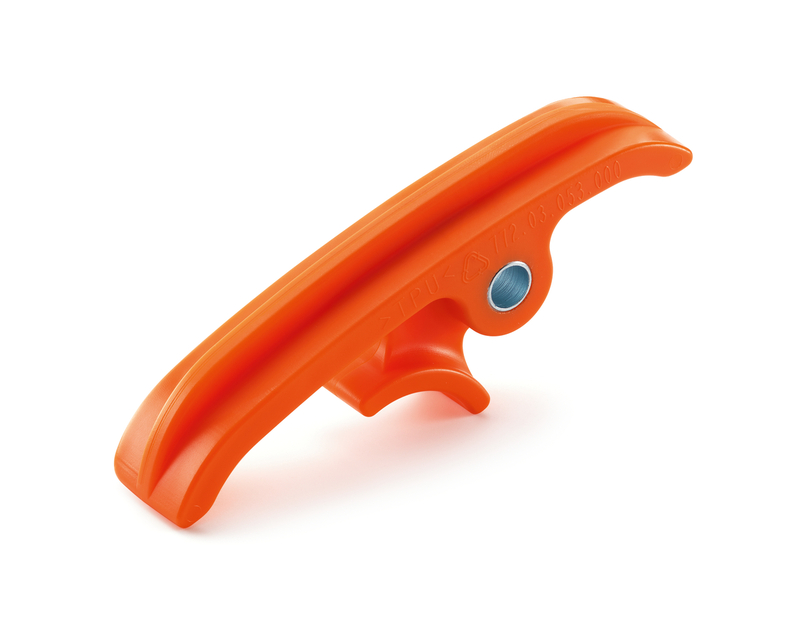 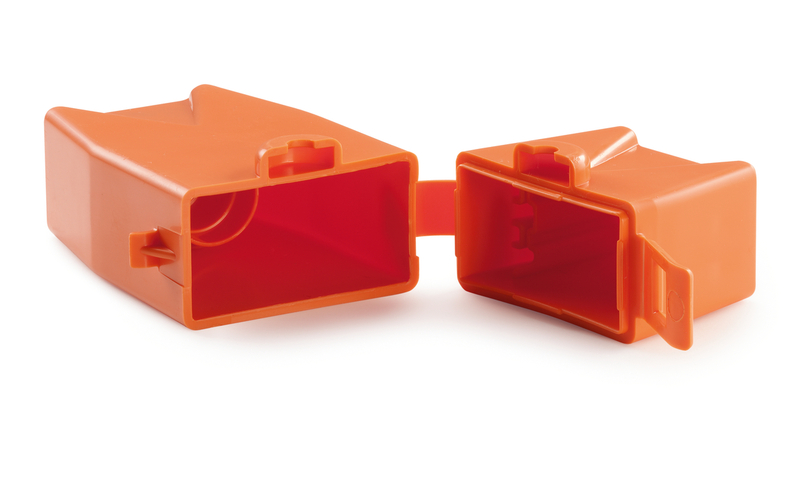 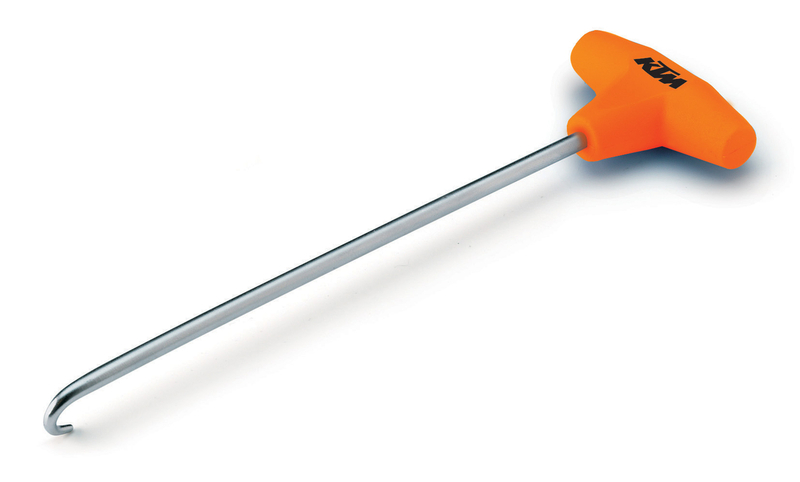 The selected offset can be seen at a glance thanks to the marking on the triple clamp. 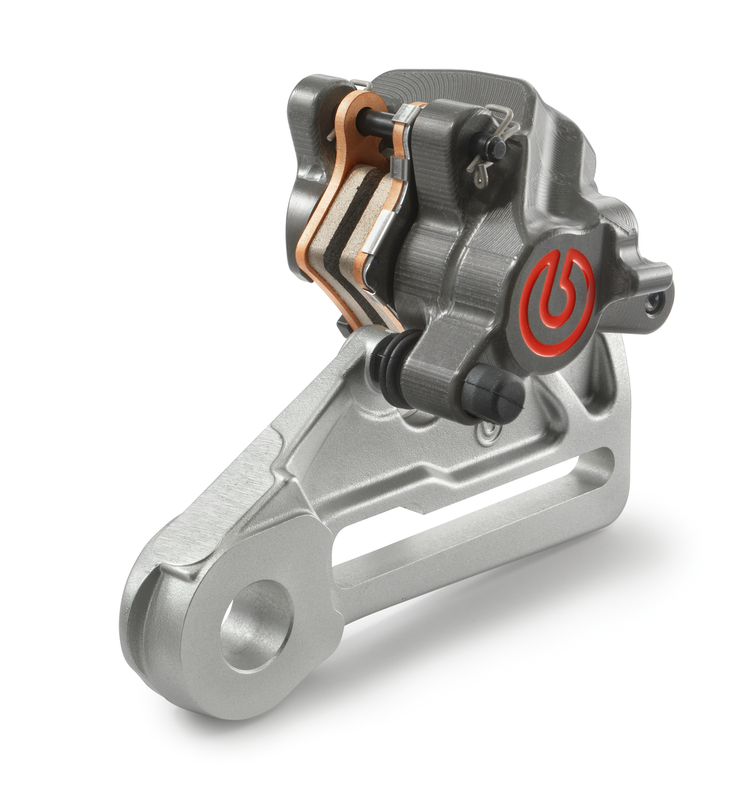 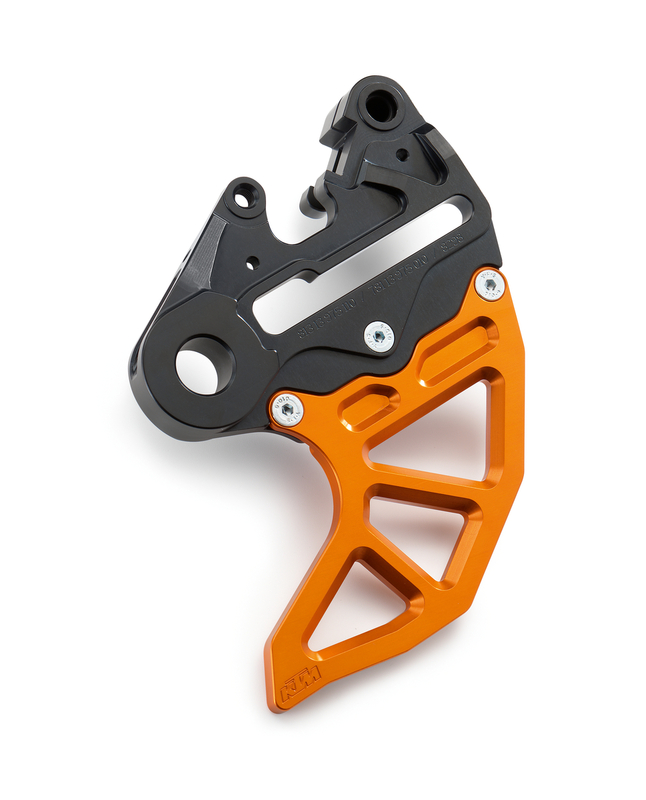 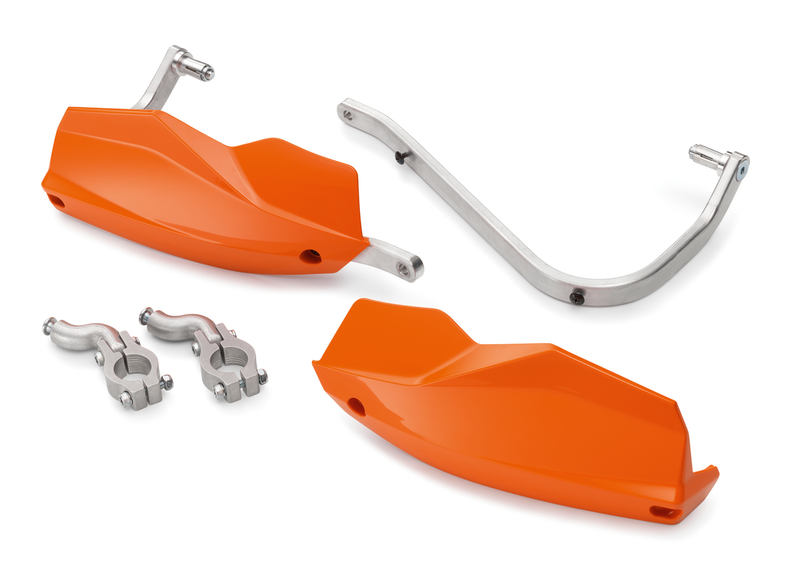 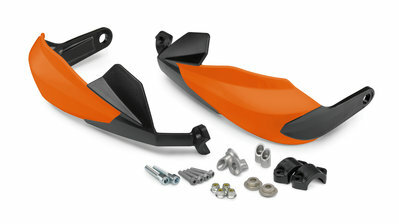 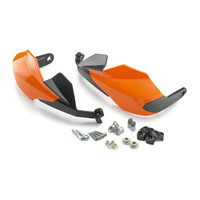 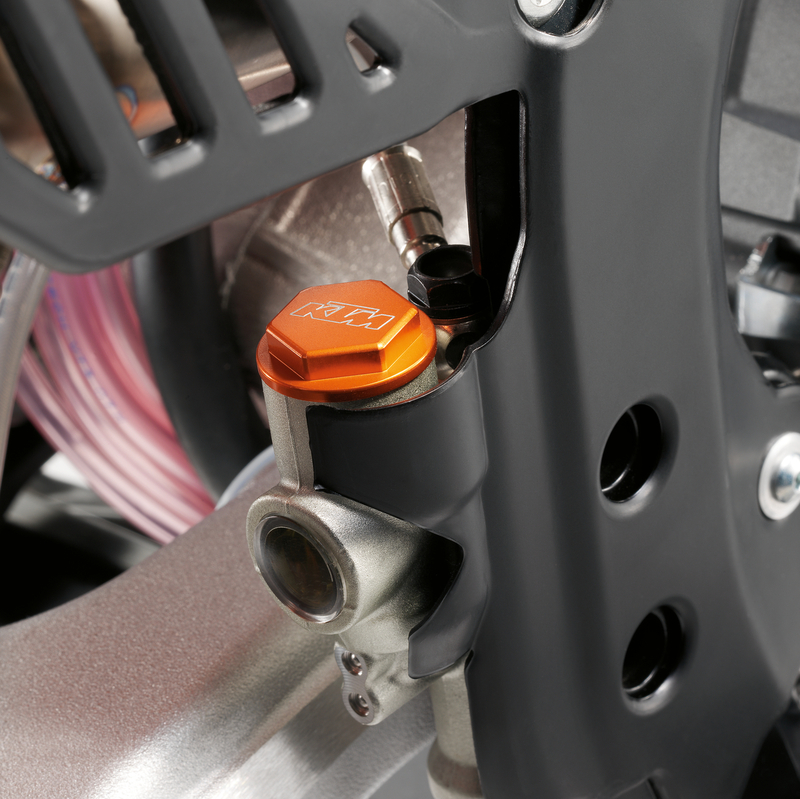 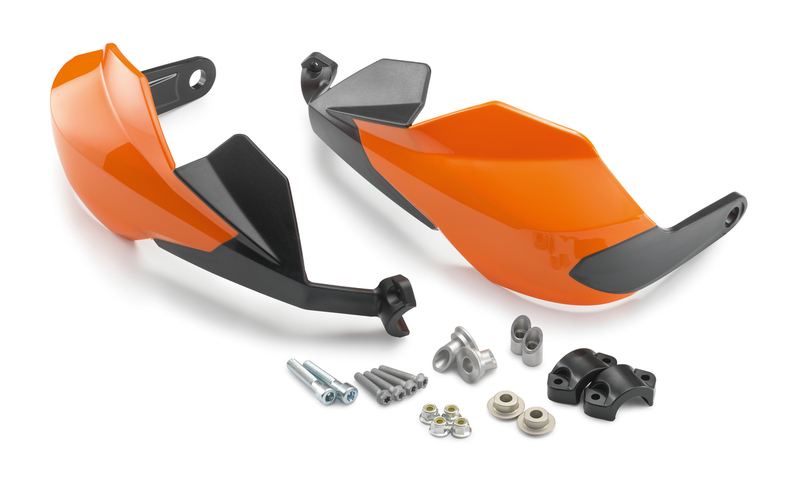 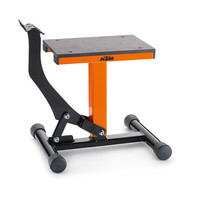 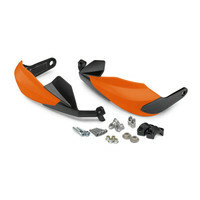 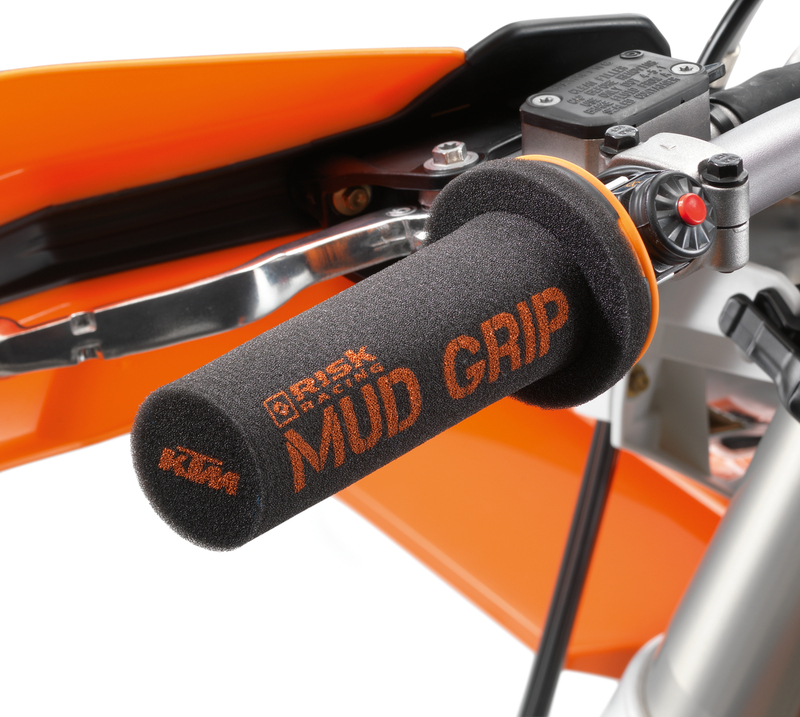 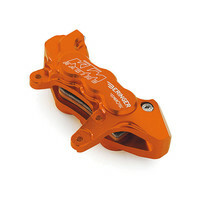 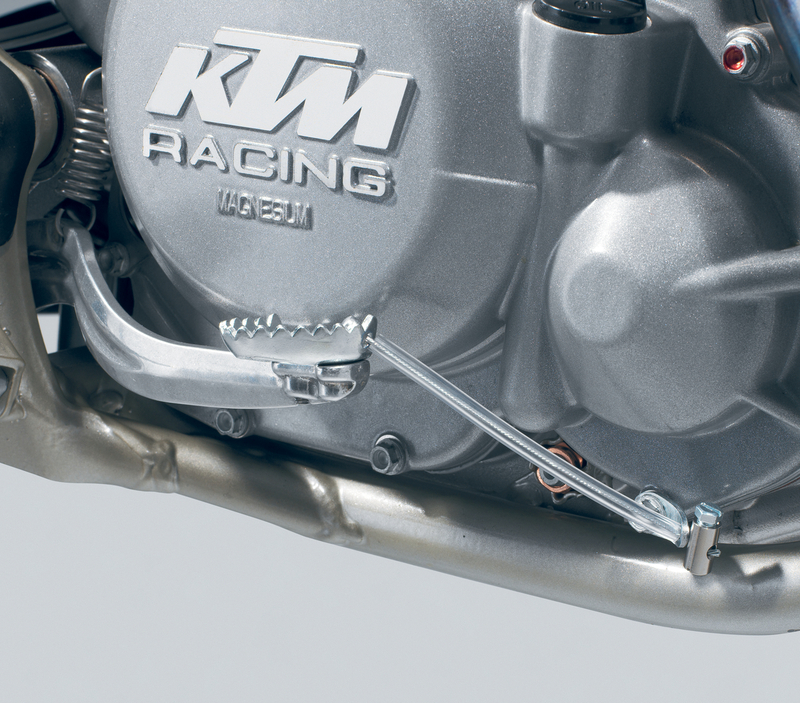 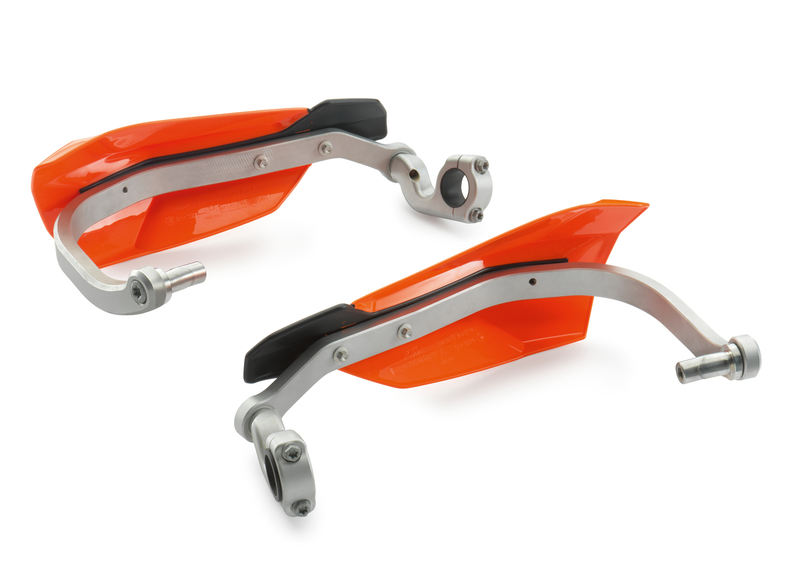 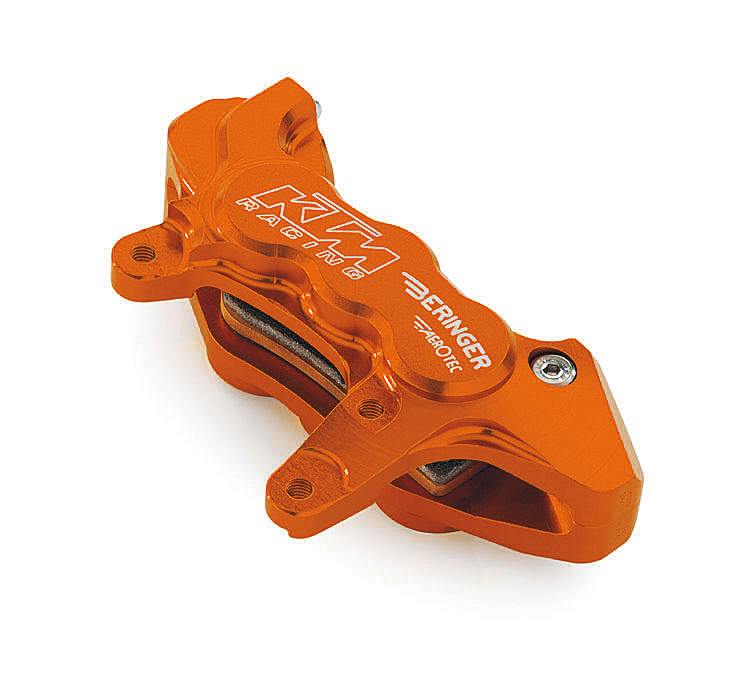 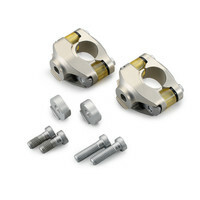 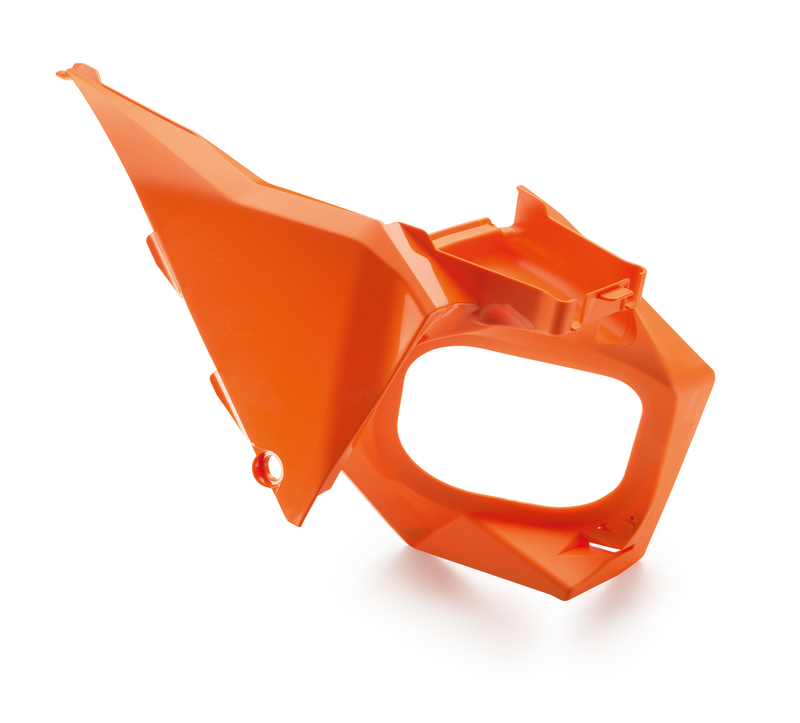 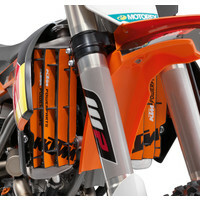 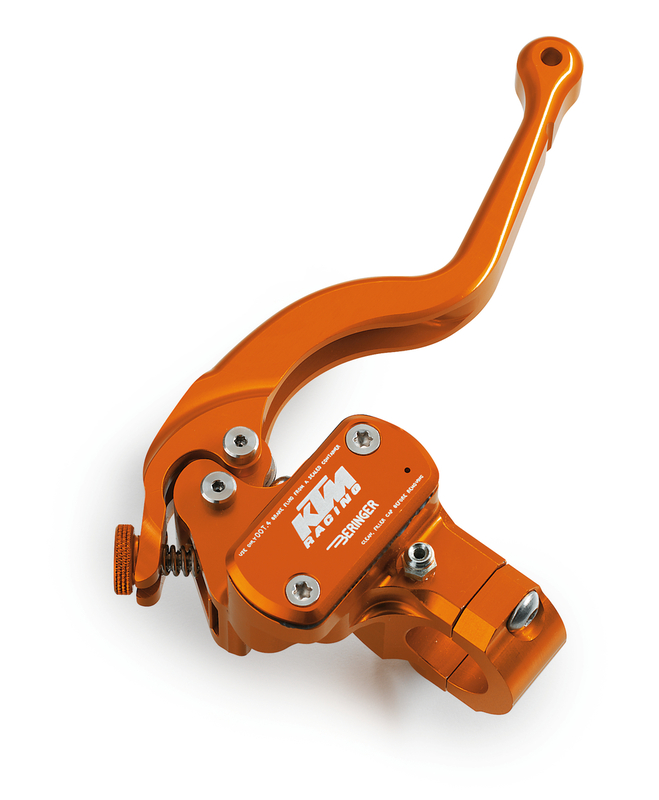 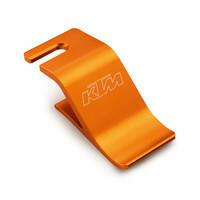 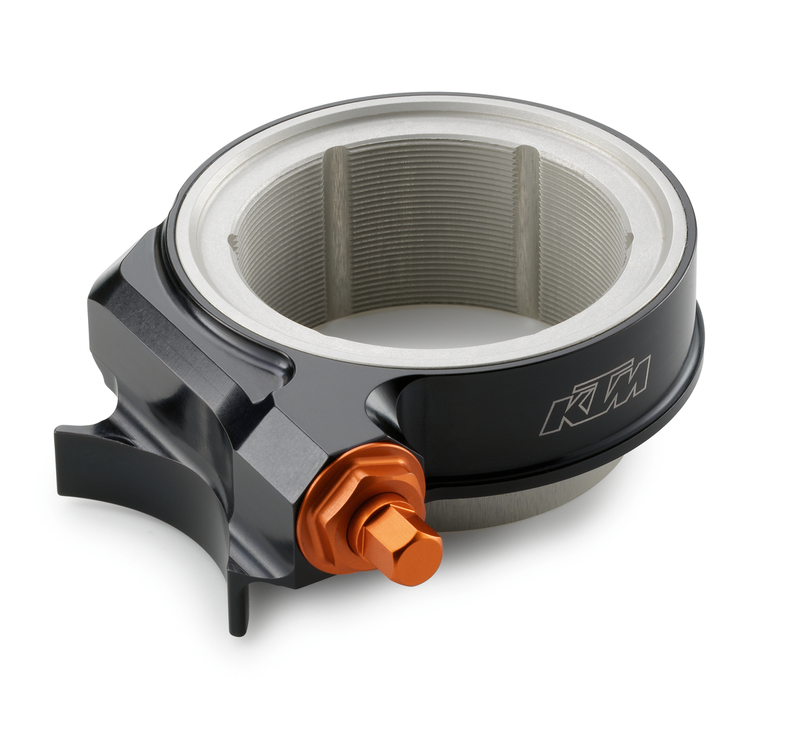 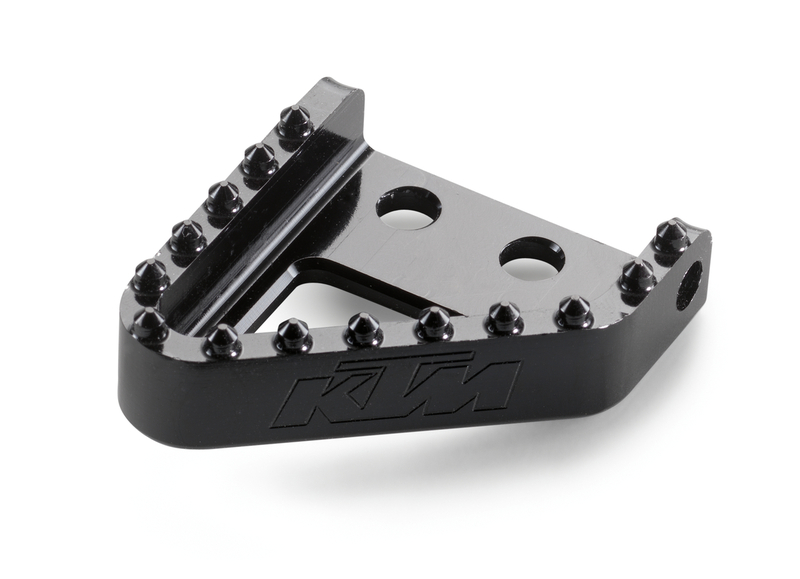 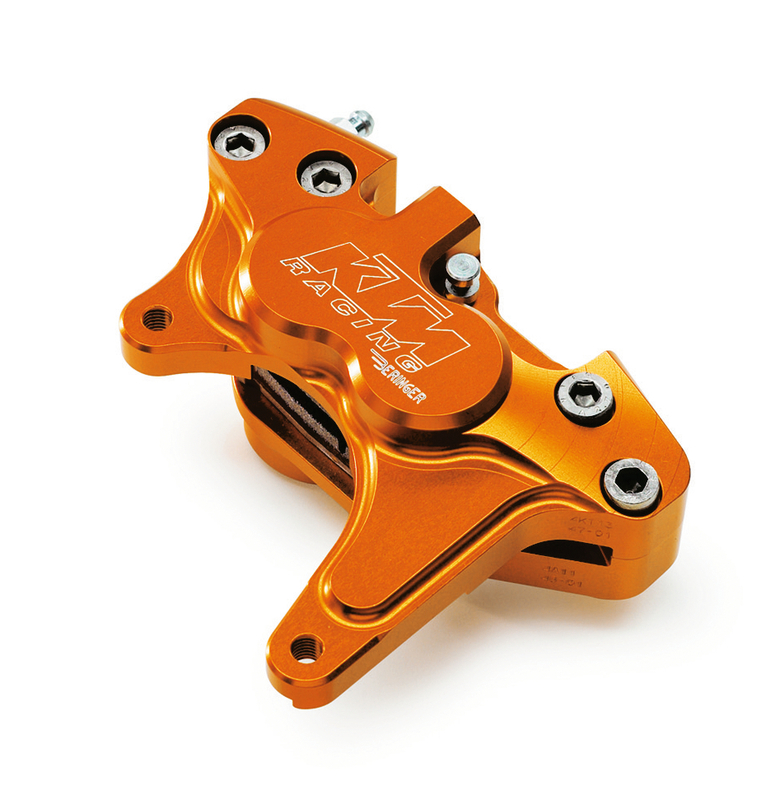 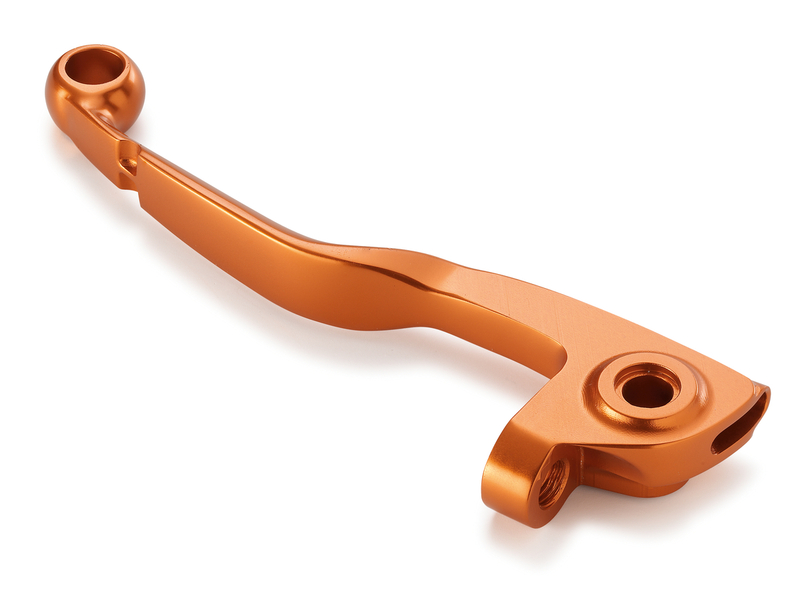 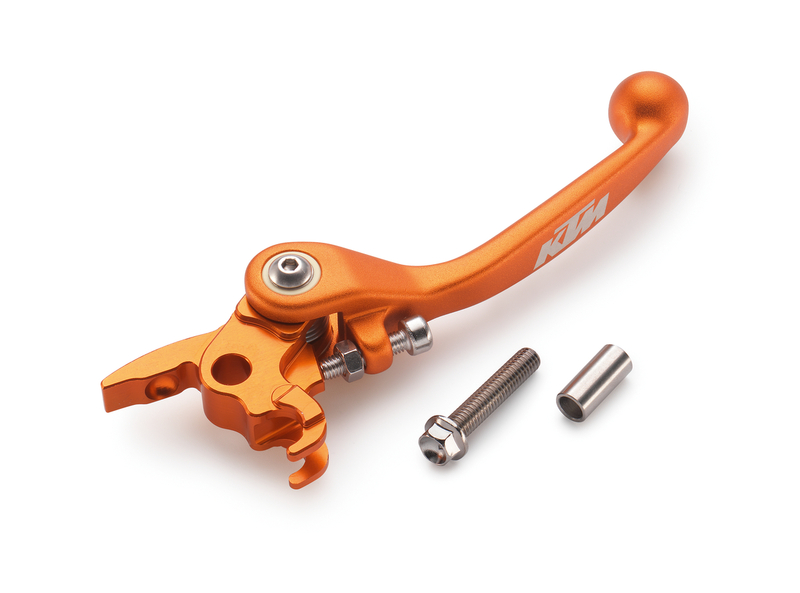 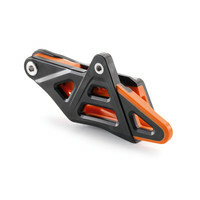 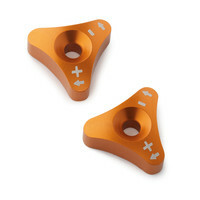 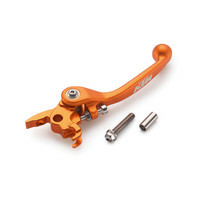 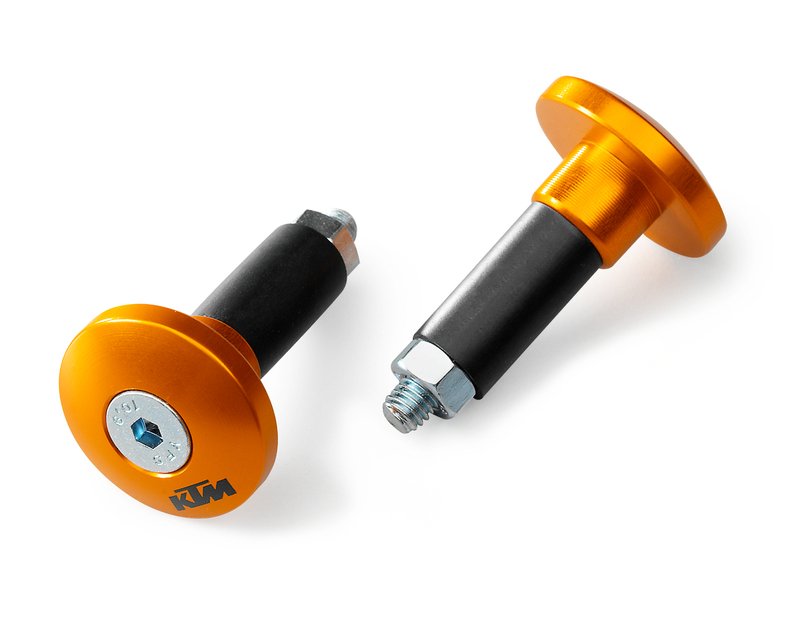 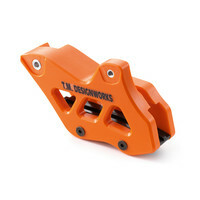 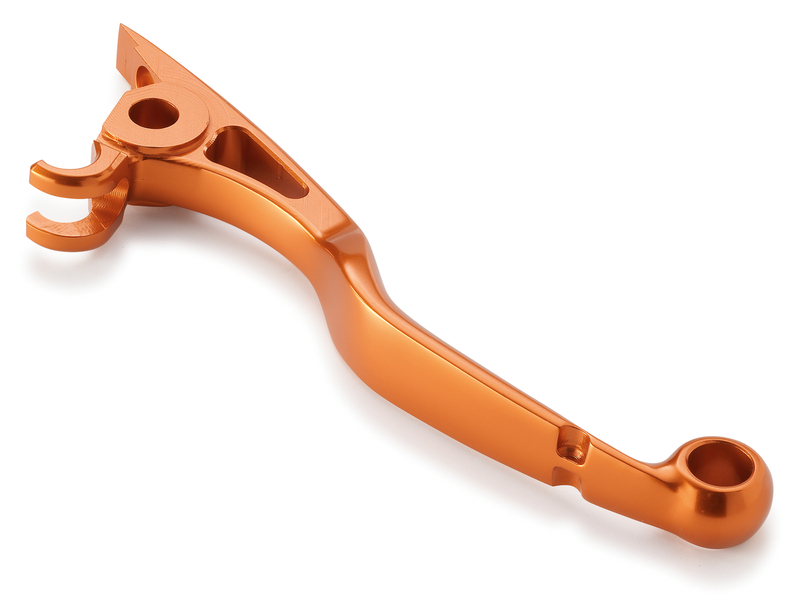 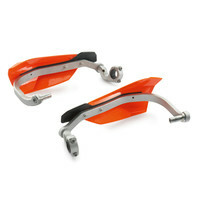 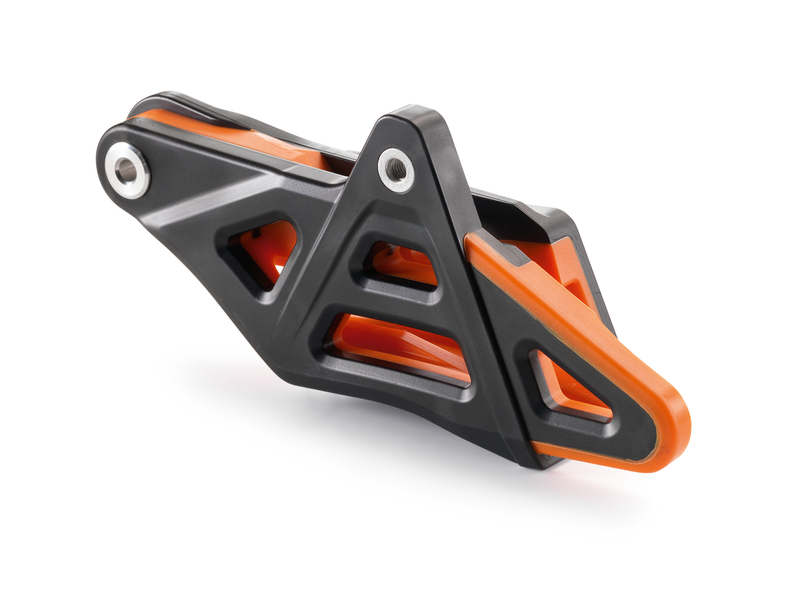 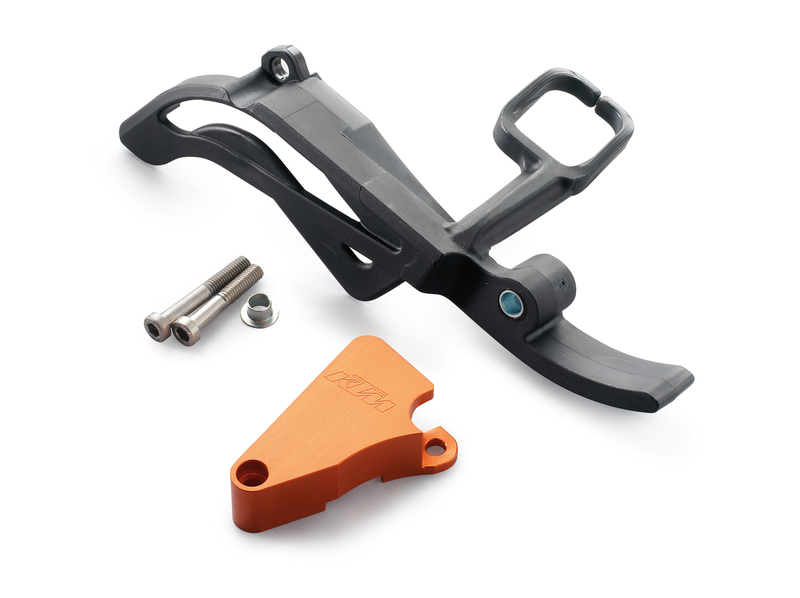 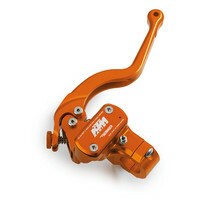 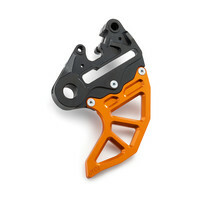 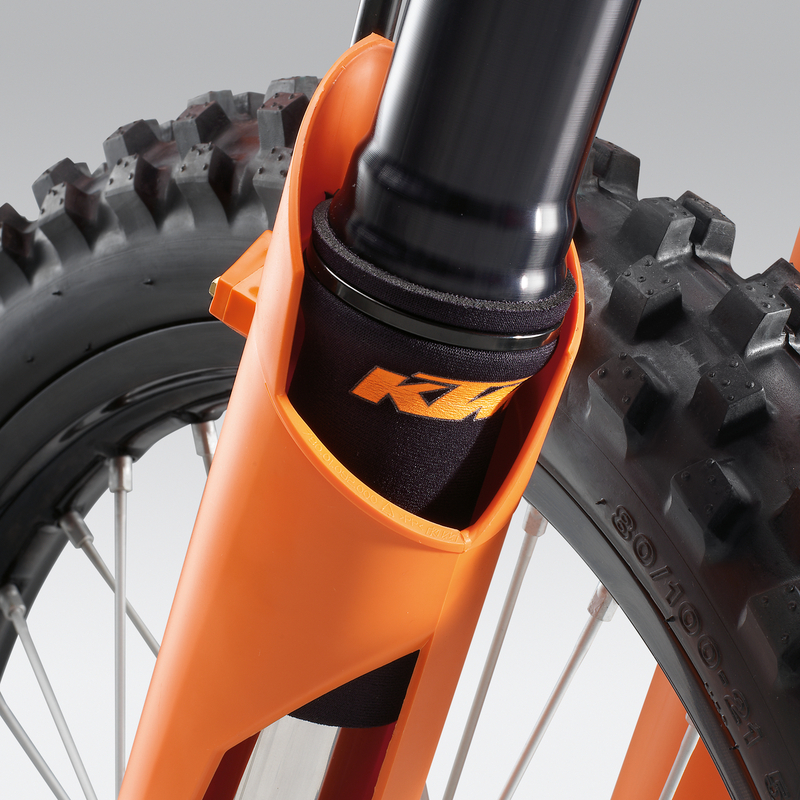 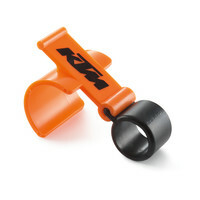 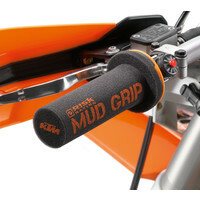 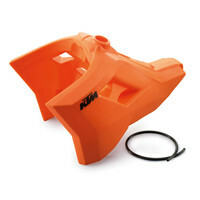 All KTM triple clamps are supplied with steering stem and with the steering head bearing already pressed on. 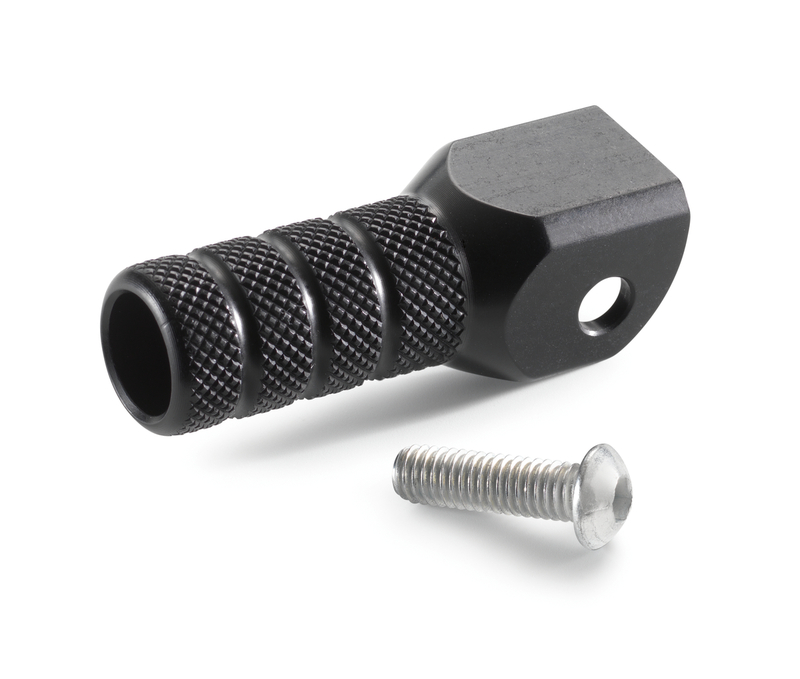 With adjustable offset 19 or 22 mm. 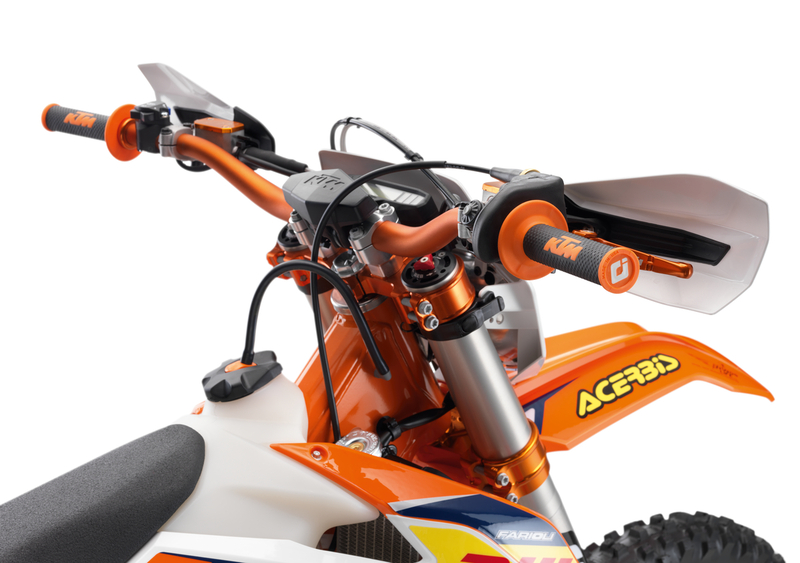 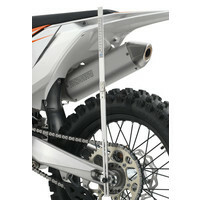 ACHTUNG: Only the 22 offset may be used on the 450 SX-F 2010 model, otherwise there is a risk of the front wheel hitting the exhaust manifold when the fork is compressed. 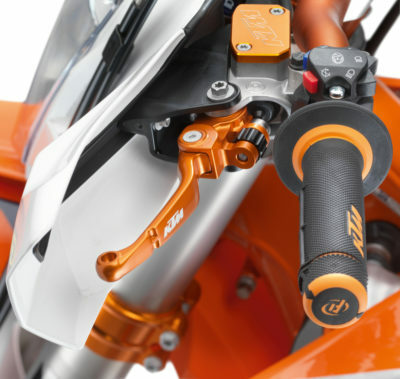 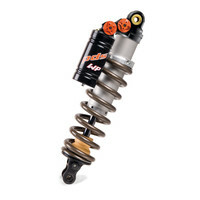 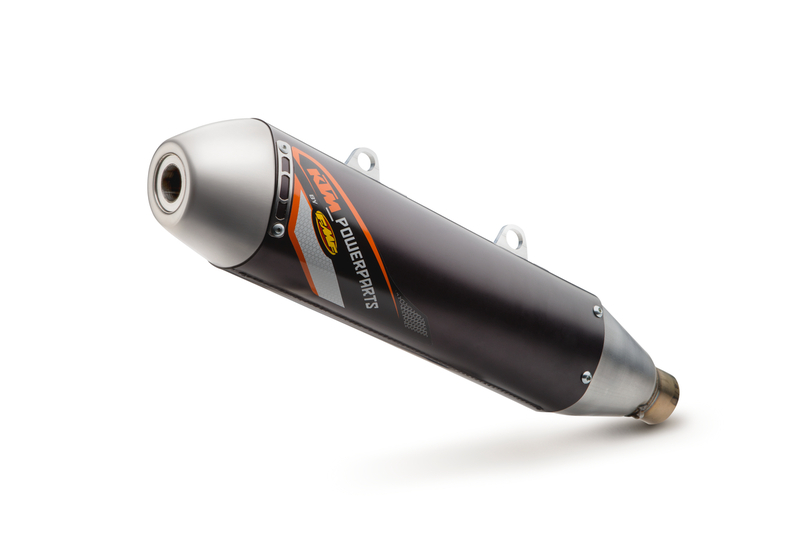 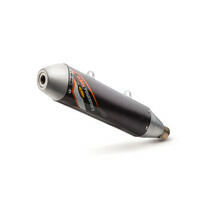 This absolutely high-end shock absorber is an exact copy of the shock used on the KTM machines in the Offroad World Championships. 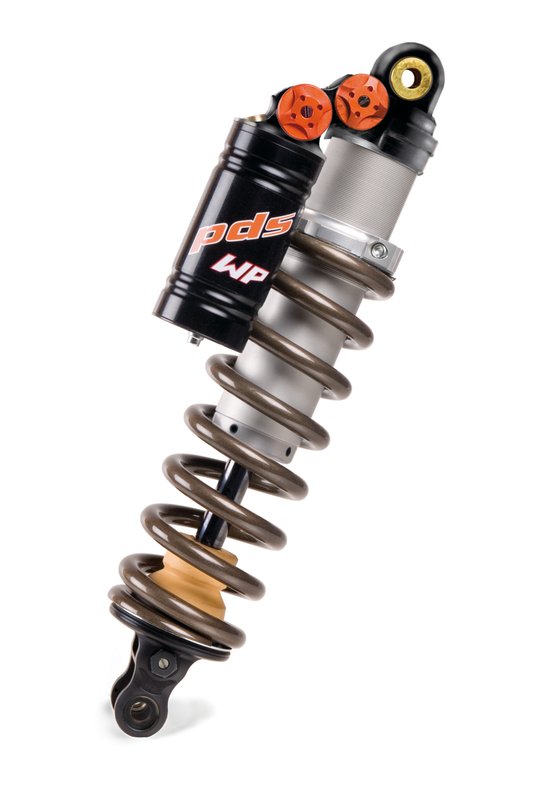 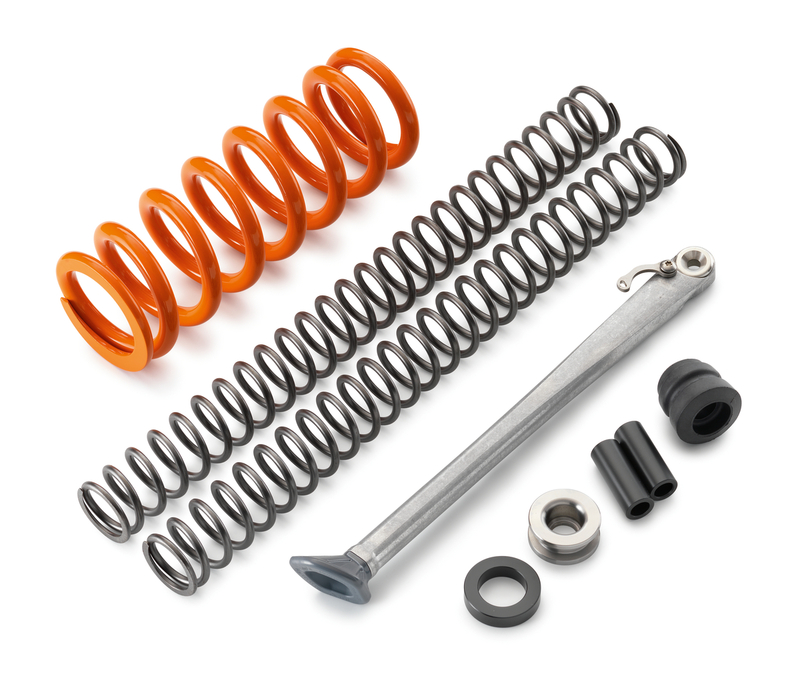 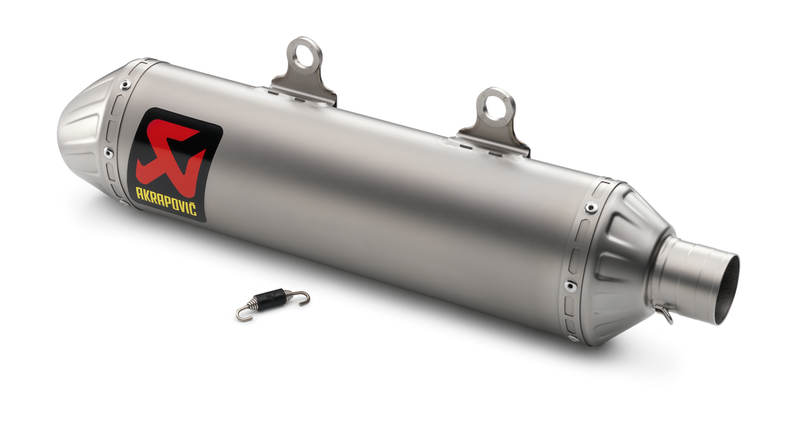 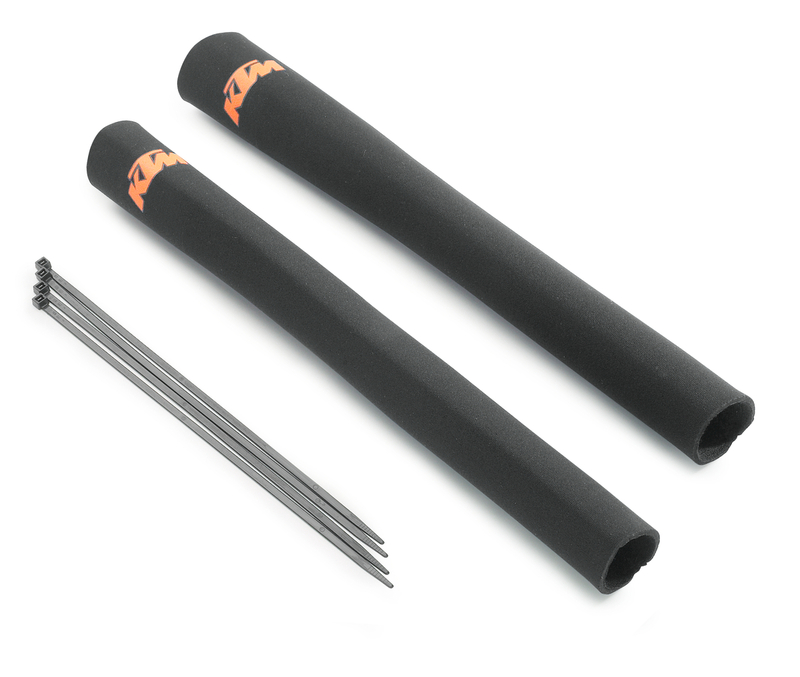 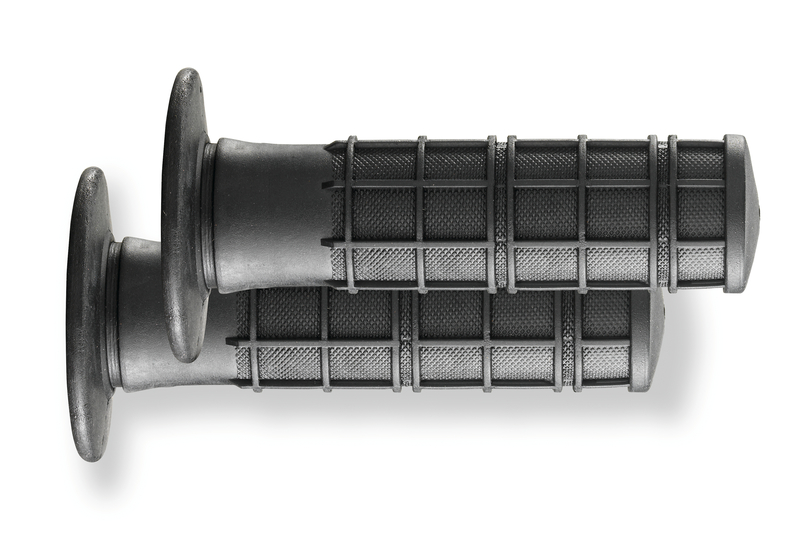 The SXS shock absorber consists entirely of parts with a "high-finish" surface, such as a titanium nitride-coated piston rod and hard anodized, 7075 aluminum components. 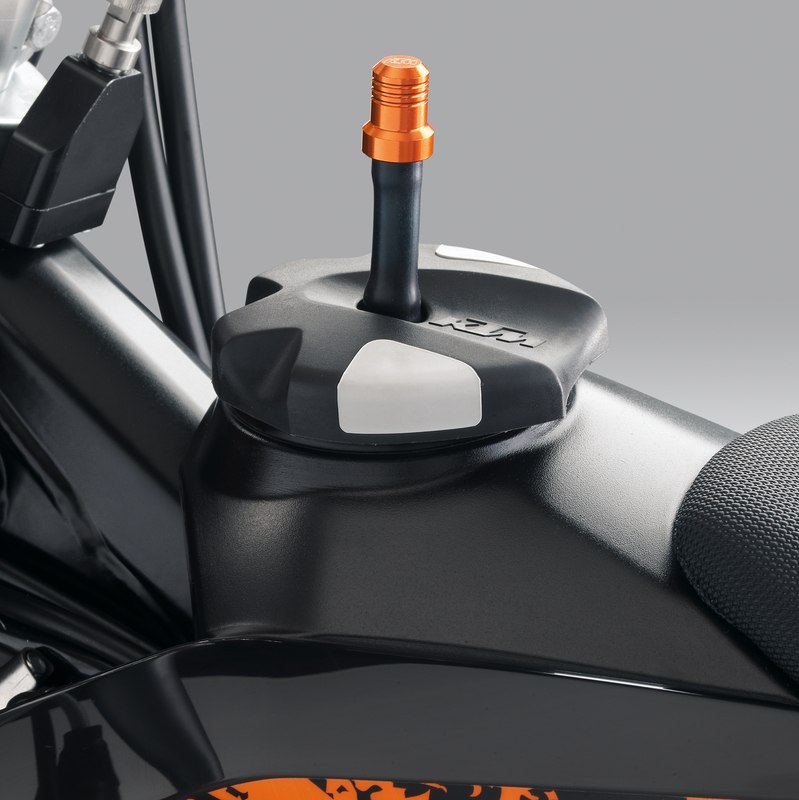 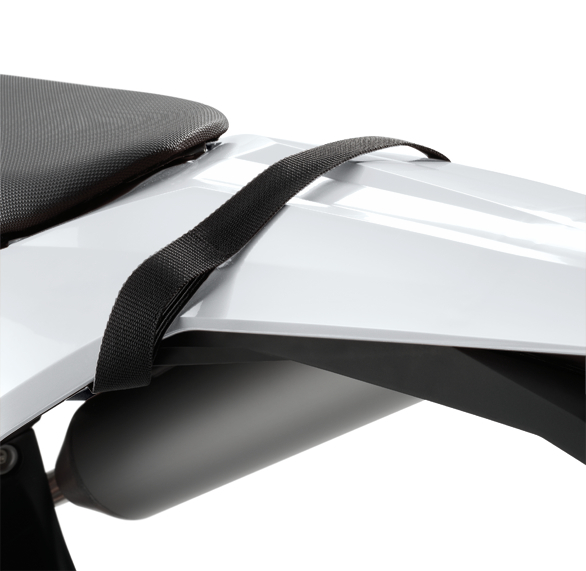 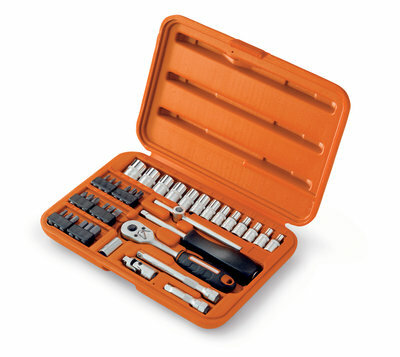 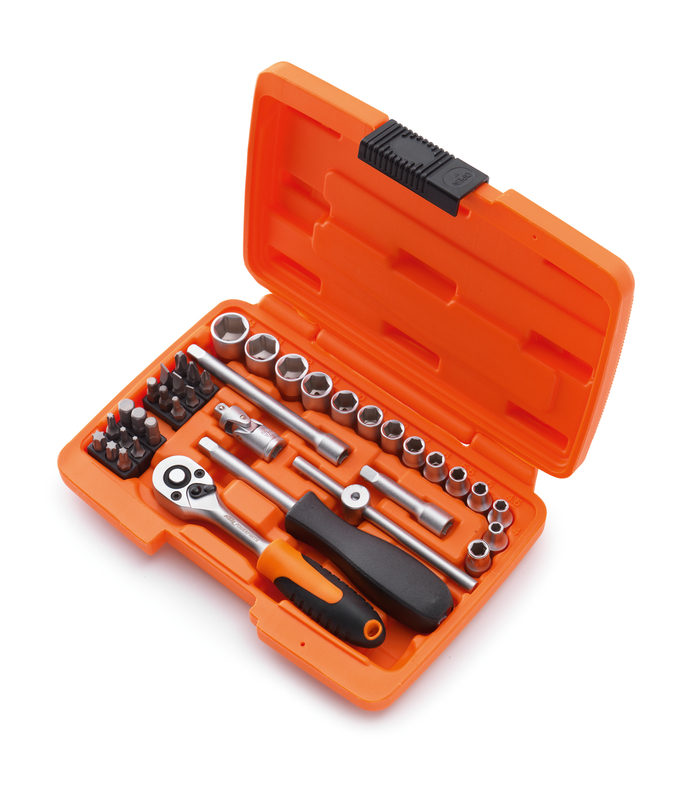 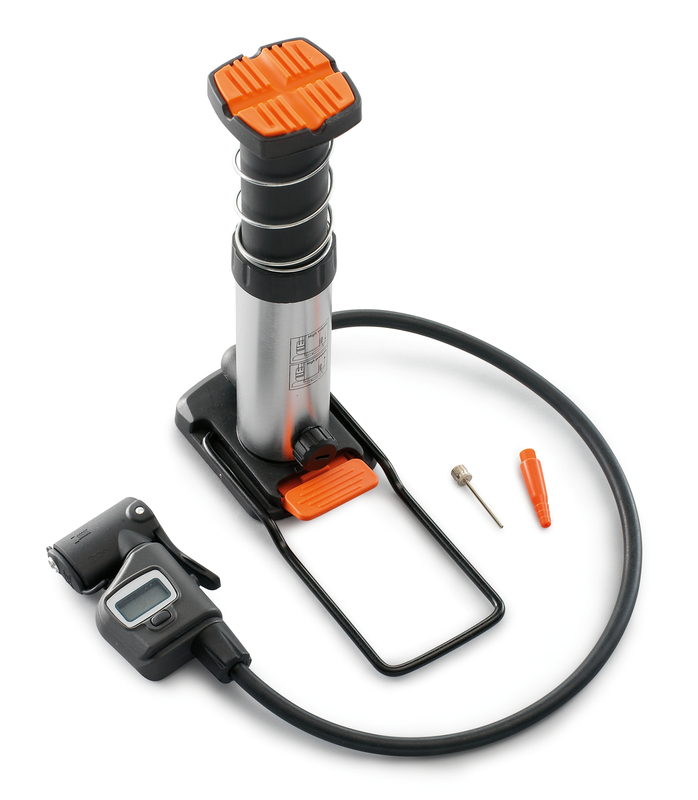 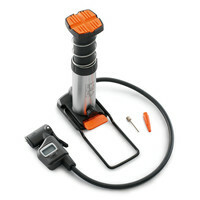 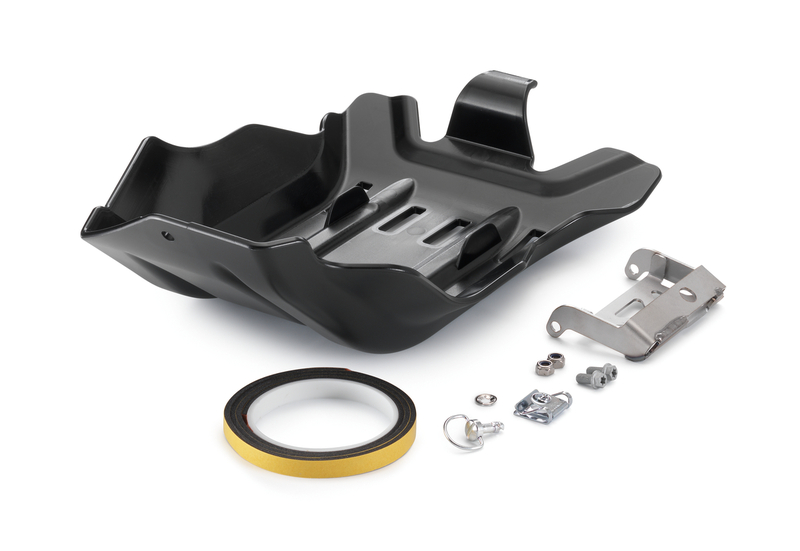 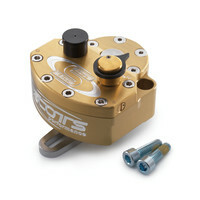 The SXS product can be taken completely apart, serviced and optimally adjusted to the rider’s individual needs. 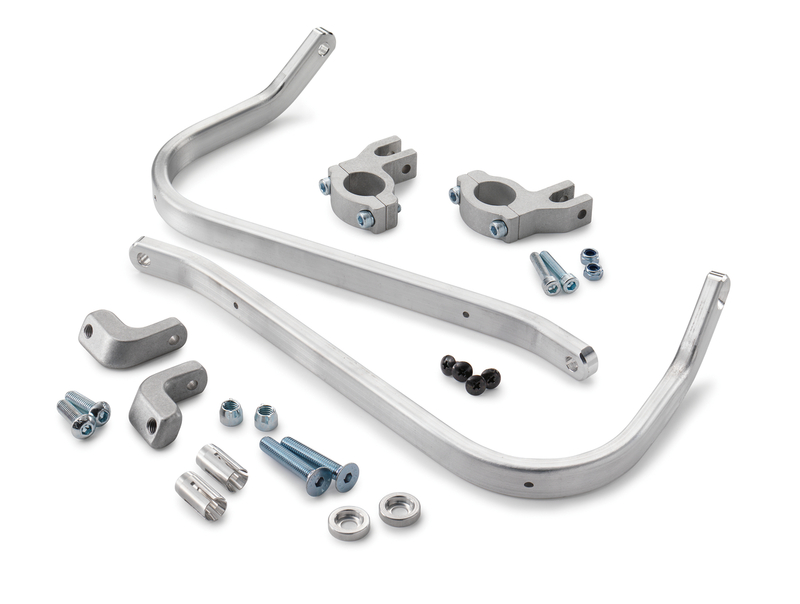 The chassis functions best when an SXS factory forks are installed. 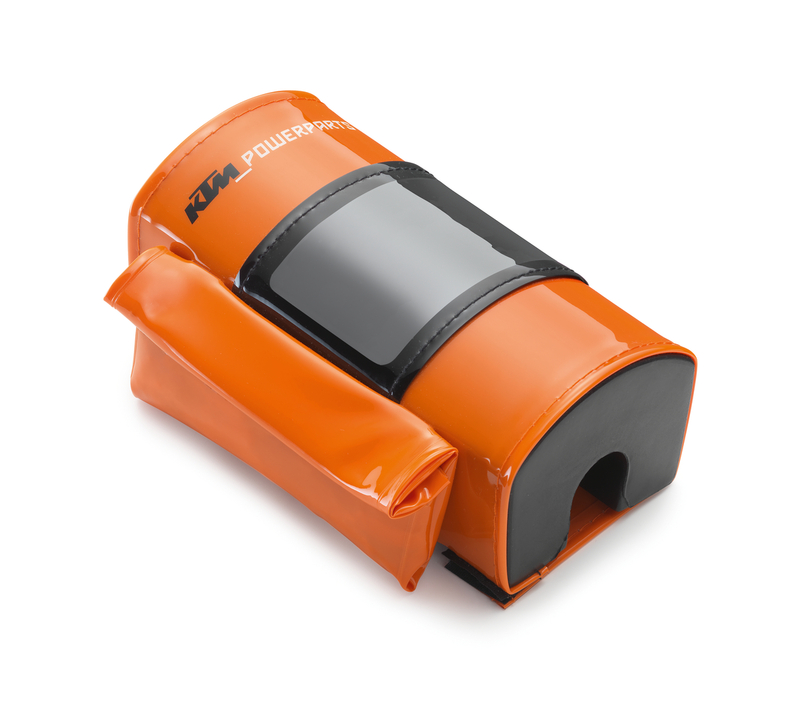 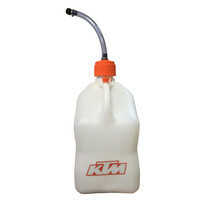 Prevents spilt fuel from seeping into the ground. Already a requirement at most Supermoto races. 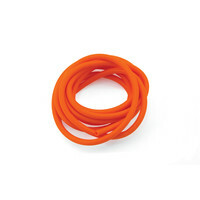 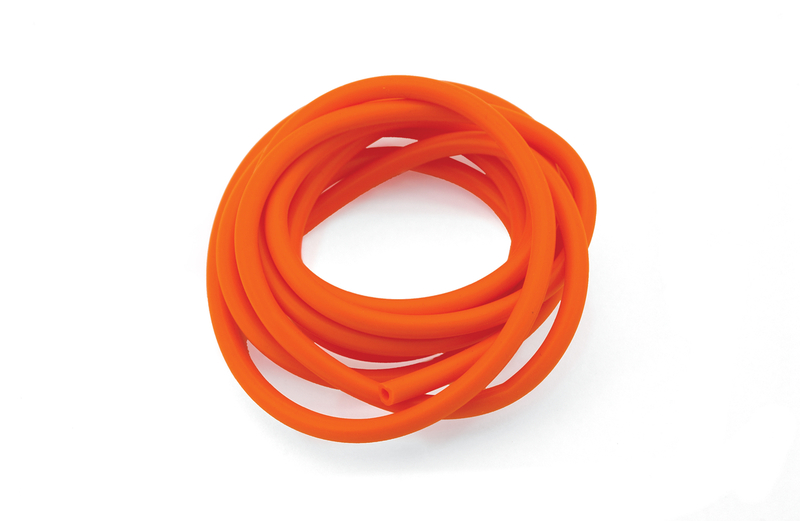 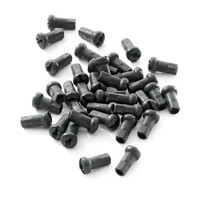 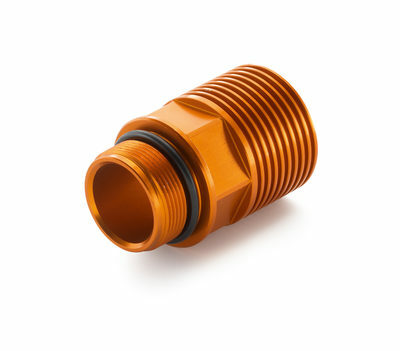 Suitable for all carburetor vent hoses. 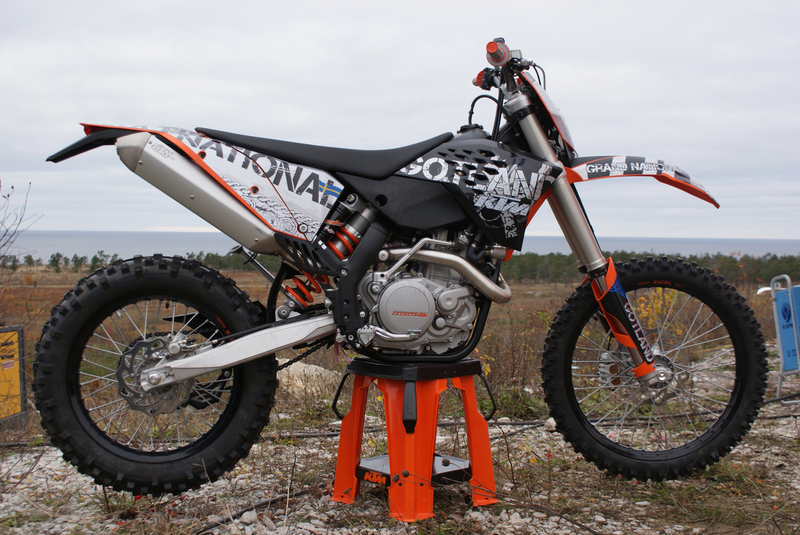 Planning an extended enduro tour or an endurance race? 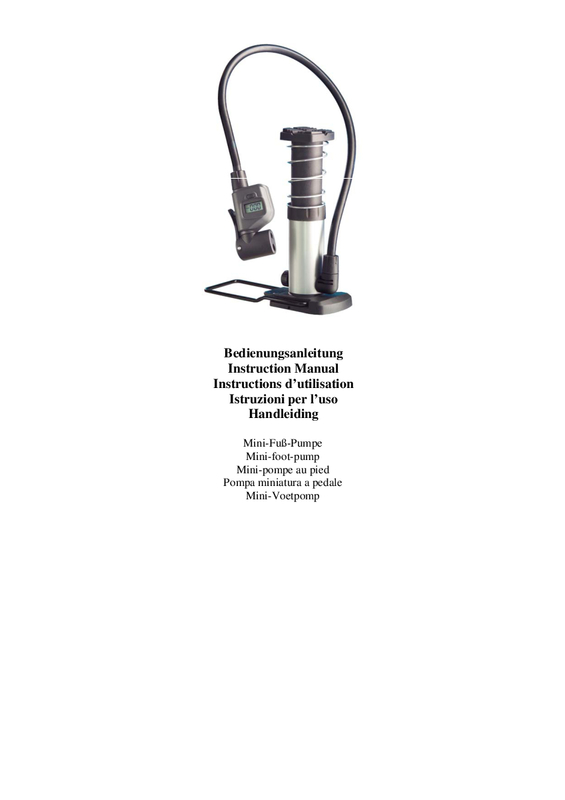 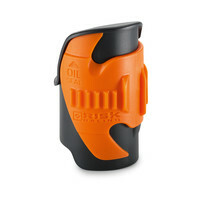 Can't be bothered with constantly searching for filling stations? 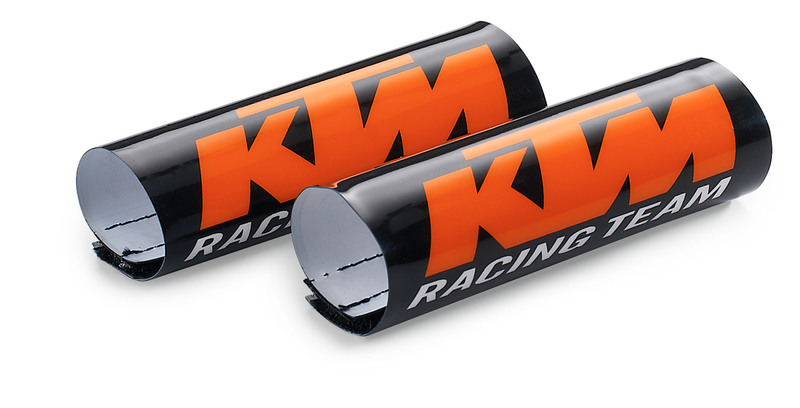 Sometimes you simply need more fuel on board. 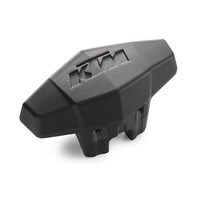 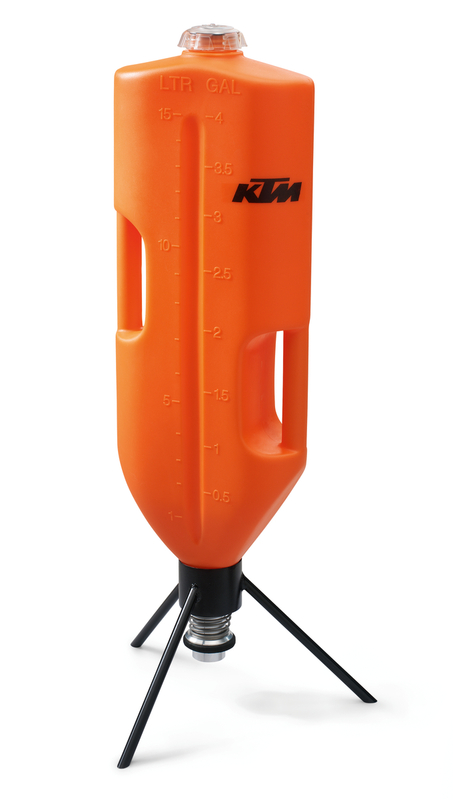 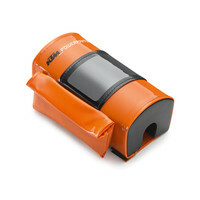 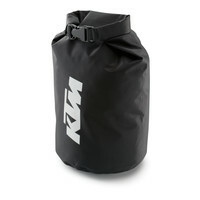 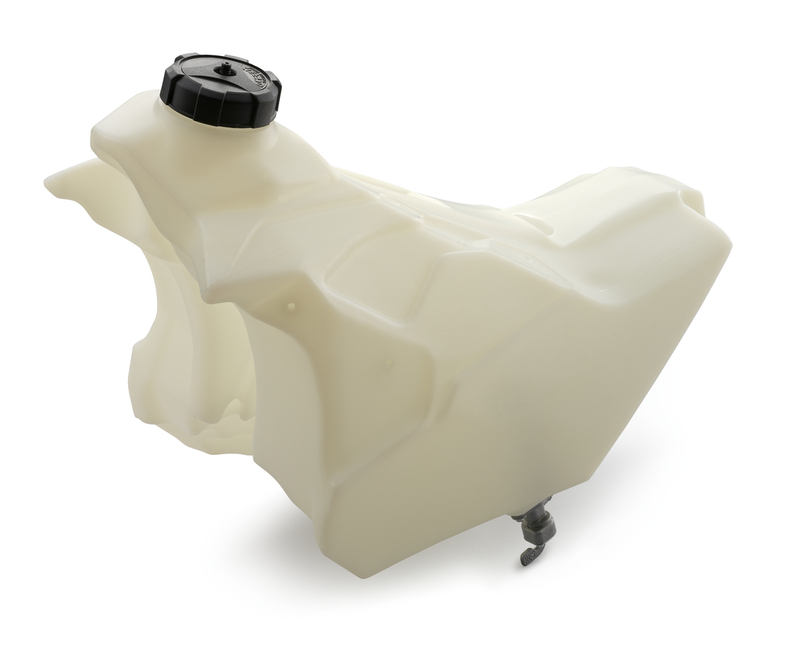 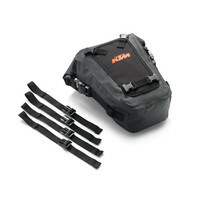 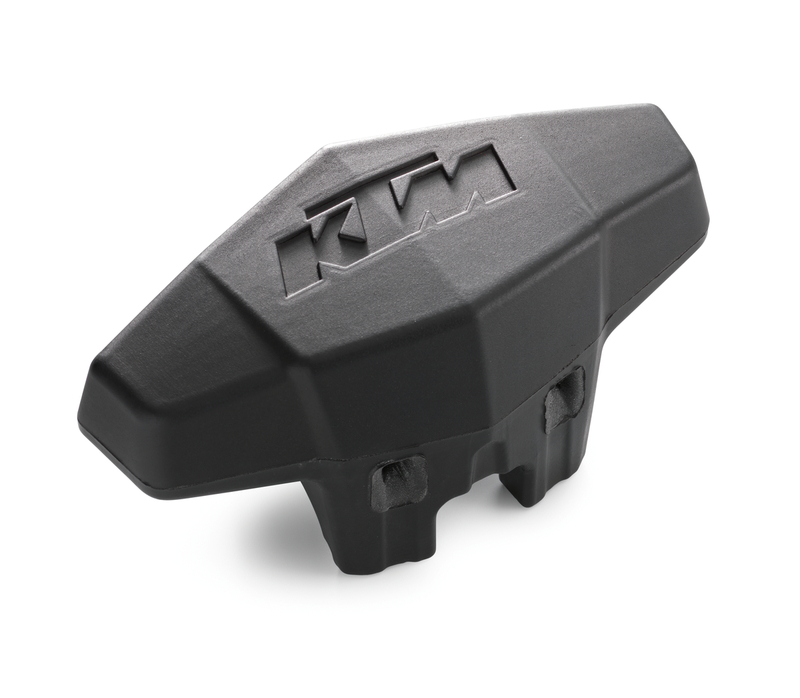 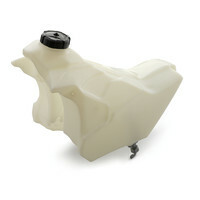 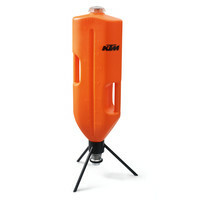 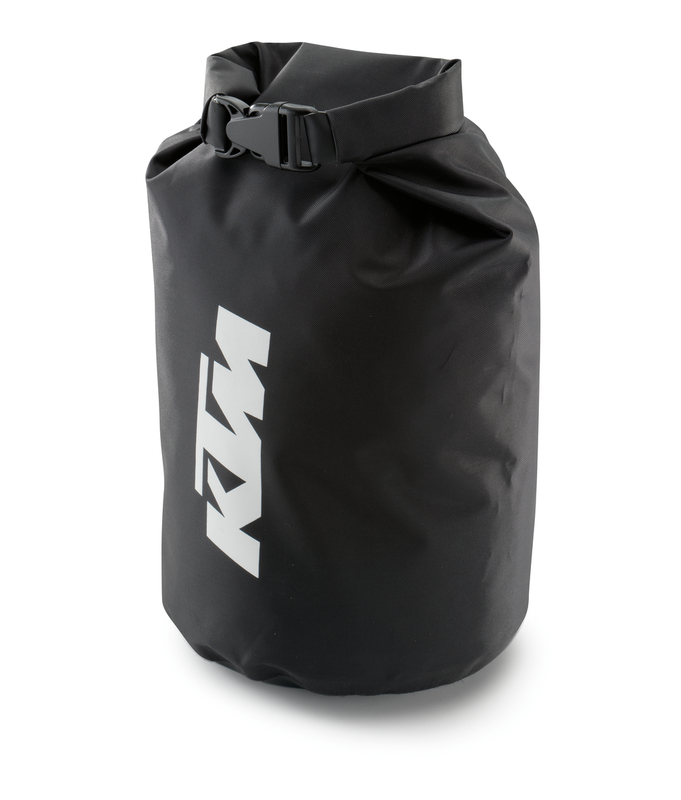 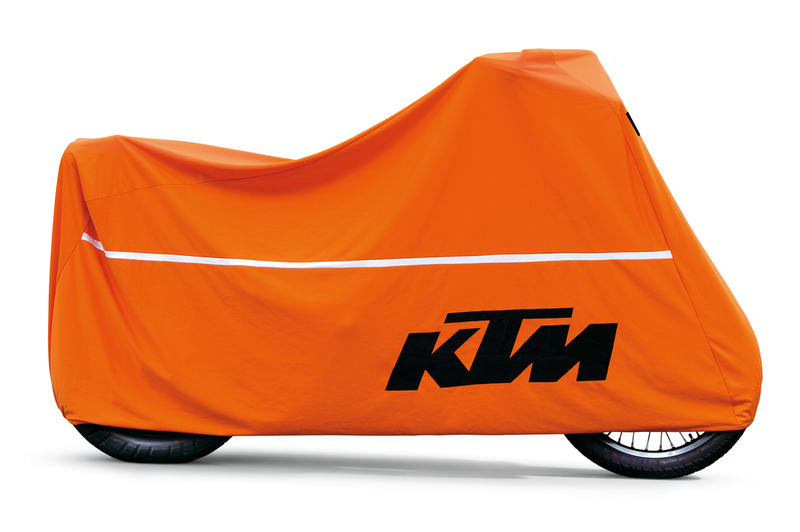 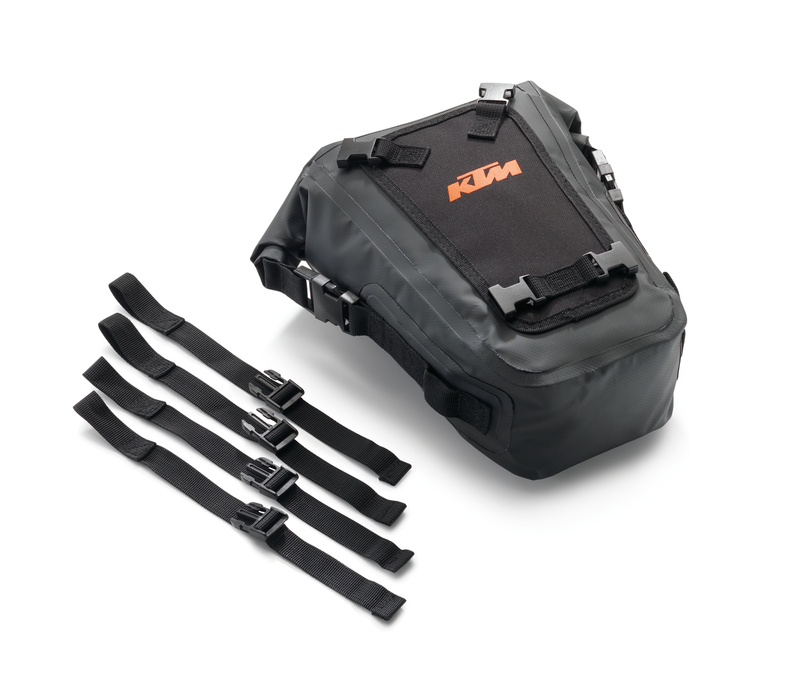 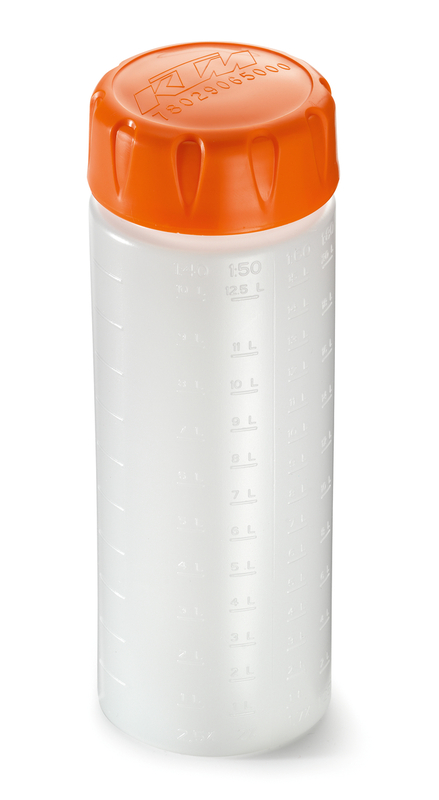 Larger KTM tanks are available from 11 l to 21.5 l capacity. 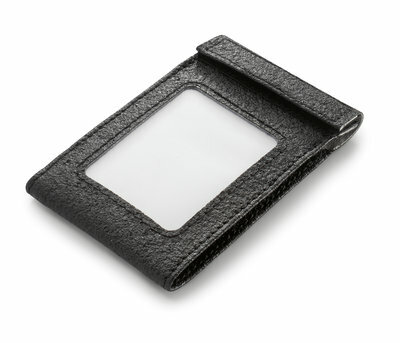 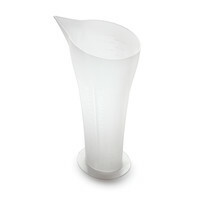 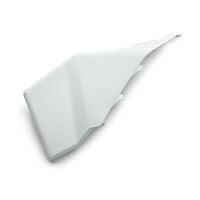 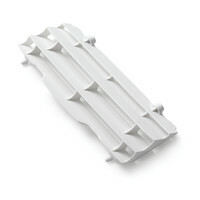 Best of all: Despite the larger size, the slim lines are retained and therefore the customary full freedom of movement. Including fuel tap and tank cap. 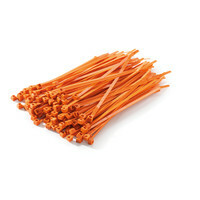 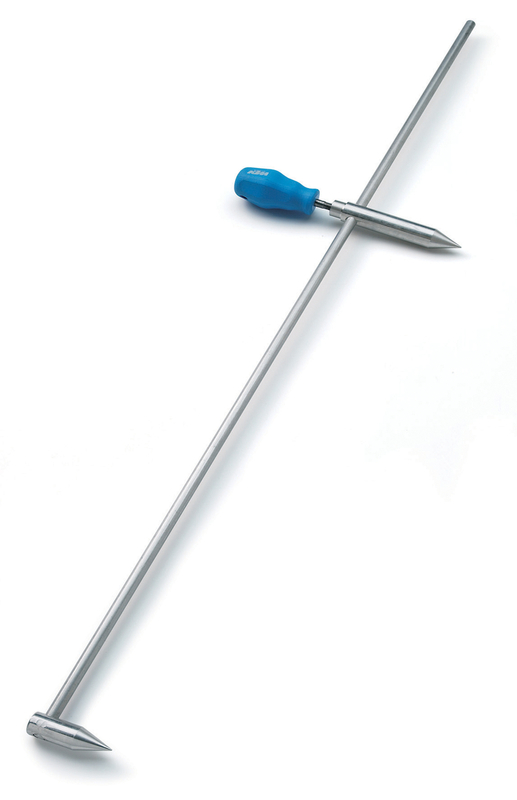 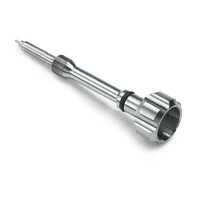 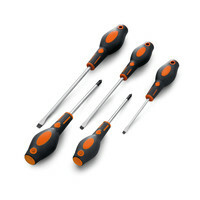 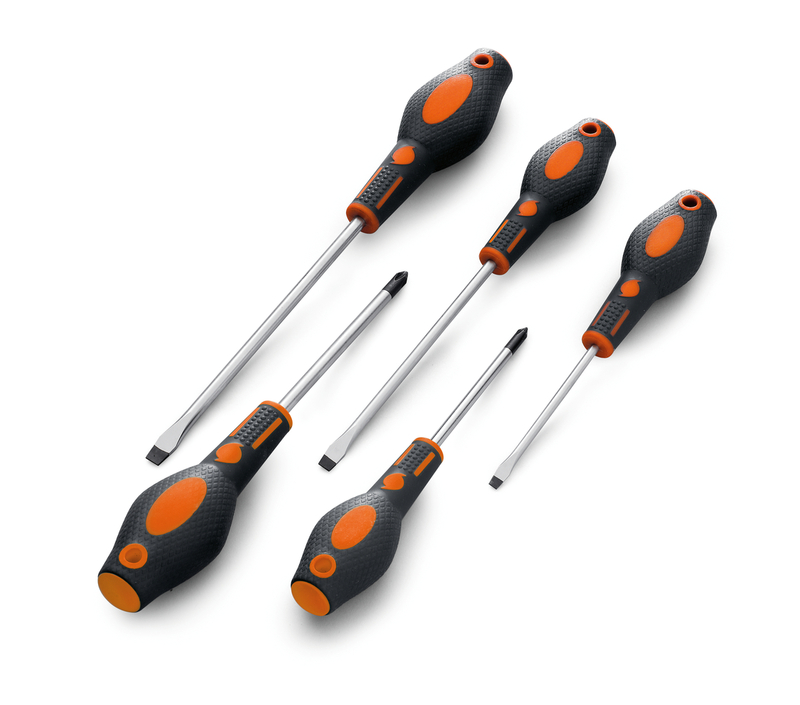 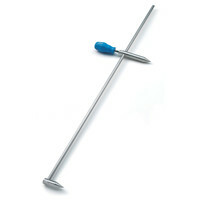 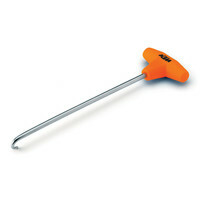 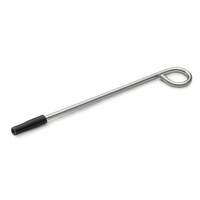 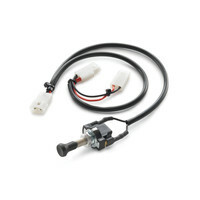 Allows simple replacement of the carburetor needle. 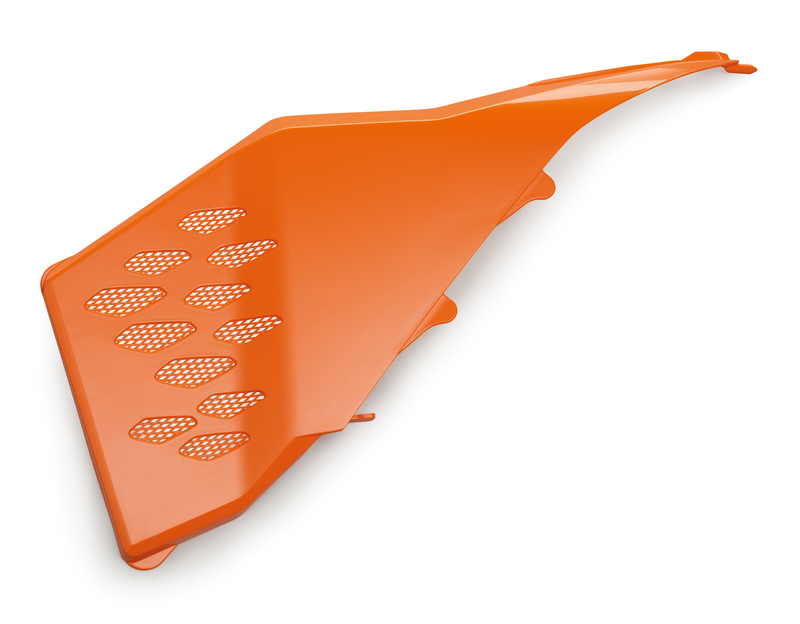 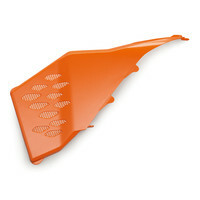 For use on the closed fork protector. 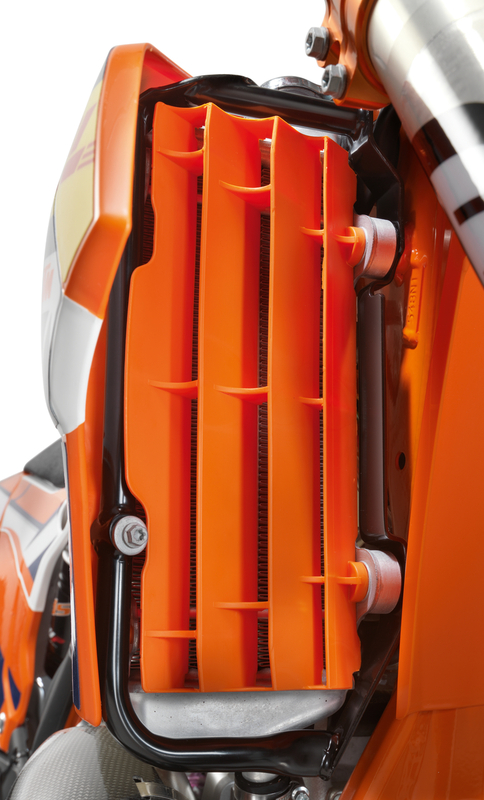 More power thanks to increased air flow. 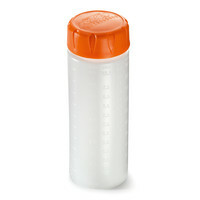 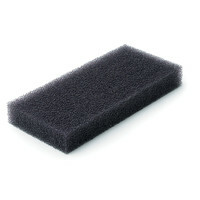 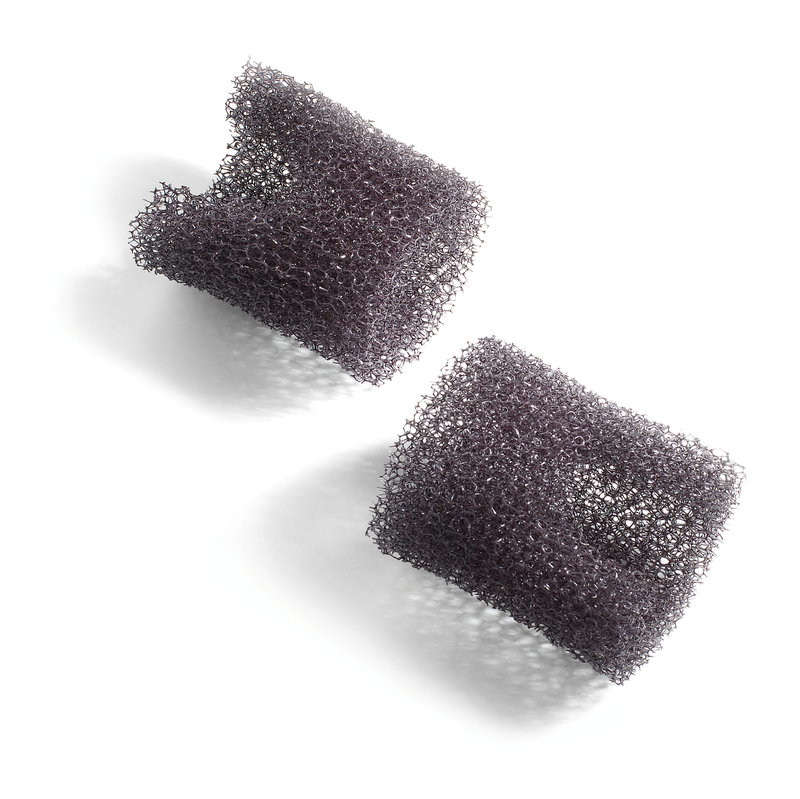 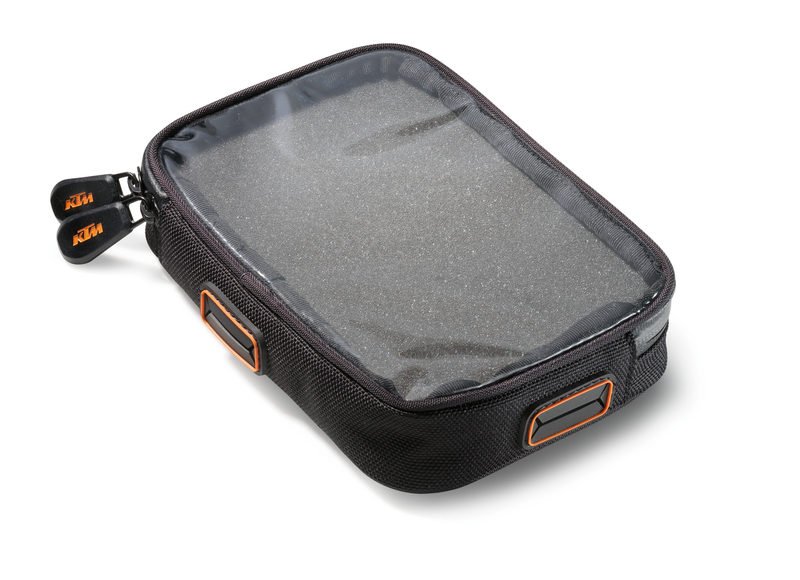 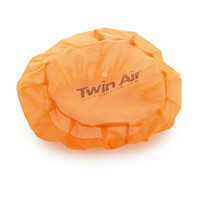 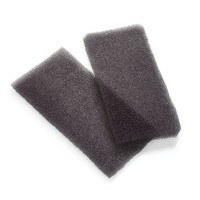 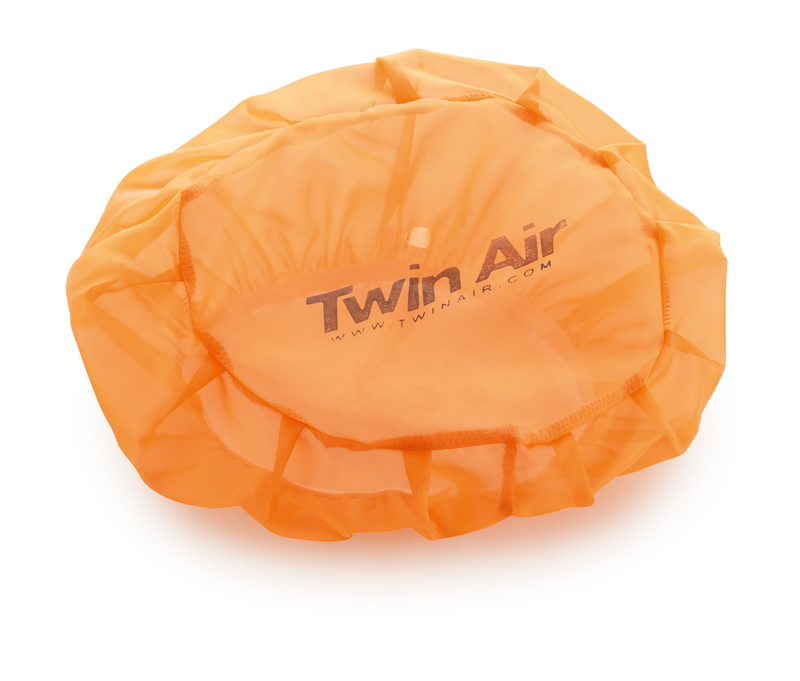 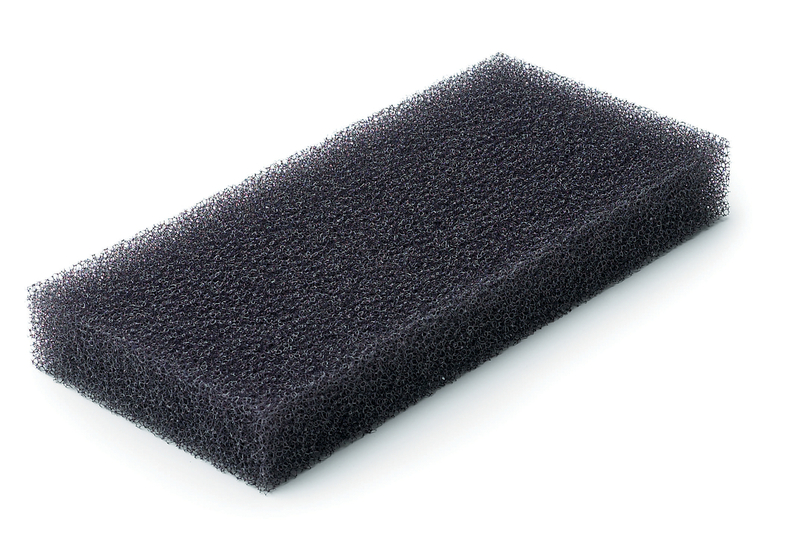 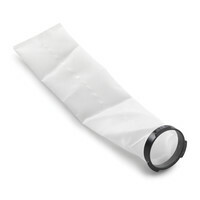 In very dusty conditions, we recommend the air-permeable membrane 773.06.099.000 (is glued to the inside). 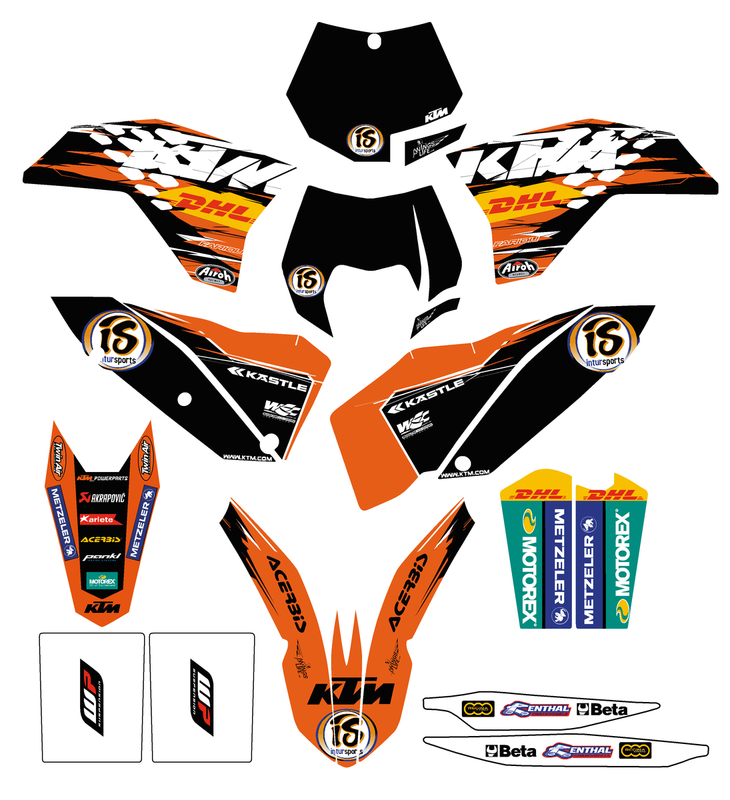 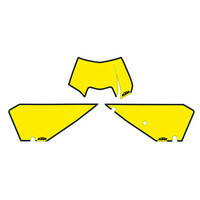 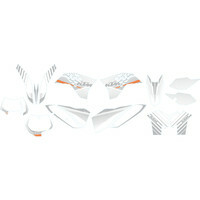 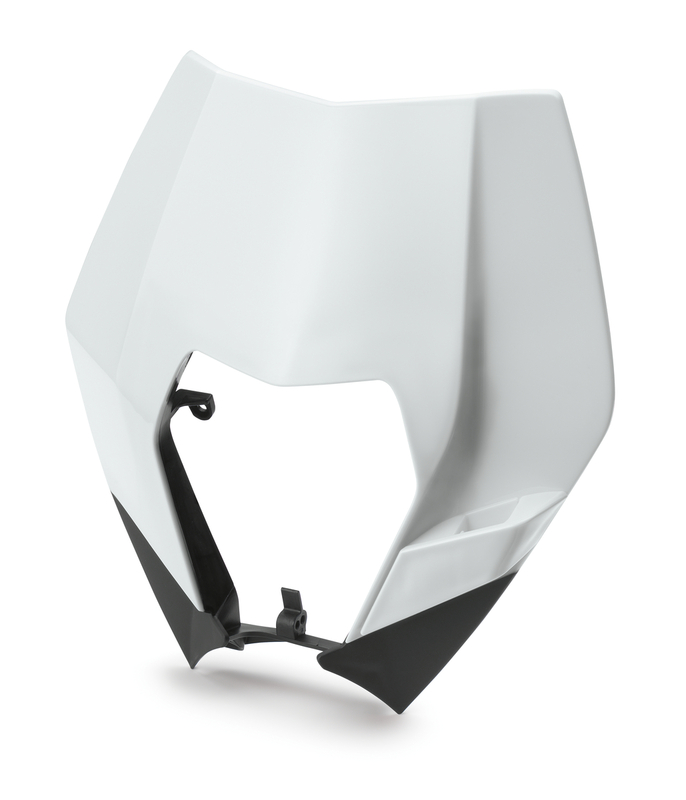 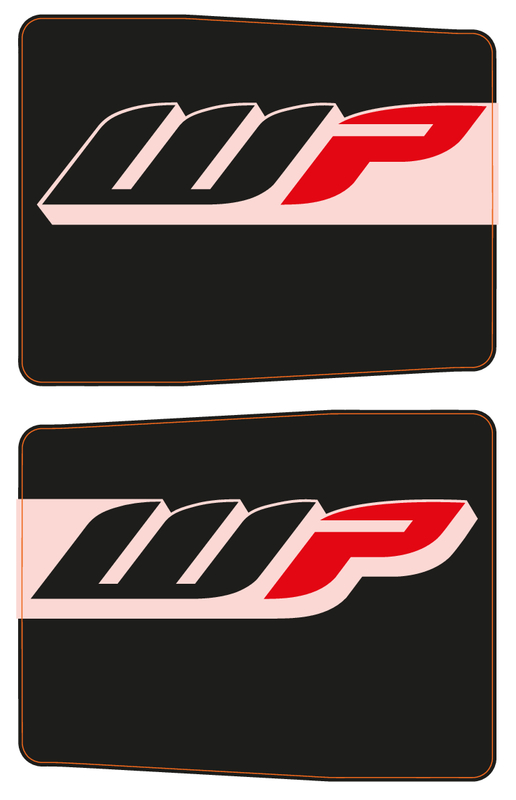 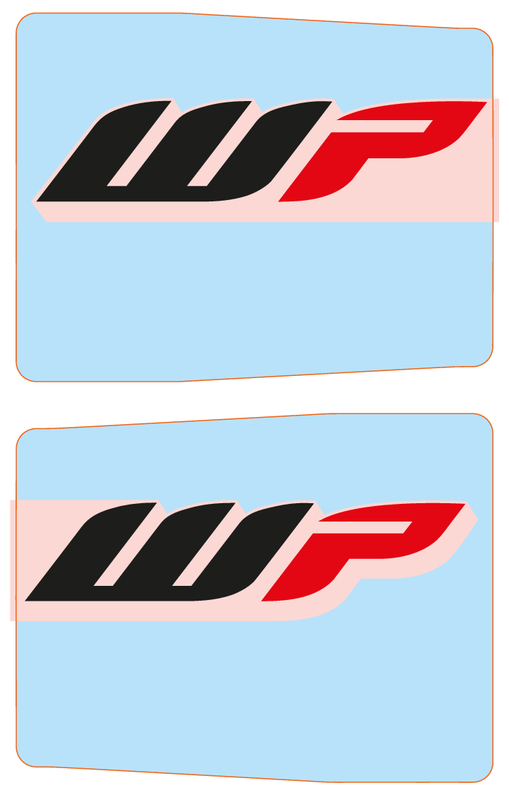 Consisting of graphics kit, start number plate, headlight mask, left and right spoilers, front fender, rear part, air box part right and air box cover (left). 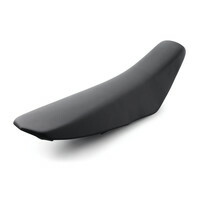 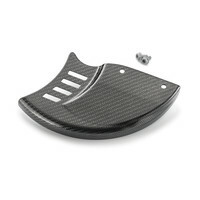 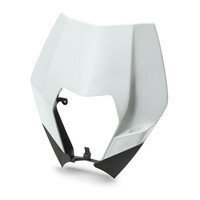 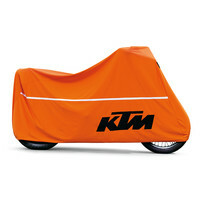 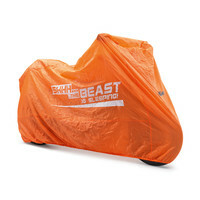 We also recommend the matching seat cover 773.07.940.050. 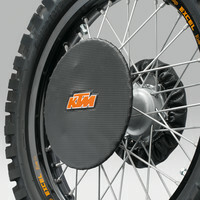 Front wheel developed especially for motorsport. 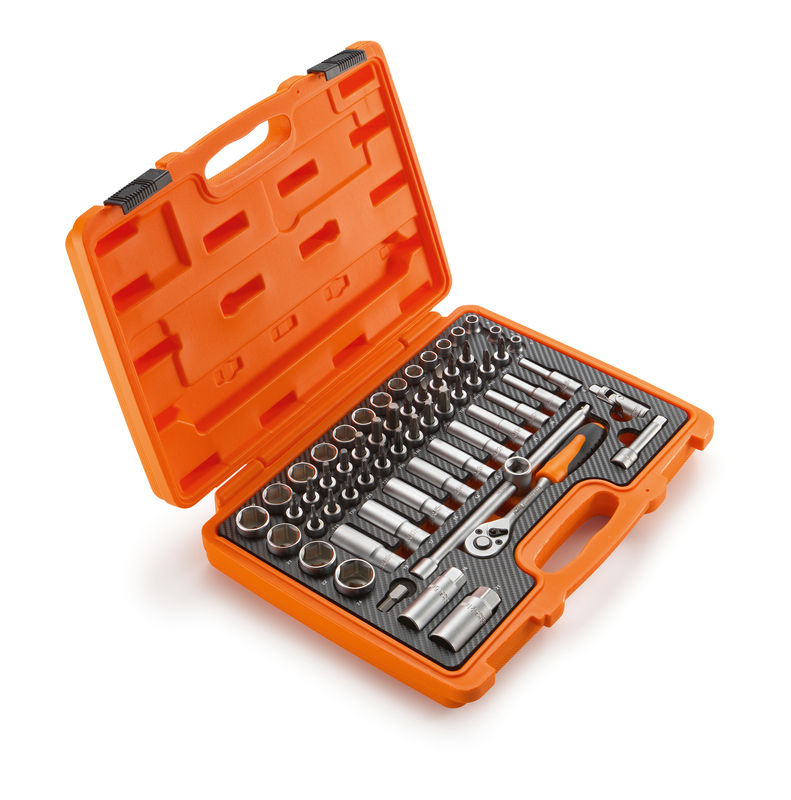 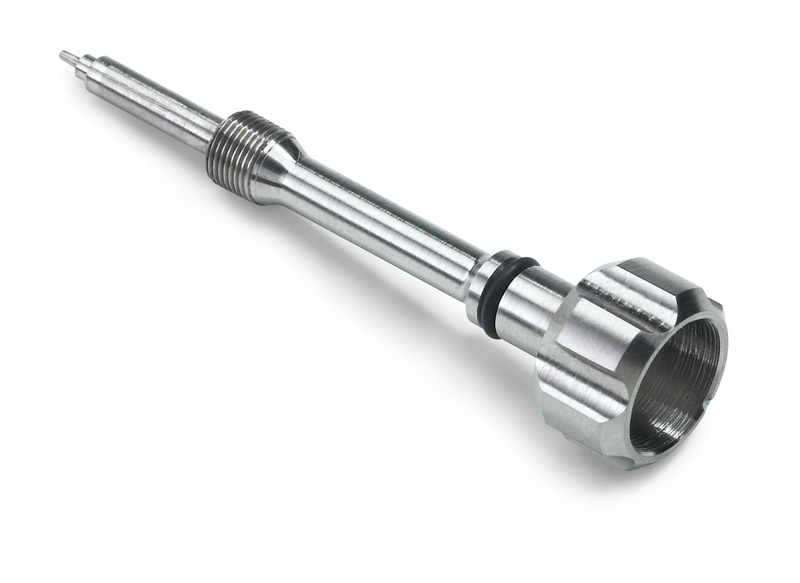 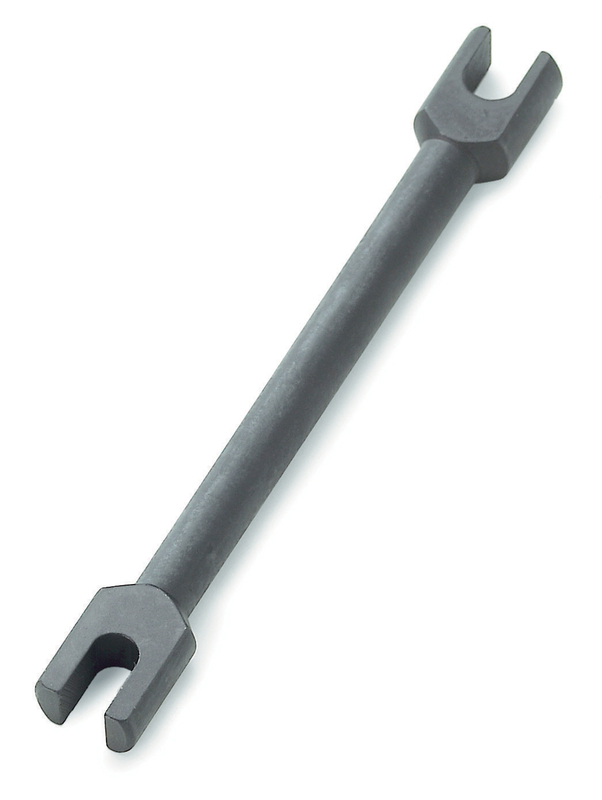 When ordered as a set, a spoke wrench is supplied with the correctly preset torque (4.3 Nm) and correct wrench size (6.5 mm and 6.2 mm). 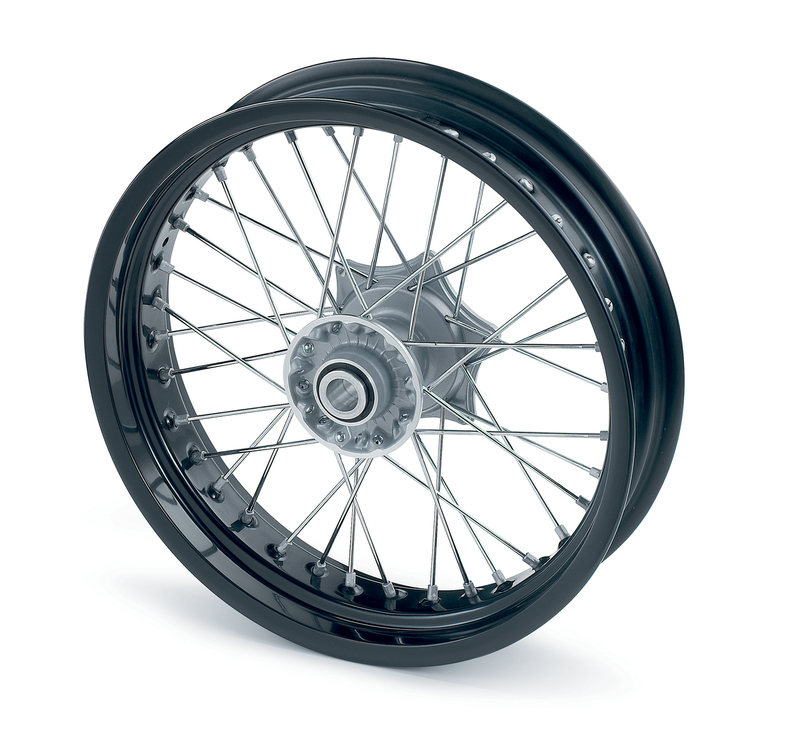 Rear wheel developed exclusively for motorsport. 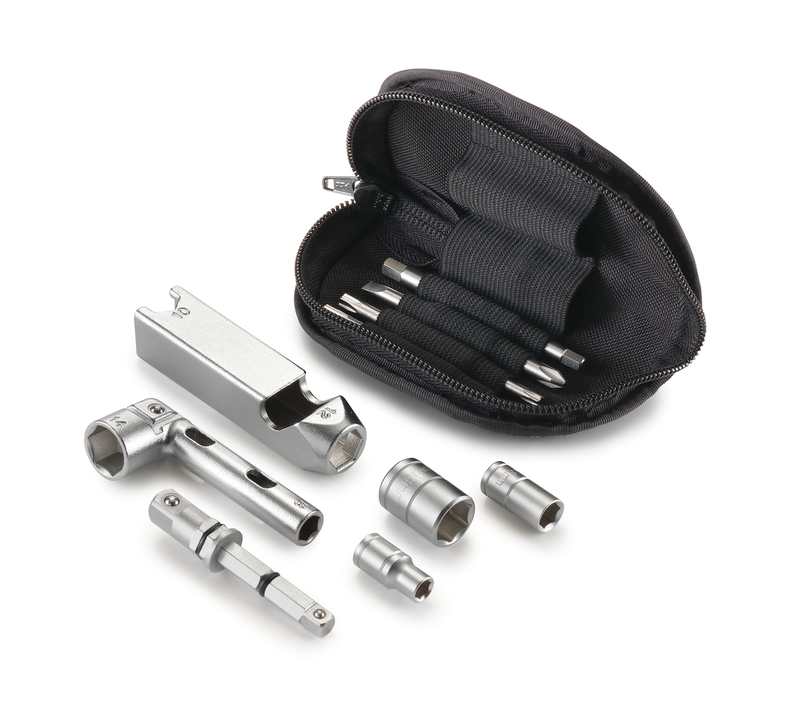 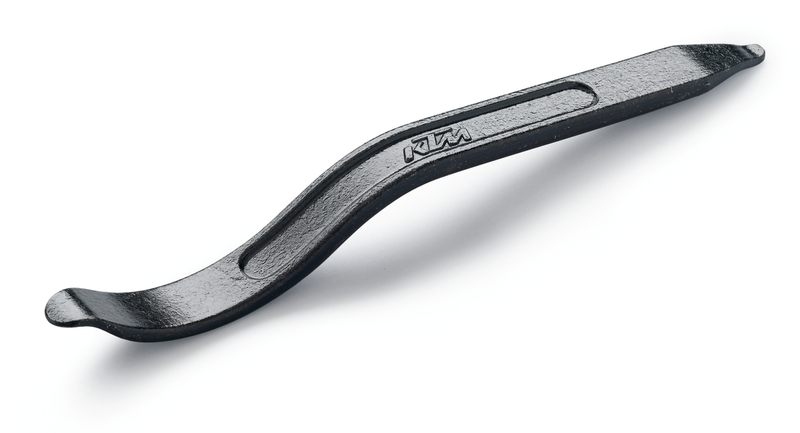 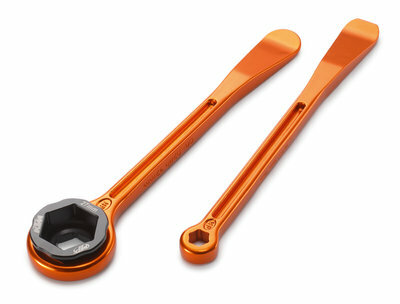 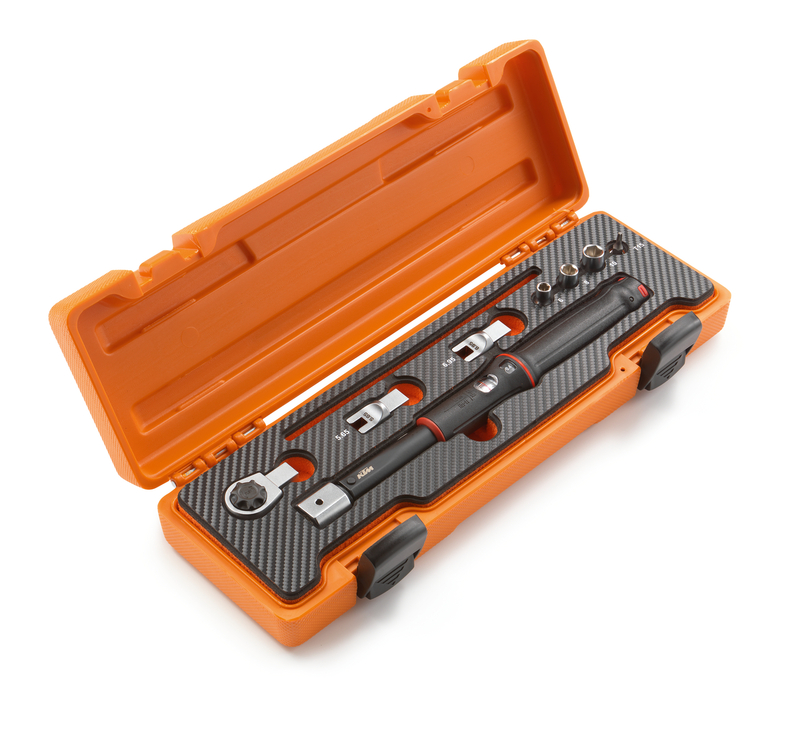 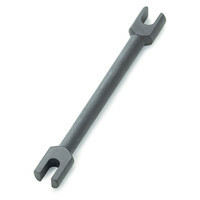 When ordered as a set, a spoke wrench is supplied with the correctly preset torque (4.3 Nm) and correct wrench size (6.5 mm and 6.2 mm). 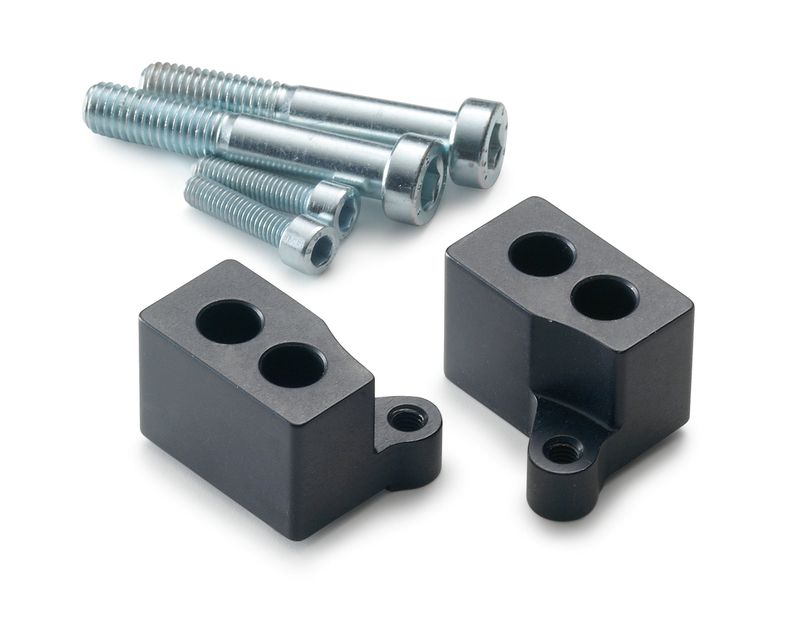 When fitting to SX models as of MY 2013, the standard spacer bushes (777.10.016.000) must be used due to the larger axle diameter. 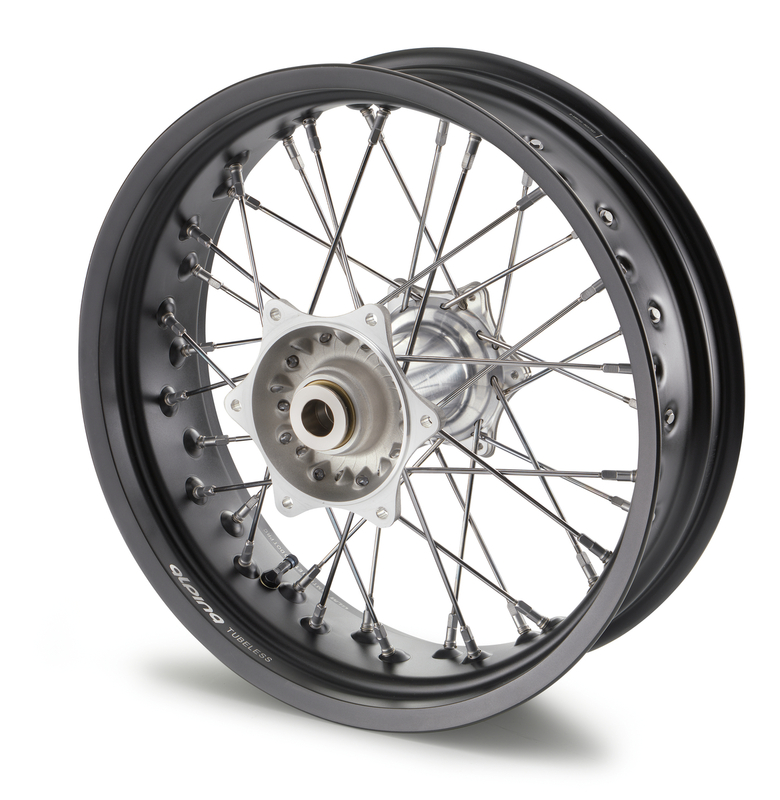 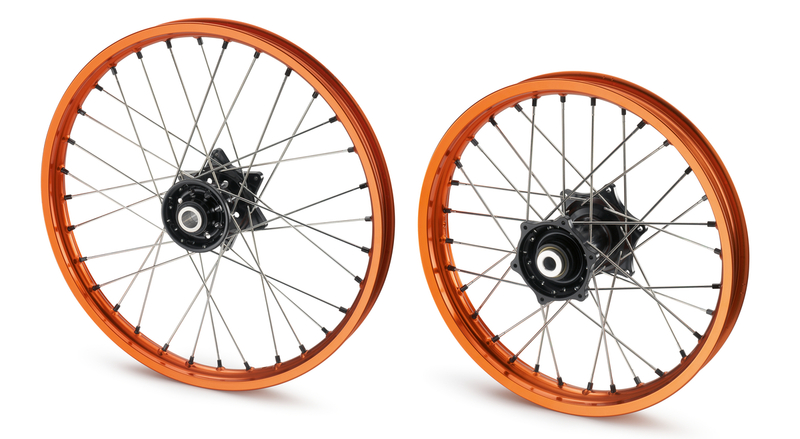 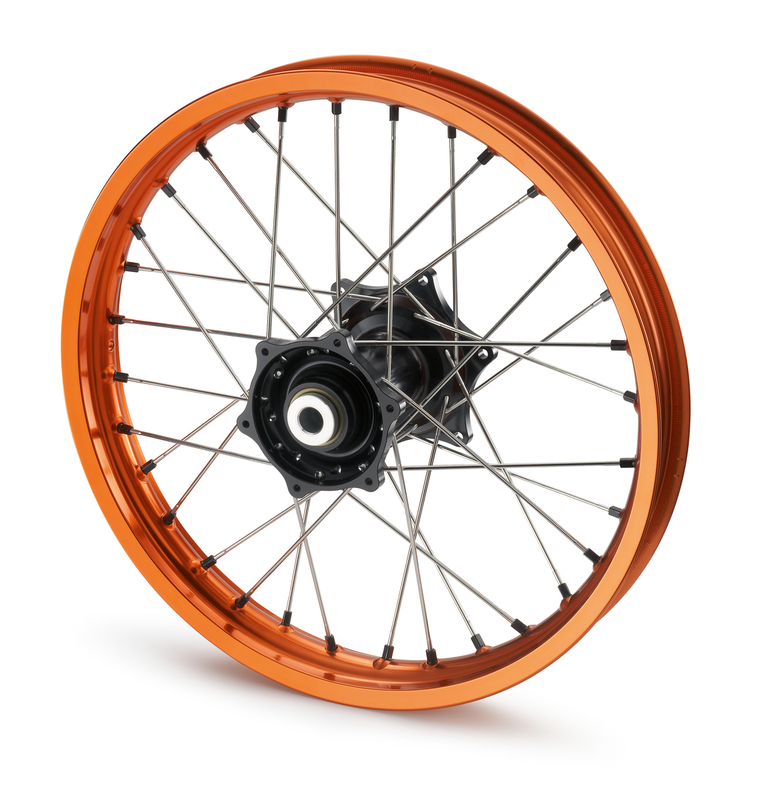 Consists of 21" front wheel and 18" rear wheel, including spoke wrench with correctly preset torque (4.3 Nm) and correct wrench size (6.5 mm and 6.2 mm). 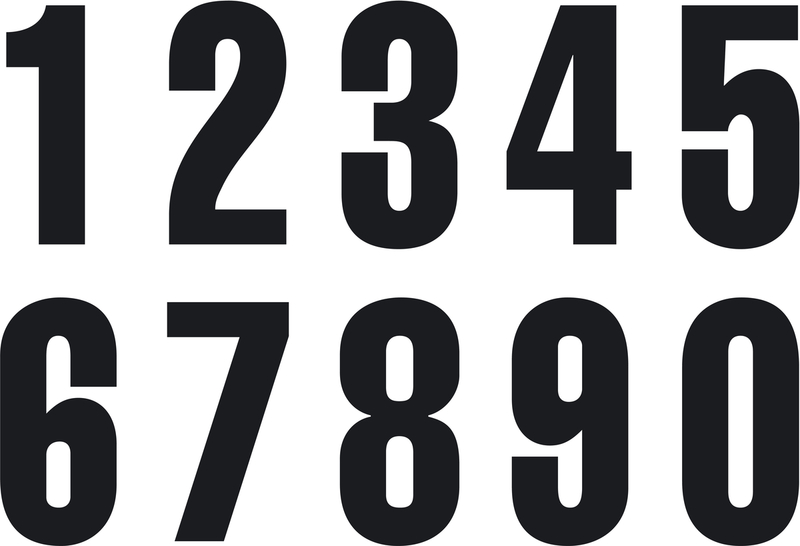 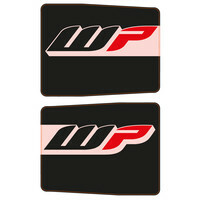 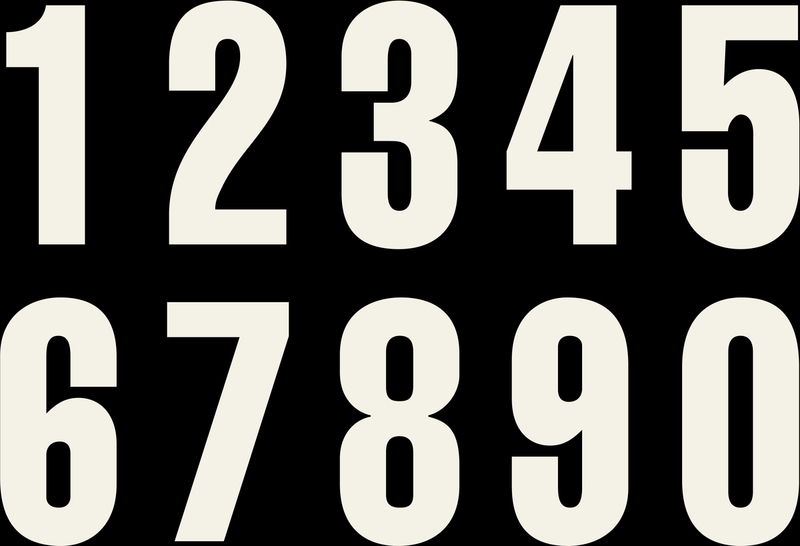 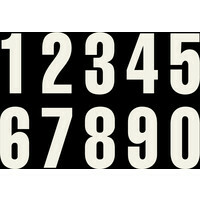 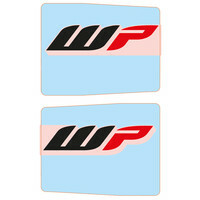 Black/white, pre-cut sticker, suitable for front and rear rim. 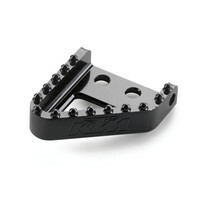 Black anodized. 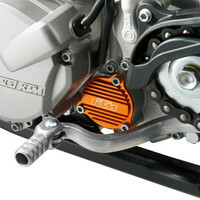 A sprocket support and 6 rubber damping blocks are required for fitting. 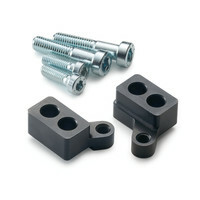 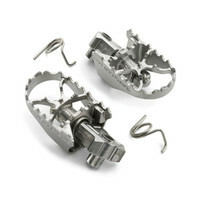 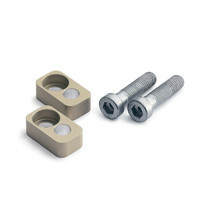 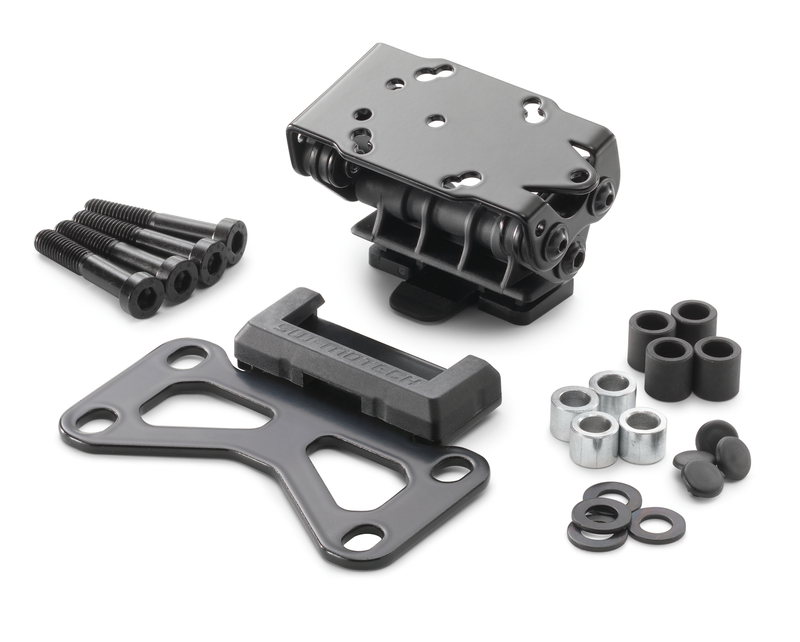 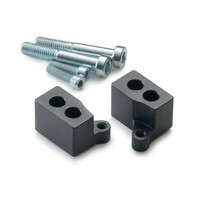 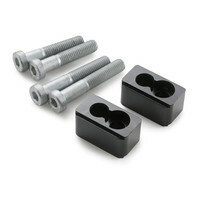 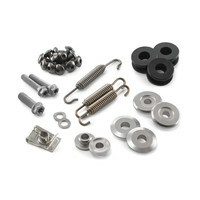 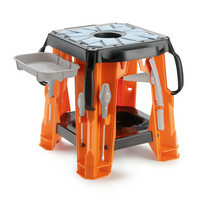 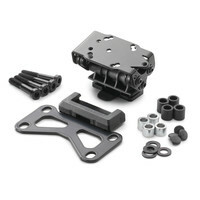 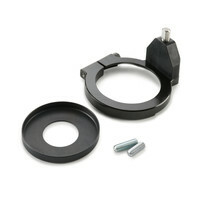 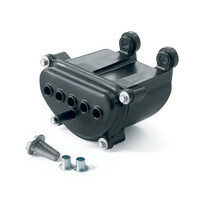 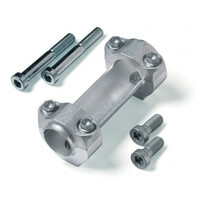 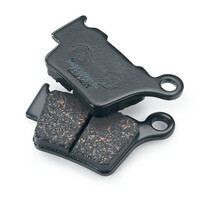 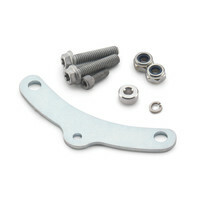 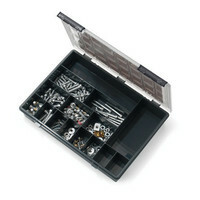 The sprocket support and 6 rubber damping blocks are also required for fitting. 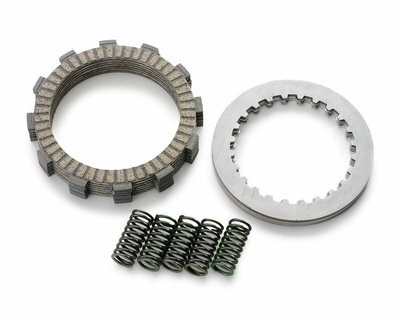 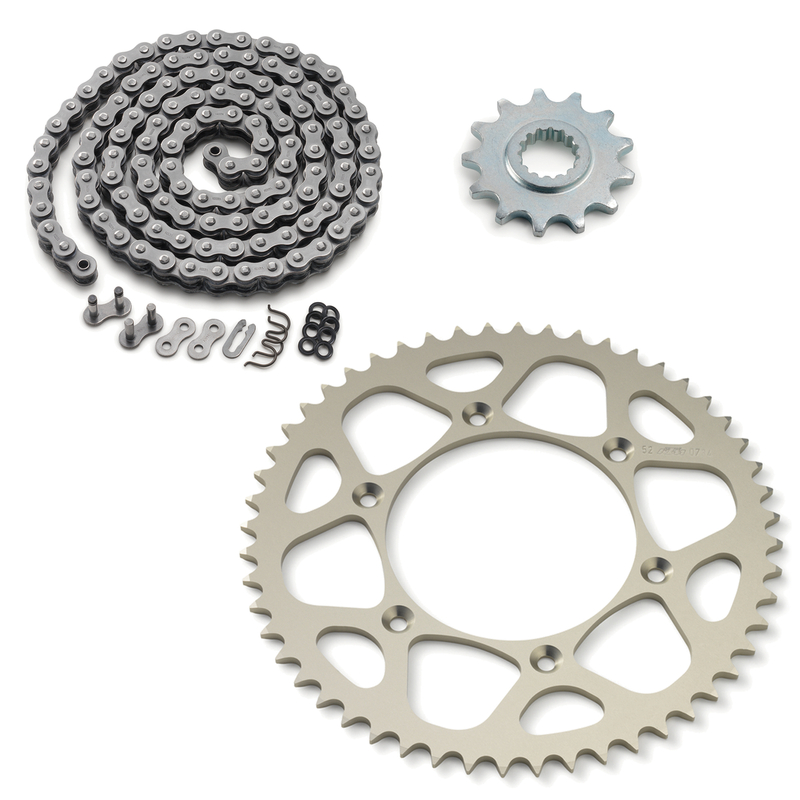 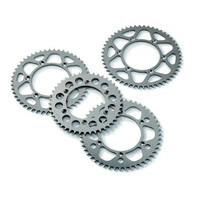 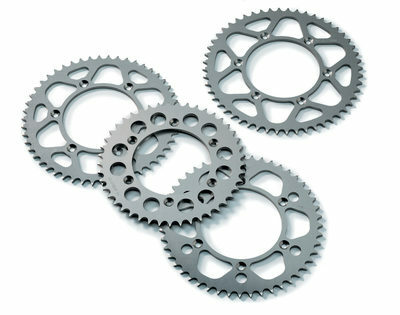 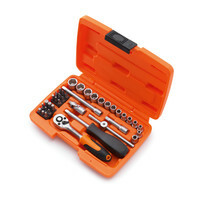 This drive kit consists of a 13 tooth front and a 52 tooth rear sprocket wheel, a DID chain and master link.